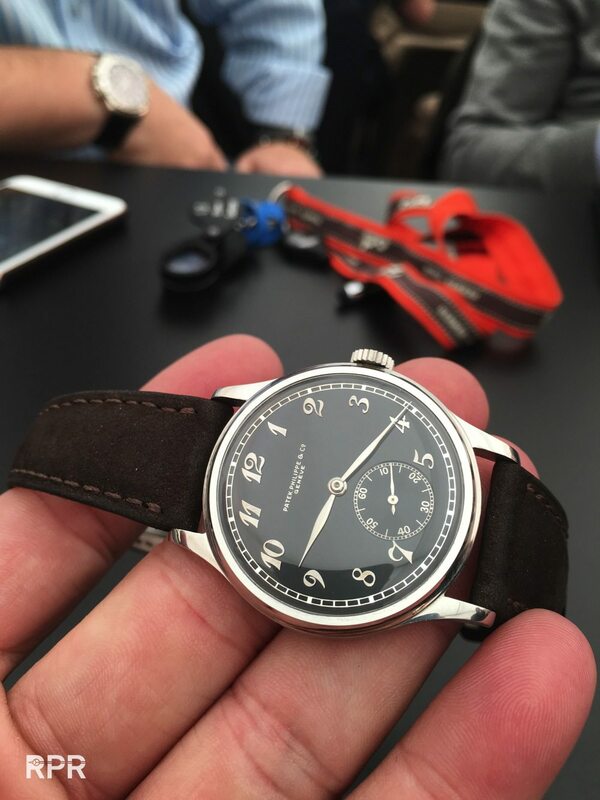 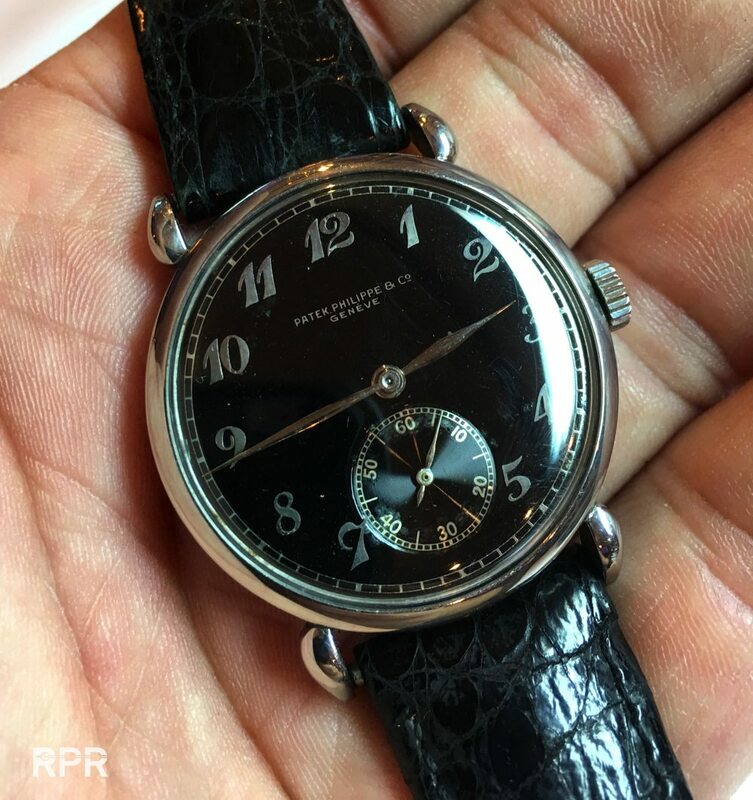 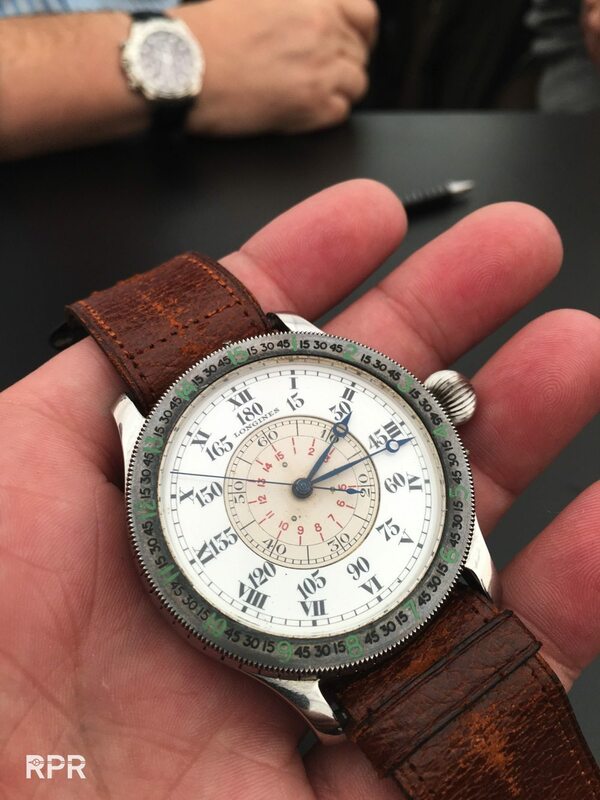 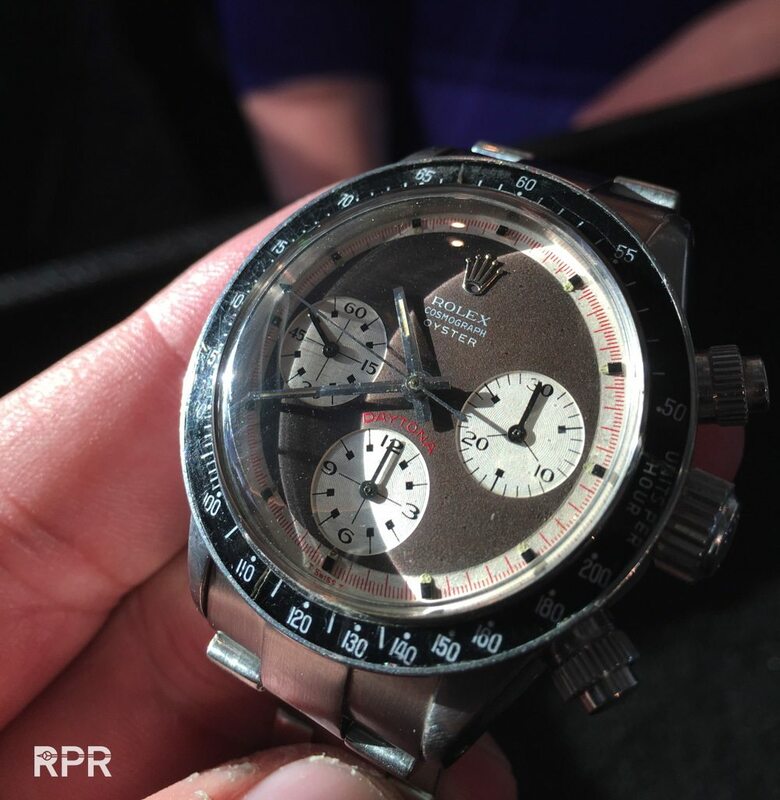 Last weekend the important watch auctions in Geneva happened again. 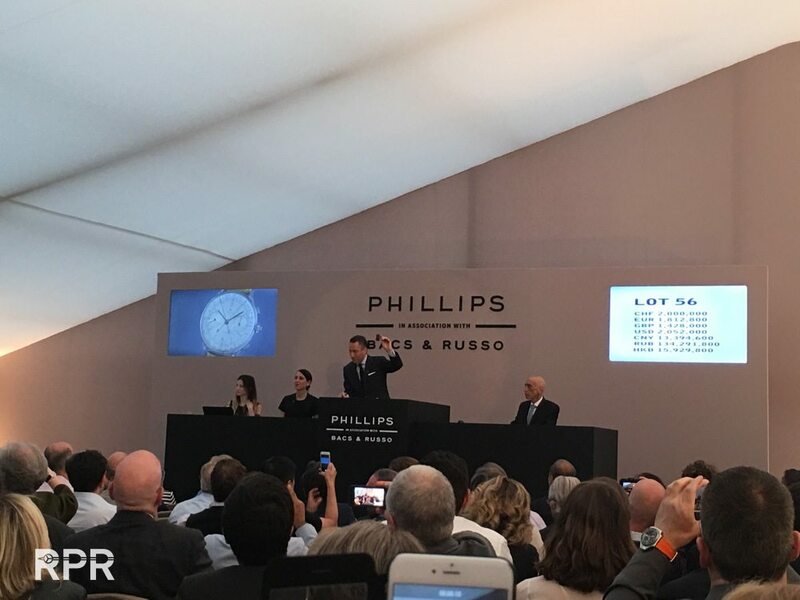 The 4 auction houses sold together for CHF 60 million which can be divided by market leader Phillips in 2 Sales of each 16 million, Christies 18.4 million, Antiquorum 5.7 million and what happened to Sotheby’s?!? 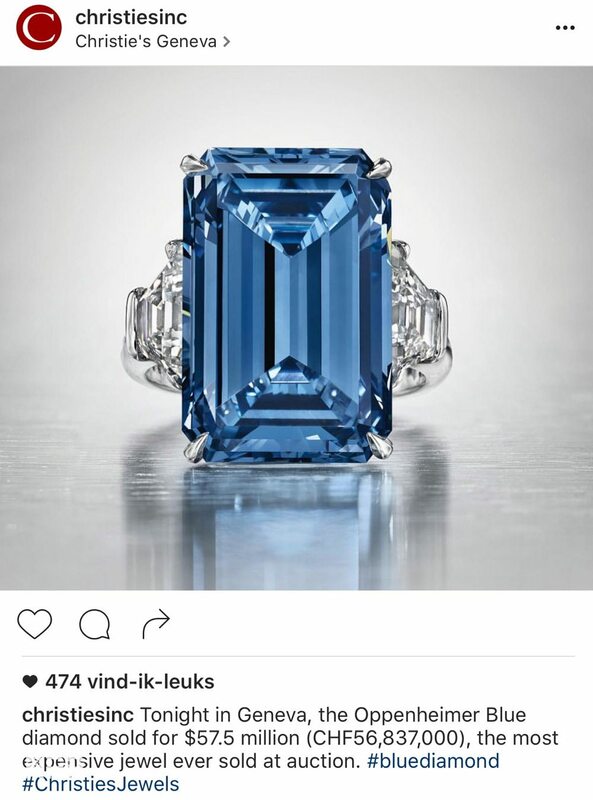 only 4 million! 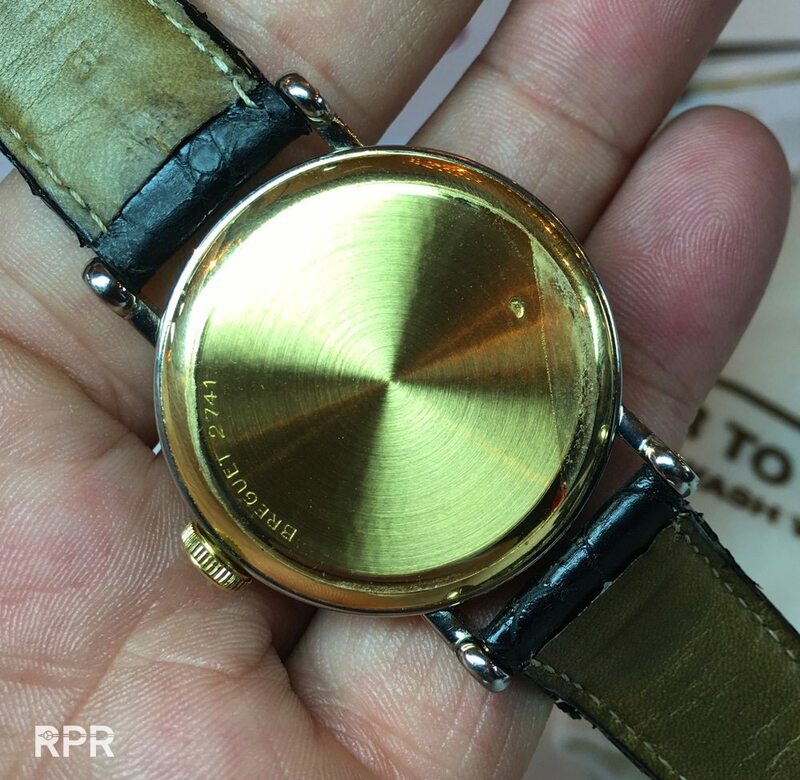 Analyzing the results and the buyers, everything became very clear again to me. 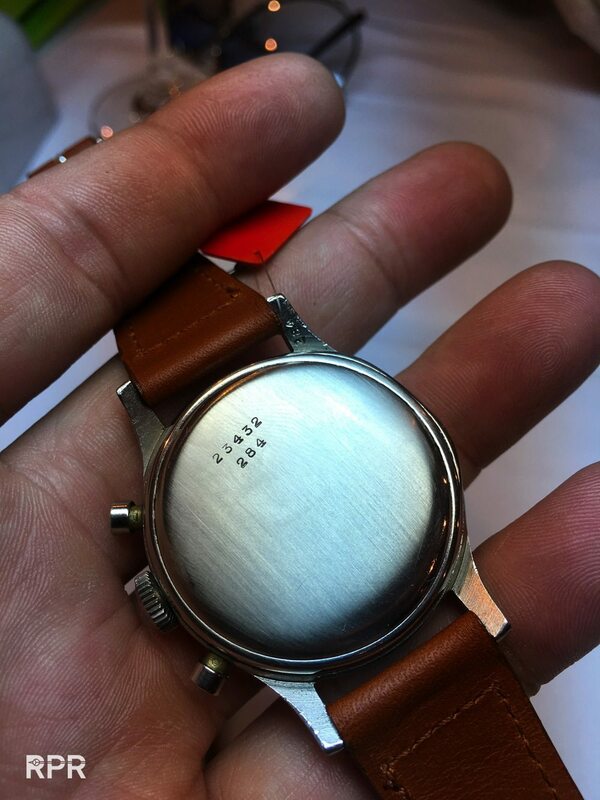 The vintage watch market is divided into 2 sections. 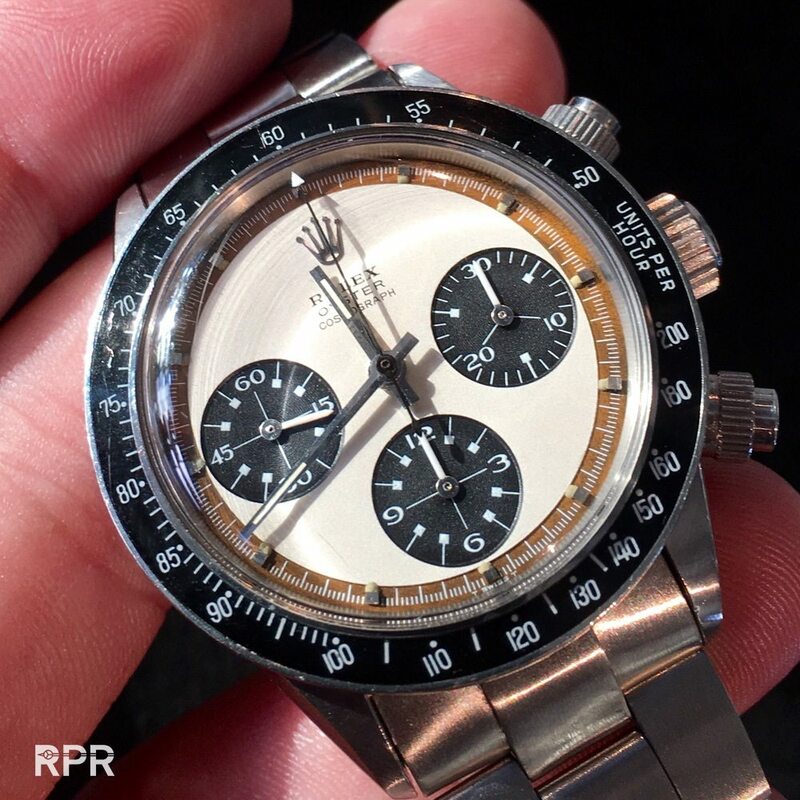 One is where the new super collectors are tuning in and picking up the Picasso’s and the Ferrari GTO’s under the vintage watches, boosting the attention and buying as investment and the others are the ‘normal’ collectors, who actually made this market in the last 25 years and buy out of passion. 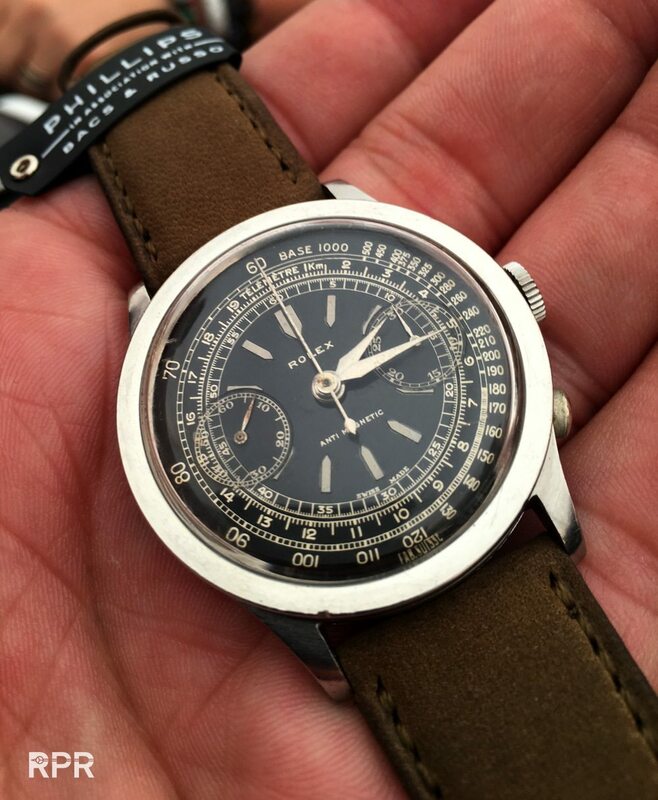 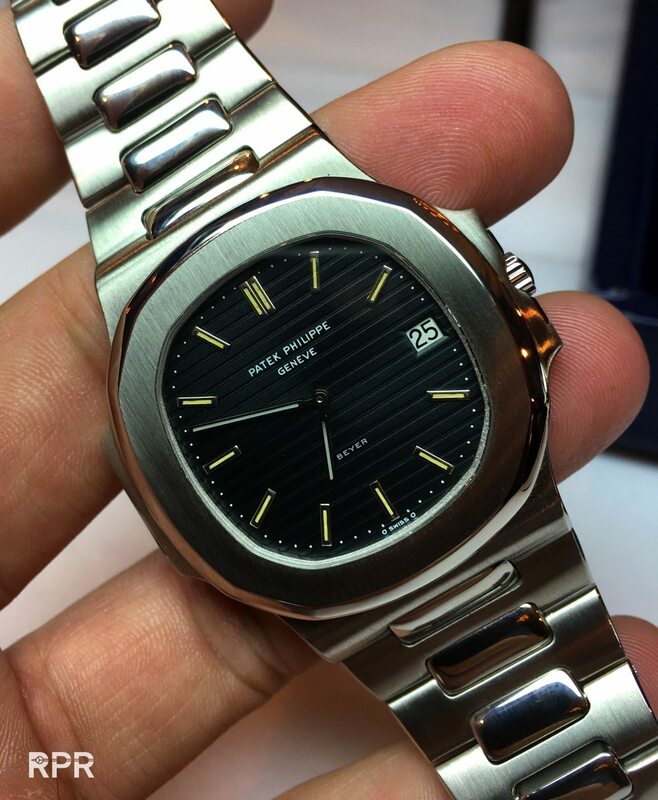 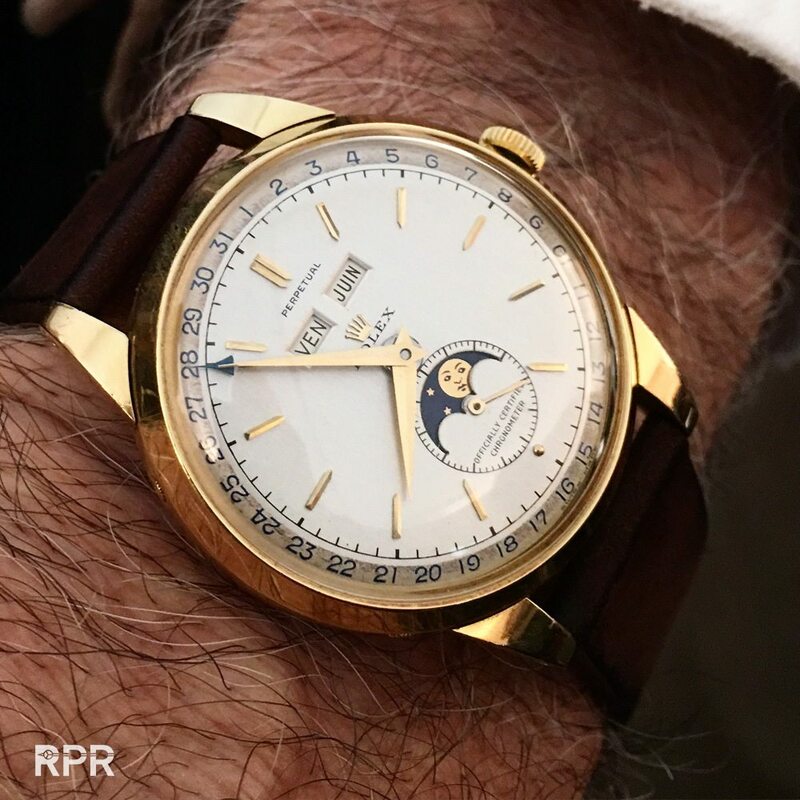 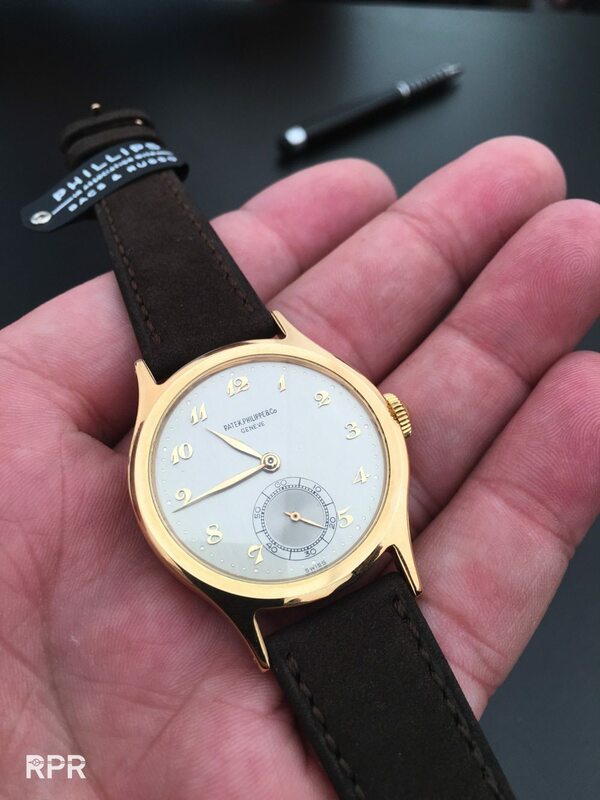 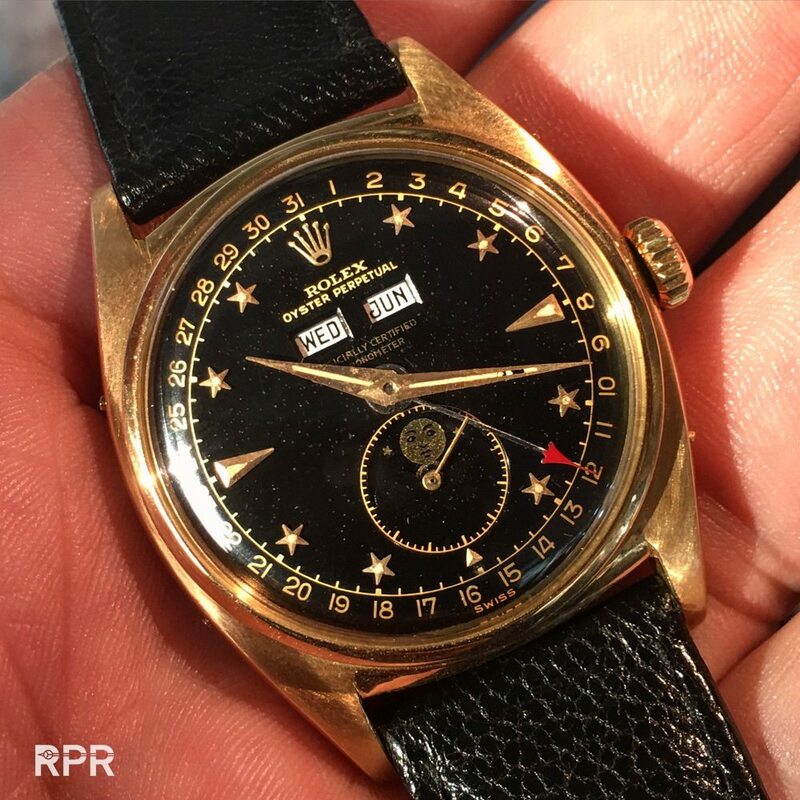 Lots of interest has been given to the fact that vintage Rolex has gained enormous interest and prices gone through the roof to a level equally there where Patek Philippe is, at millions. 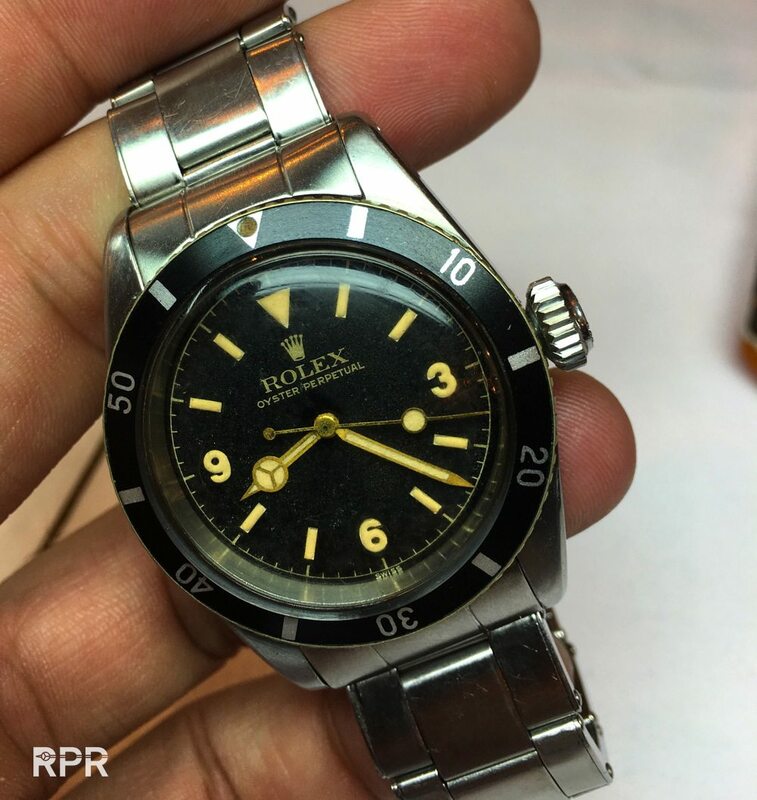 At first it was something everybody connected to the vintage Rolex market was very proud of. 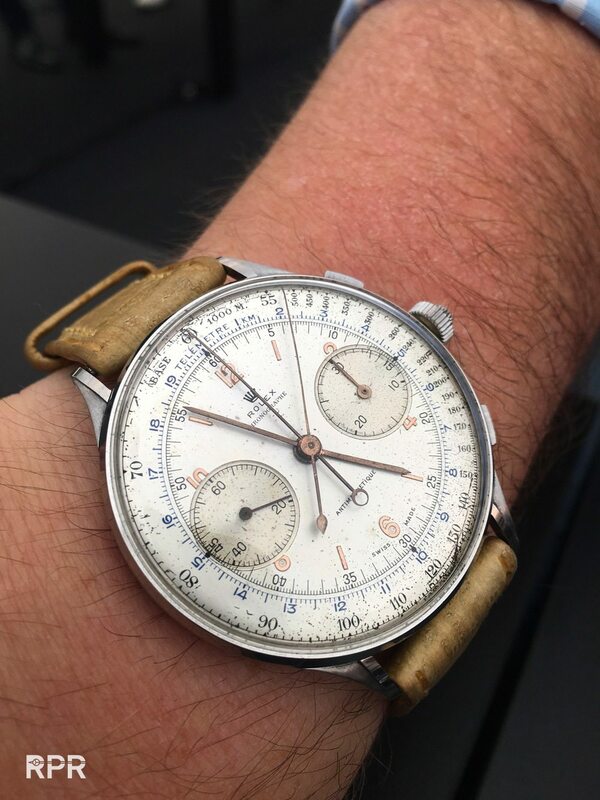 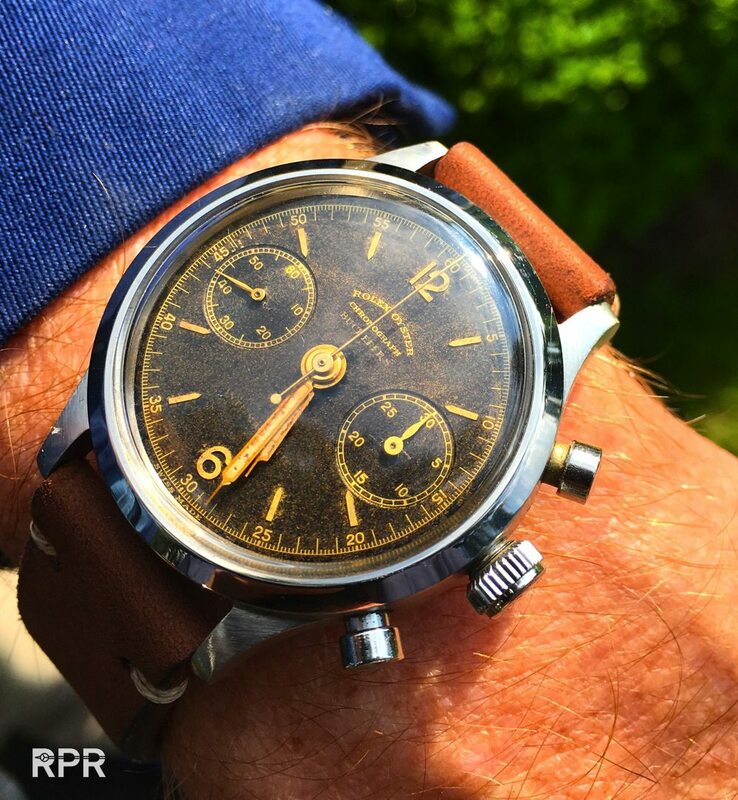 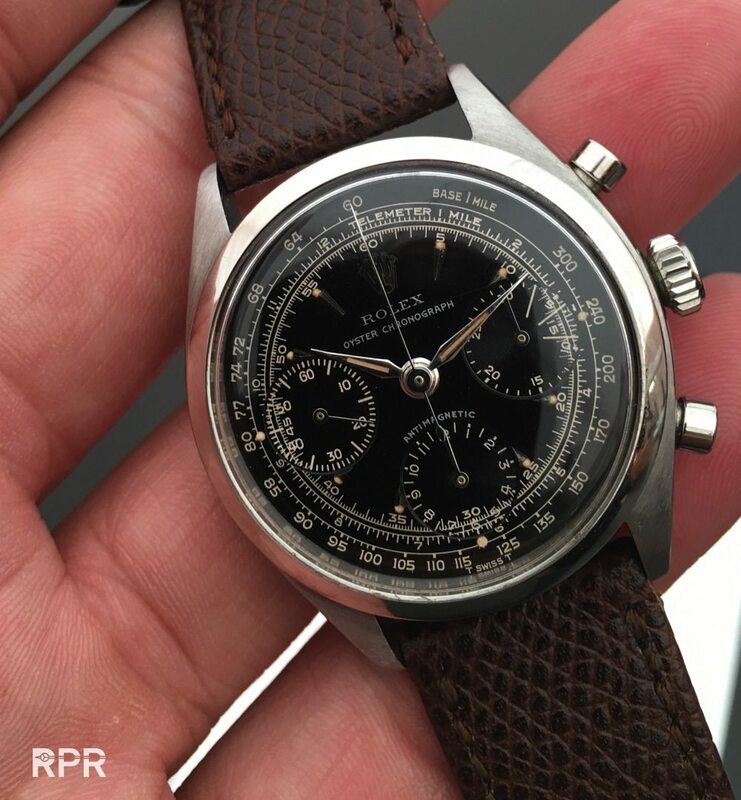 Who ever thought it’s possible that a simple steel valjoux chrono with a ‘singer’ dial is selling, at first for nearly 500K and some years later, last Saturday at Phillips to be more precisely, fetching 2 million !! 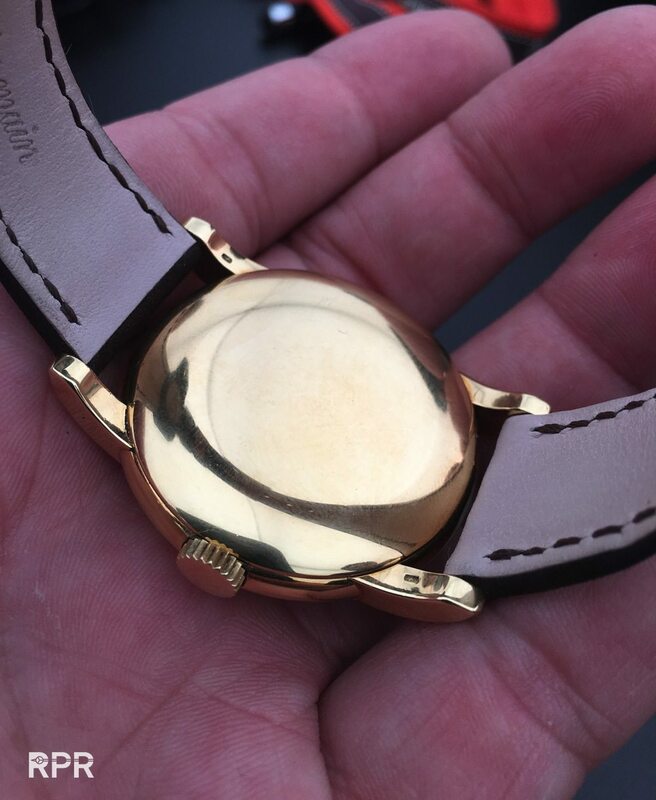 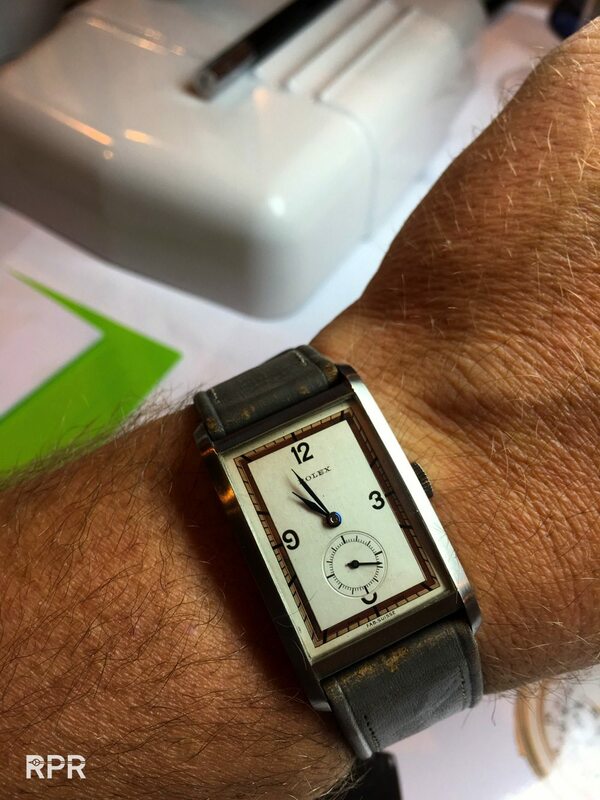 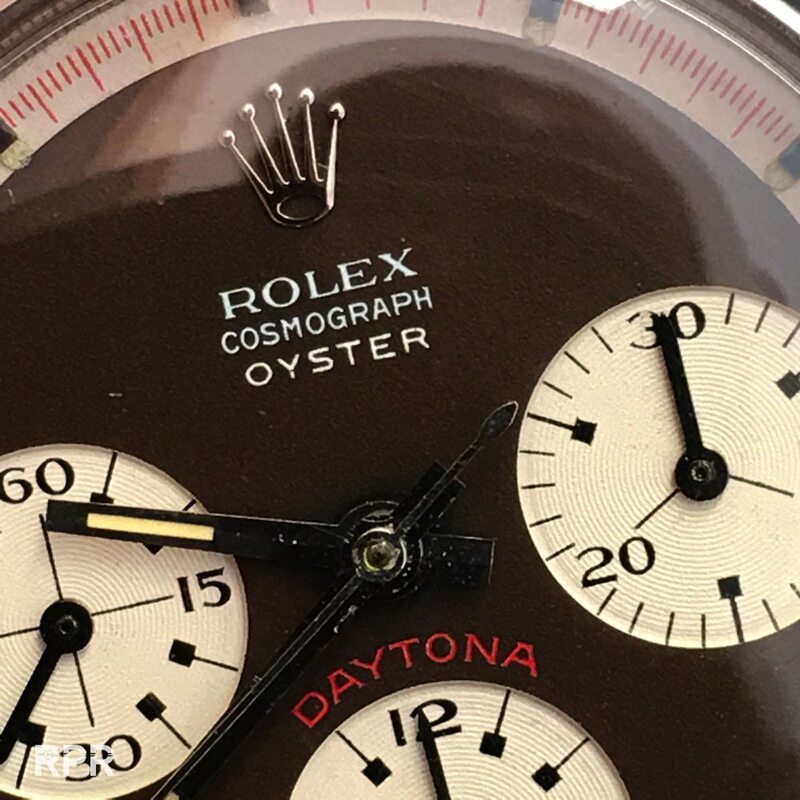 Now the dealers complain there’s nothing to buy in the market, the supply is drying up and buyers don’t sell anymore because they rather put more of their “sleeping” bankaccount money into vintage watches. 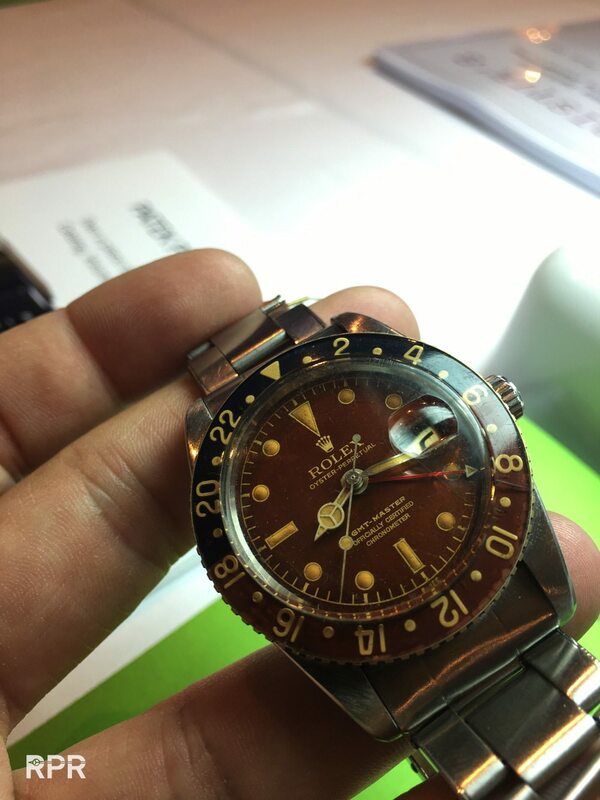 Isn’t that exactly the logic result of “our” succes?? 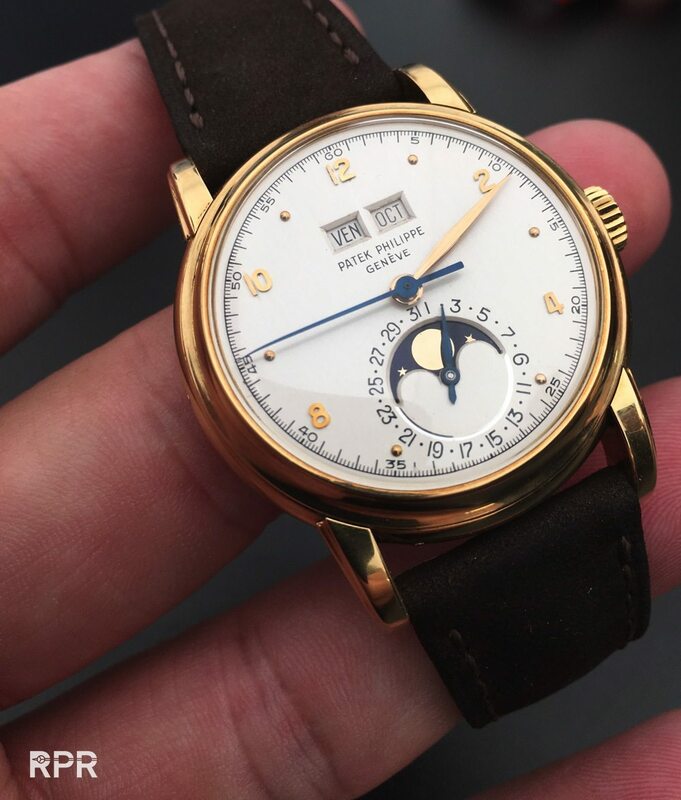 We all wanted the prices to go up, we all wanted the world to see how special our rare watches are and for years you could find great offers available to the market if you just paid 10-20 % more then the rest. 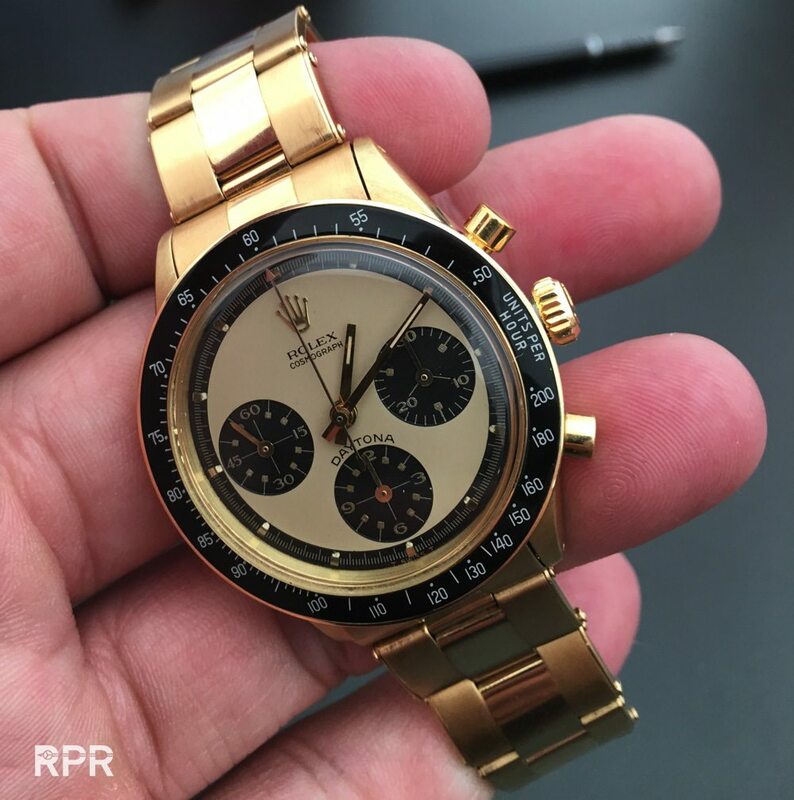 This dramatically changed and prices for good quality are much higher than before because collecting vintage watches has become very populair. 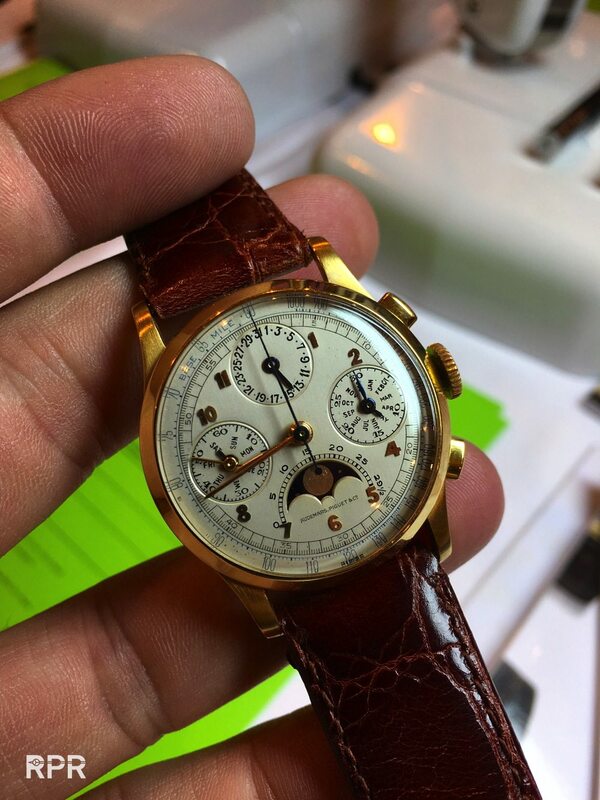 Logically therefore everybody complains, the auction houses, the dealers and the collectors, they all want more…..
Let’s be honest, 2 million is for most people life changing. 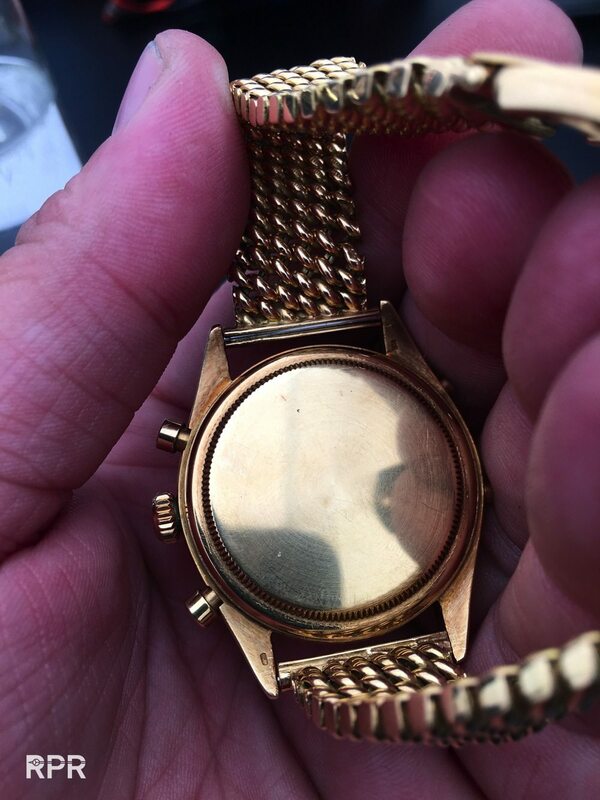 Many will never earn that much in their whole life. 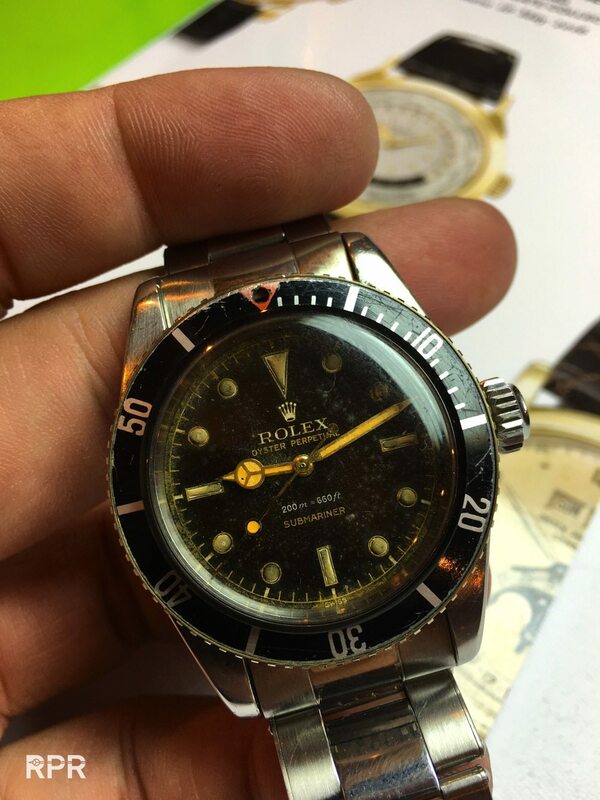 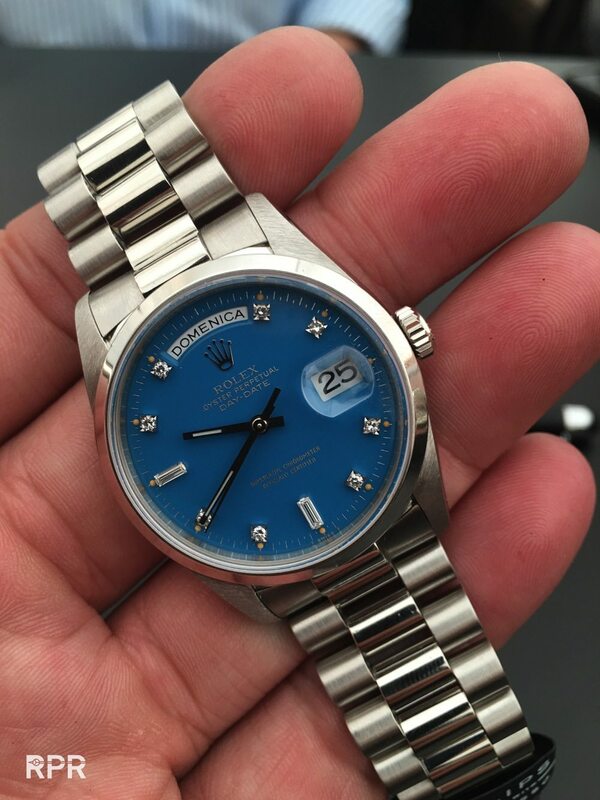 Spending it on a vintage Rolex is special, very special! 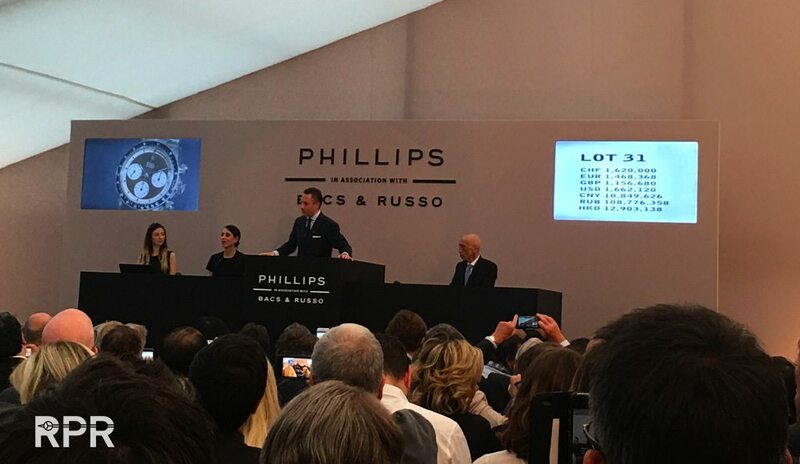 The top 1 % of the market, the super rich that can easily afford adding another of such trophy to their collection, are keeping the auction houses alive. 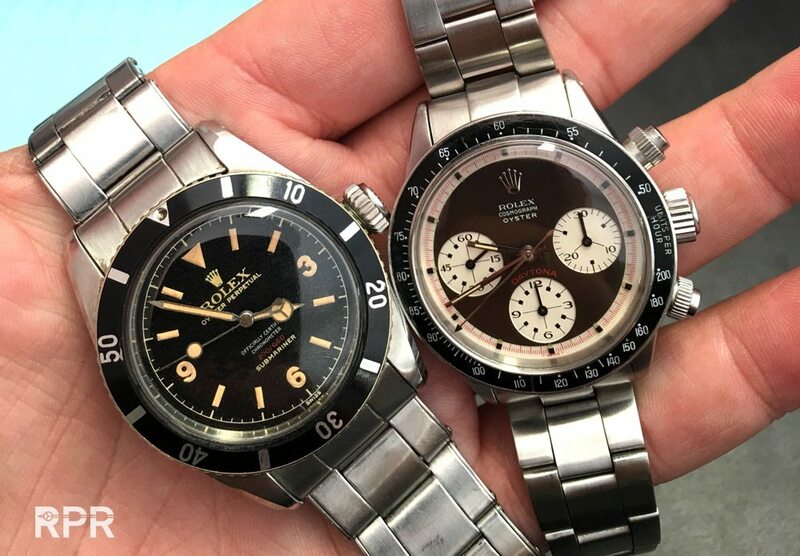 The 5 x vintage Rolex pictured above have now been sold for 7 million, whilst 4-6 years ago they costed nearly 2 million, making a return of 4 to 5 million profit, that is insane! 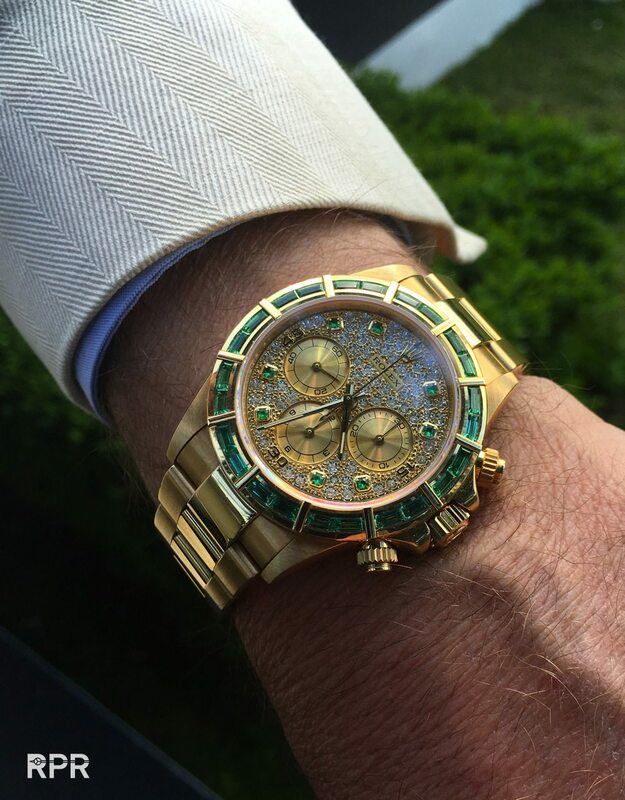 Not many stocks, gold, bonds or real estate have such a performance. 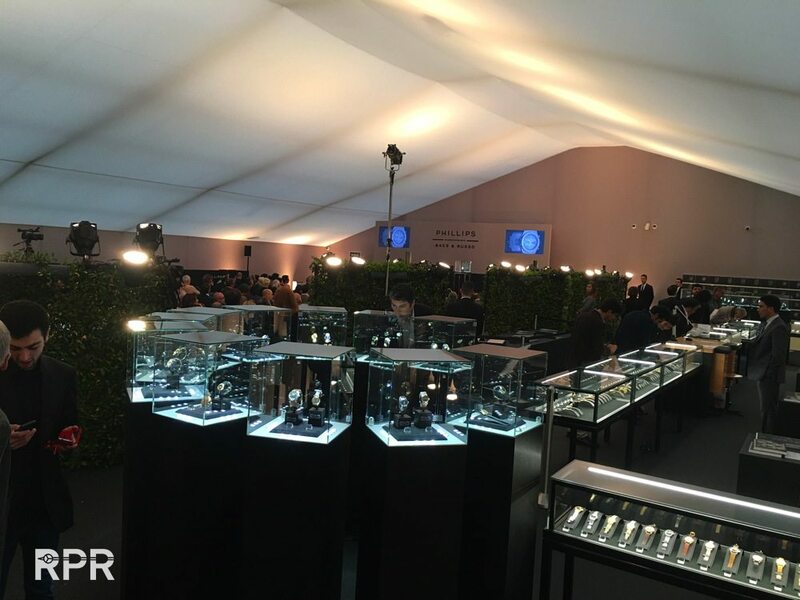 Thus many more rich enter the watch, diamond, car and art market making huge profits. 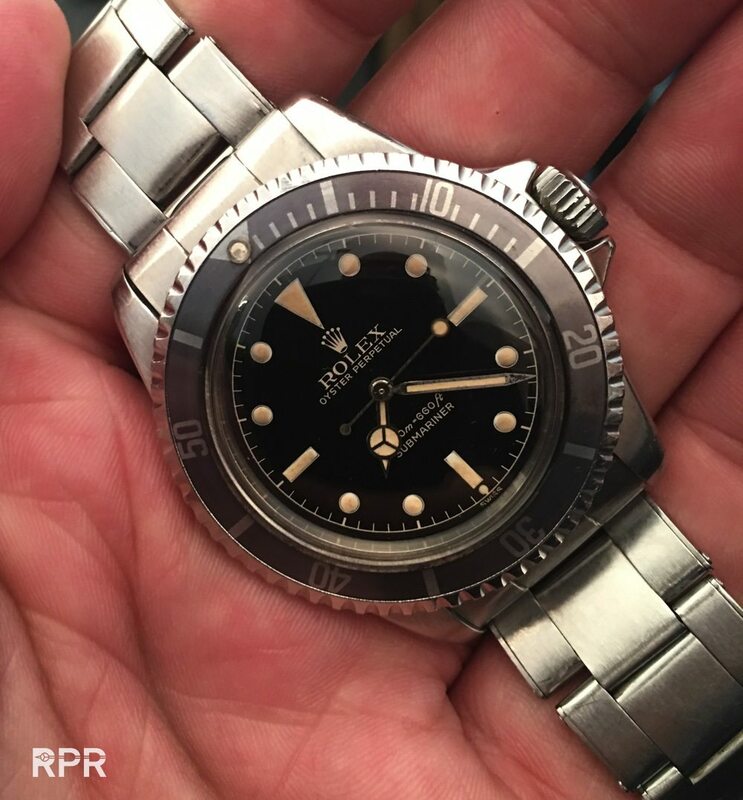 Partly because money is not bring anything at the bank but merely because rare iconic design in great condition has been proven to be a save investment in rough times. 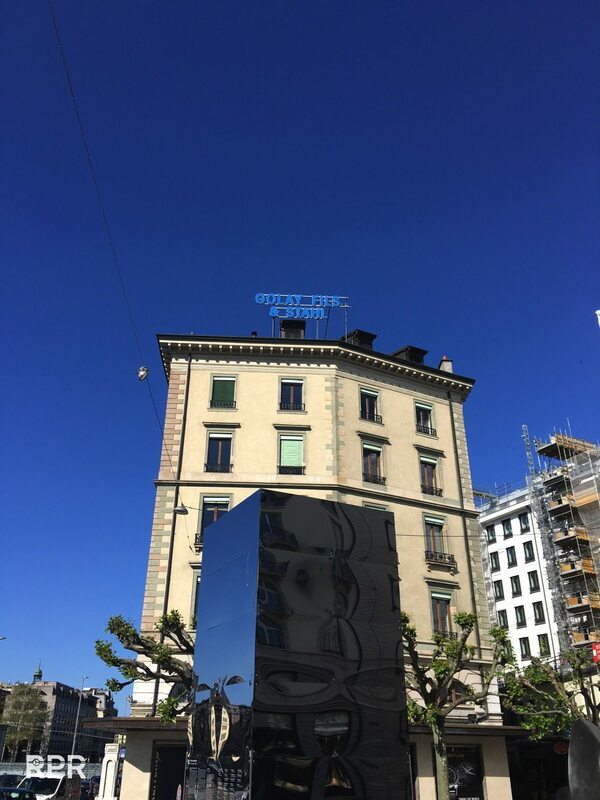 Museums for instance around the world are hugely popular, explaining the importance of their curated rarities to the public. 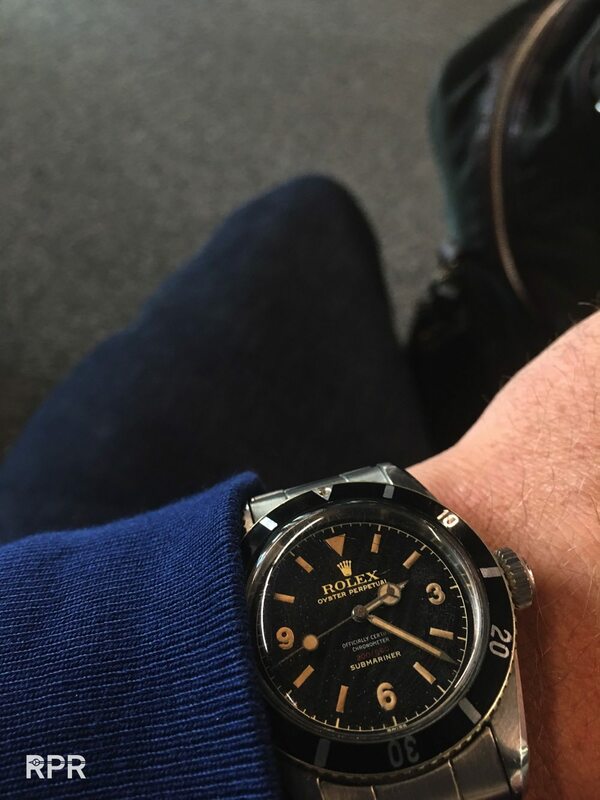 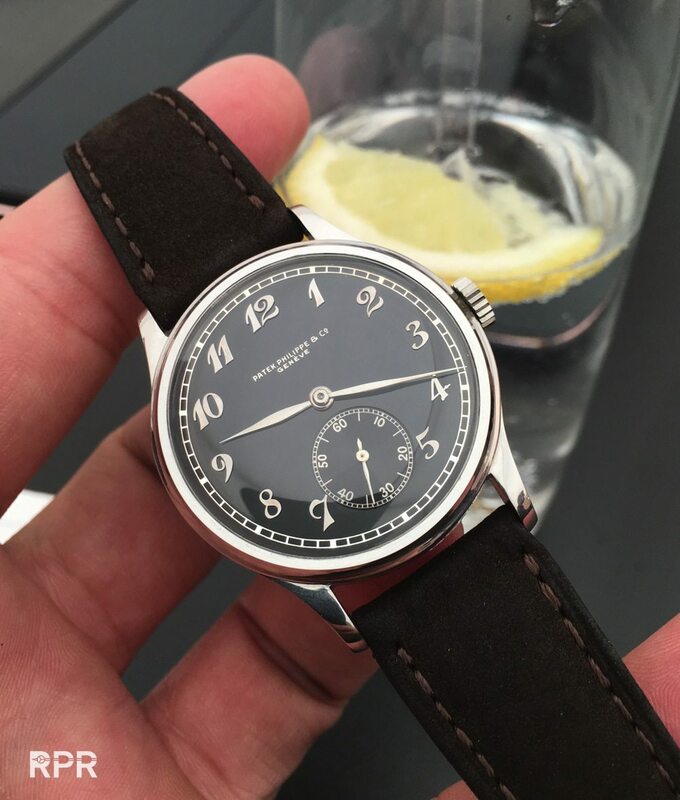 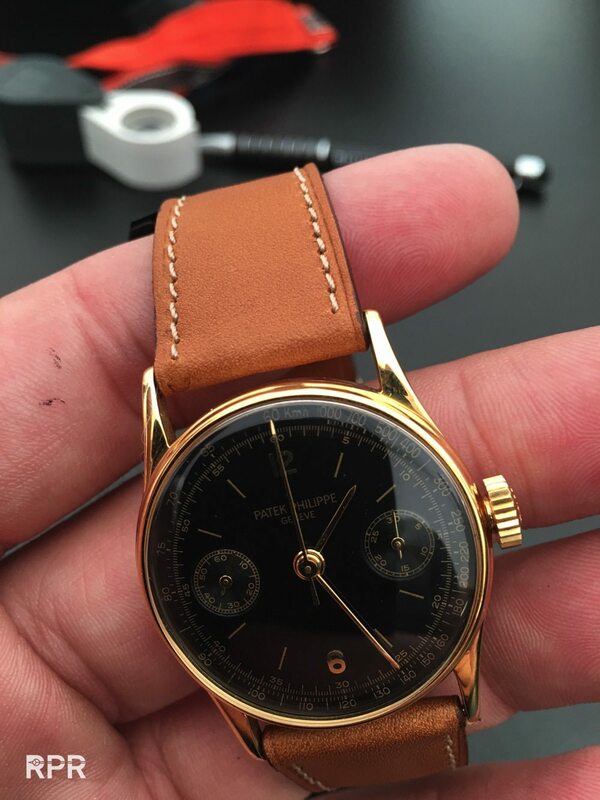 Just like with every investment, you need to look after with vintage watches as well. 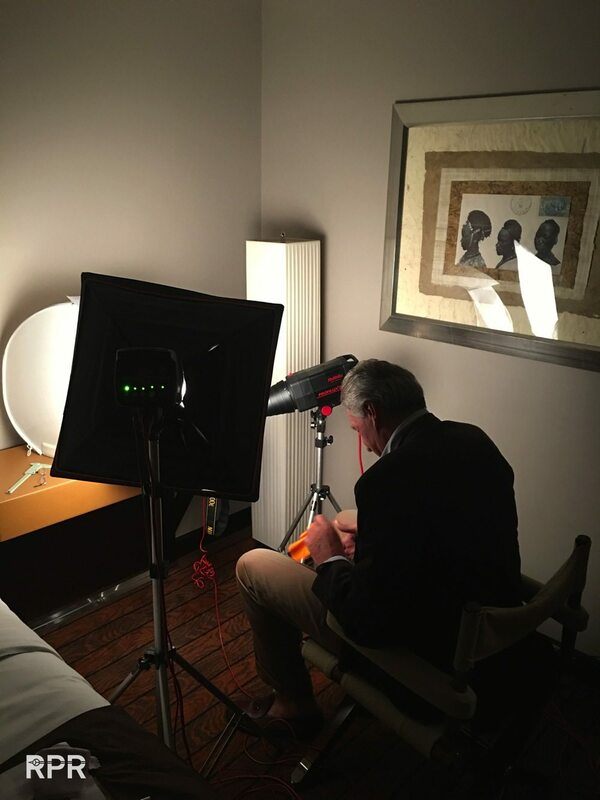 The more knowledge you have the better your result will be. 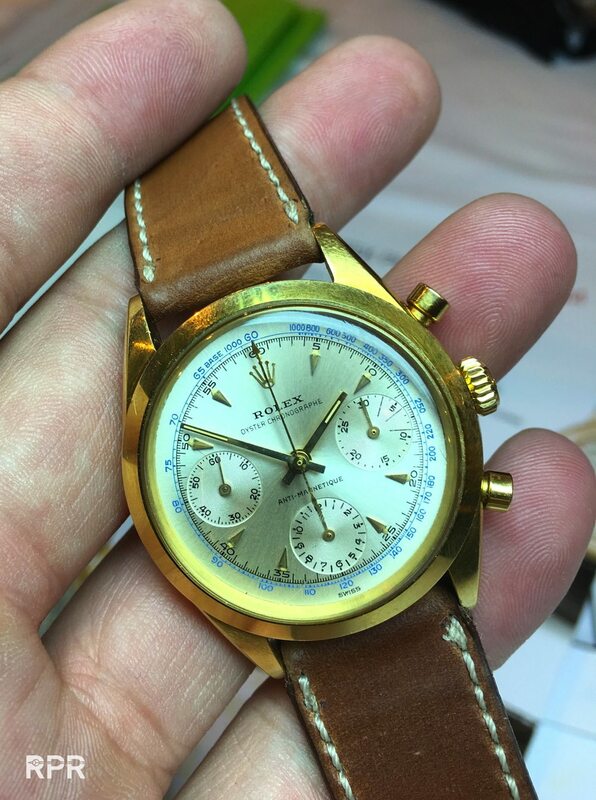 You can not expect to step in the vintage watch market with money only, you need knowledge. 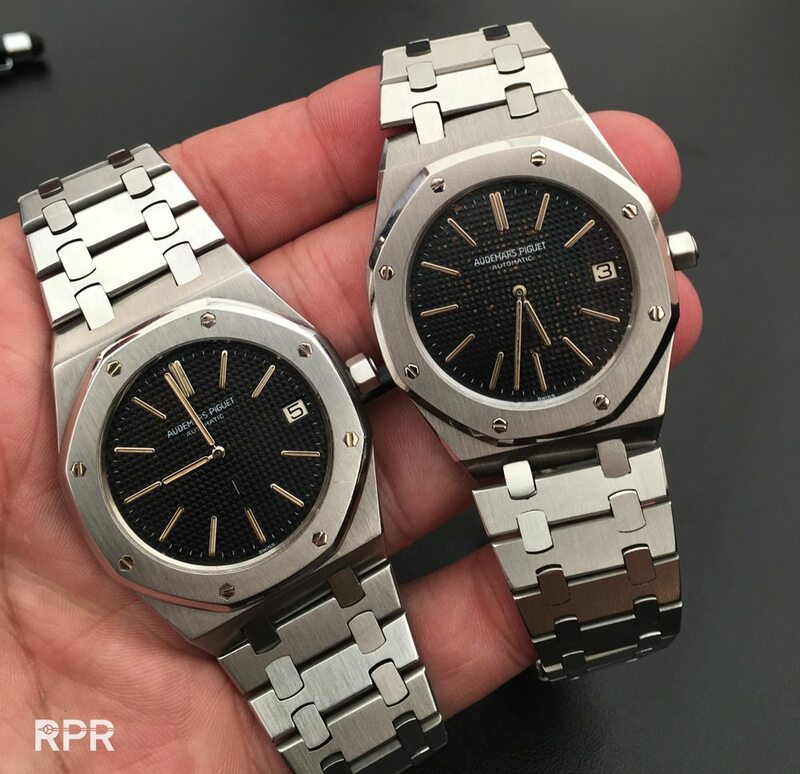 And as it takes years to understand the subtle differences, collectors need to be realistic. 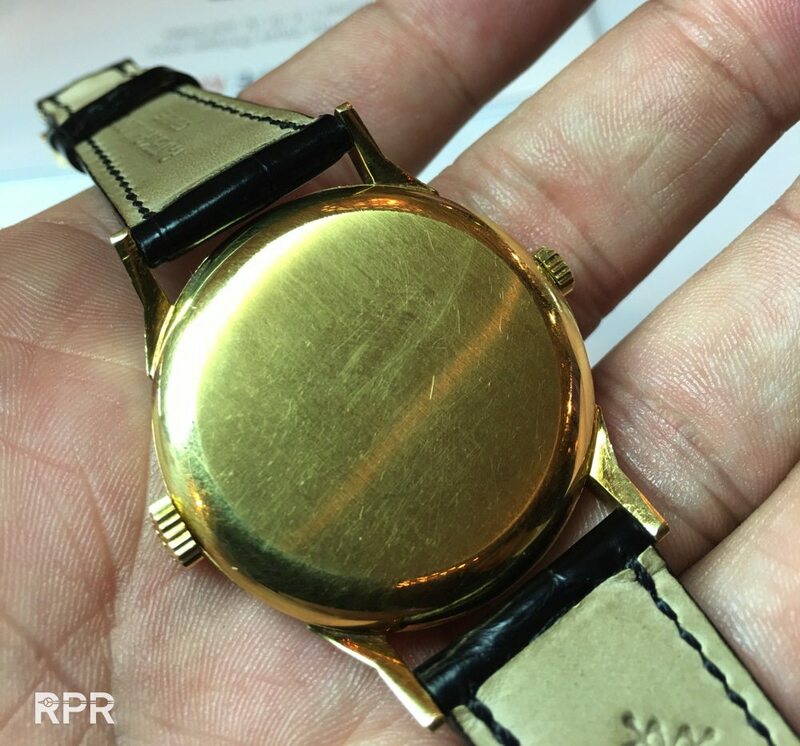 Temper your expectations and start enjoying the watches in your “portfolio”. 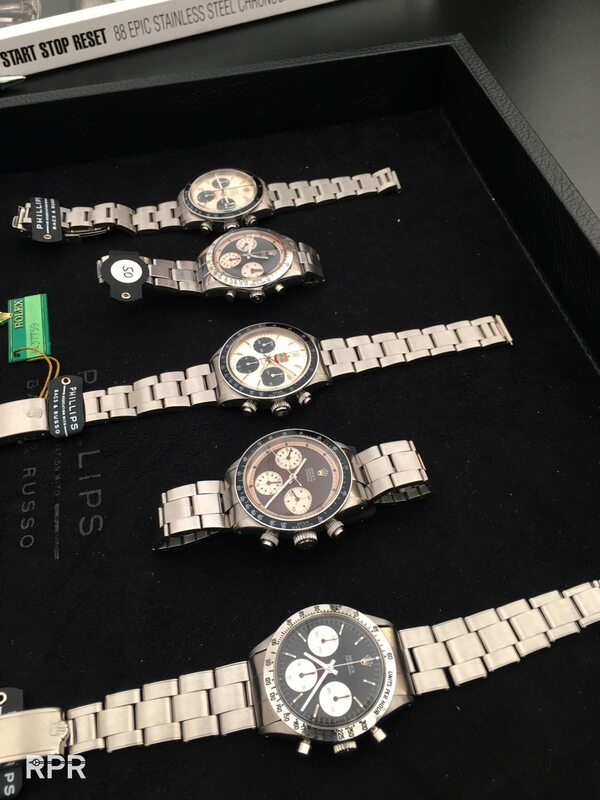 Take them out and wear them instead of storing another one to your safe box. 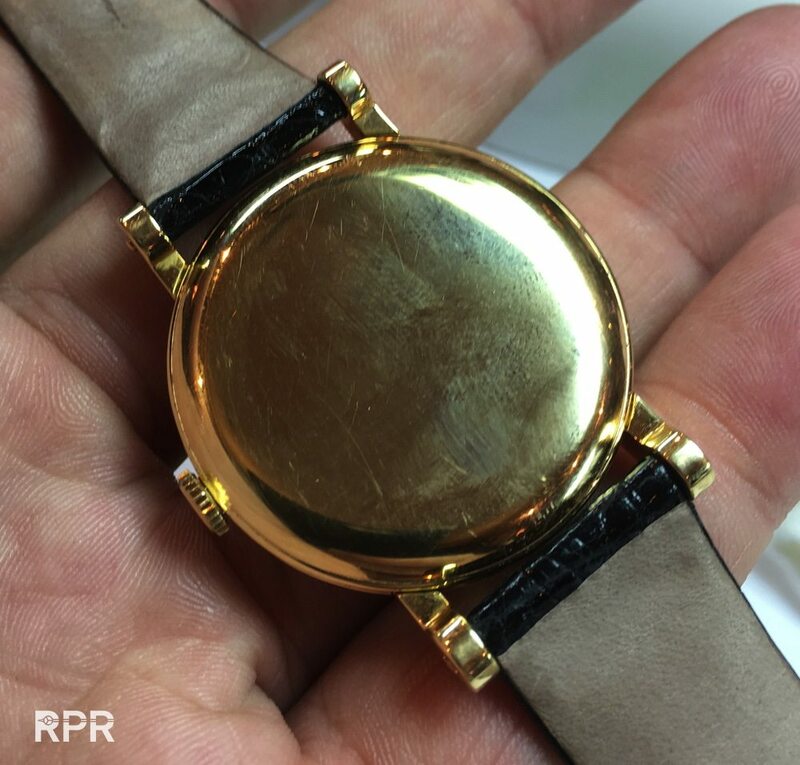 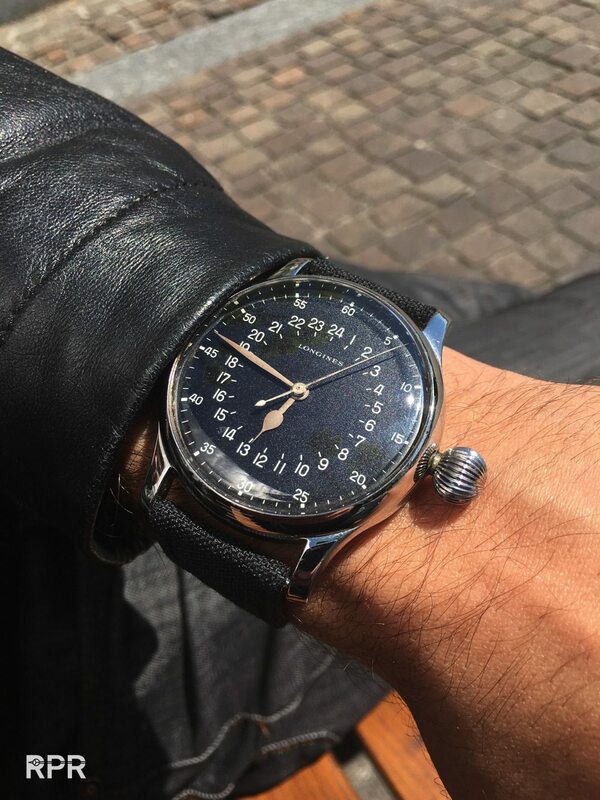 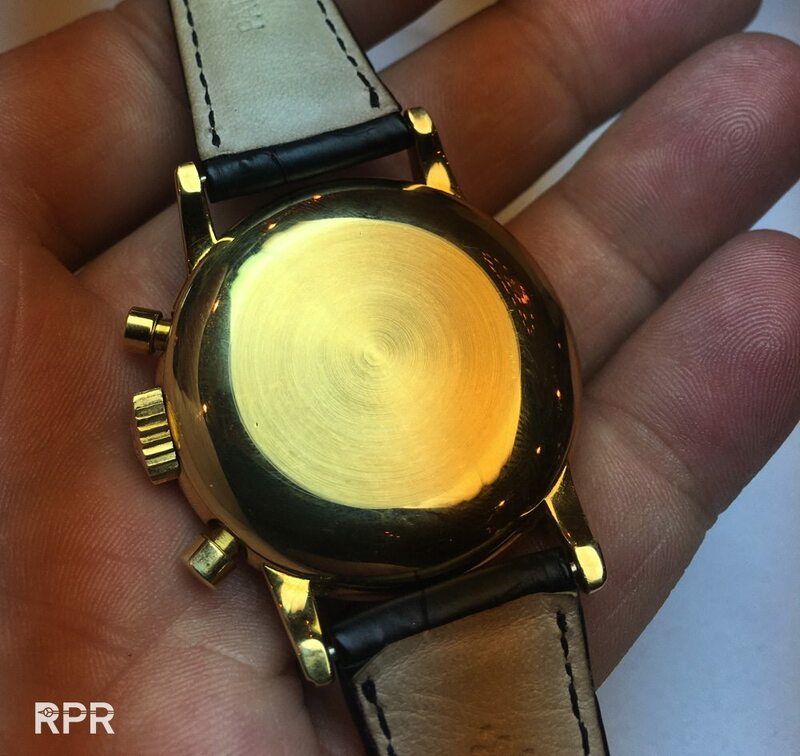 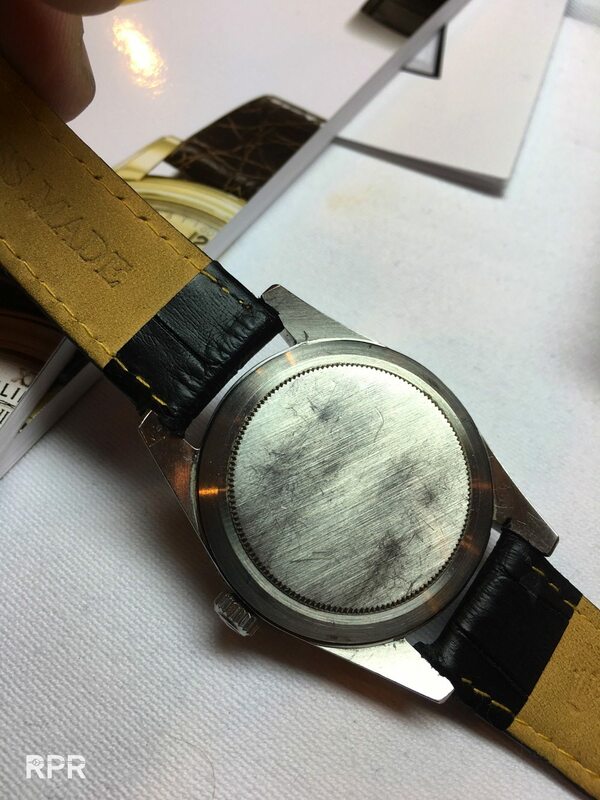 While wearing it carefully you realize you didn’t bought a picture, instead you’ll better understand how important honest condition and matching patina is to a vintage watch. 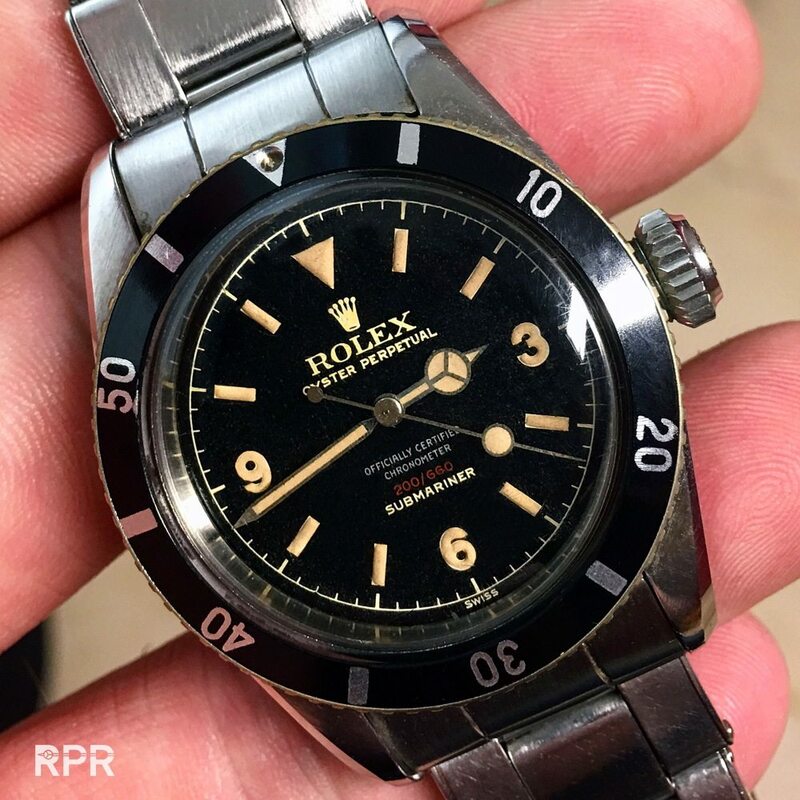 The easiest way to spend your money is at a reputable auction house, trusting their expertise and reputation. 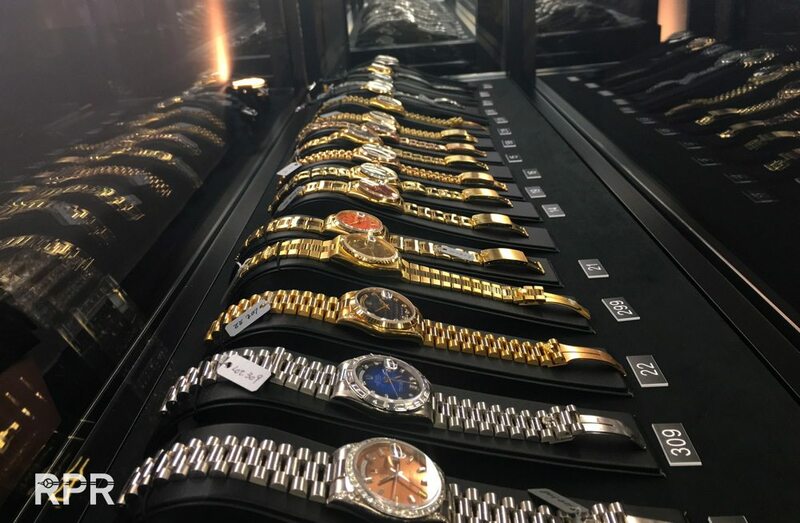 Logically you’ll be paying a premium because you choose not to do any effort finding it in the market with respectable dealers. 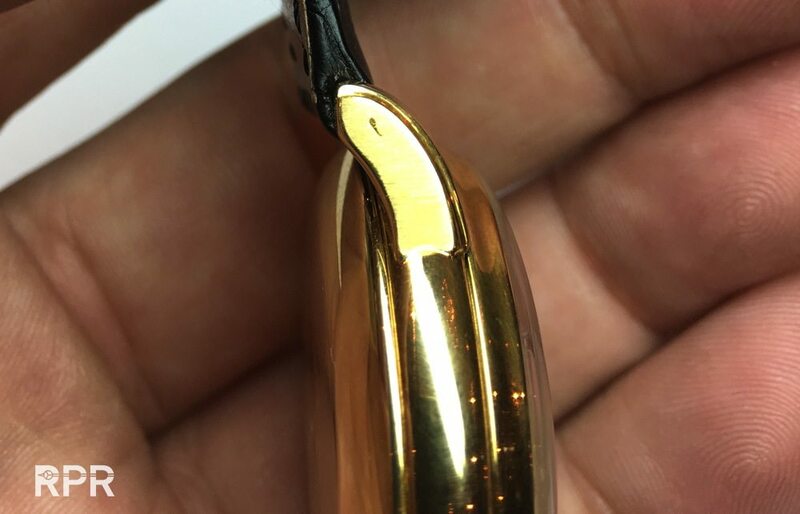 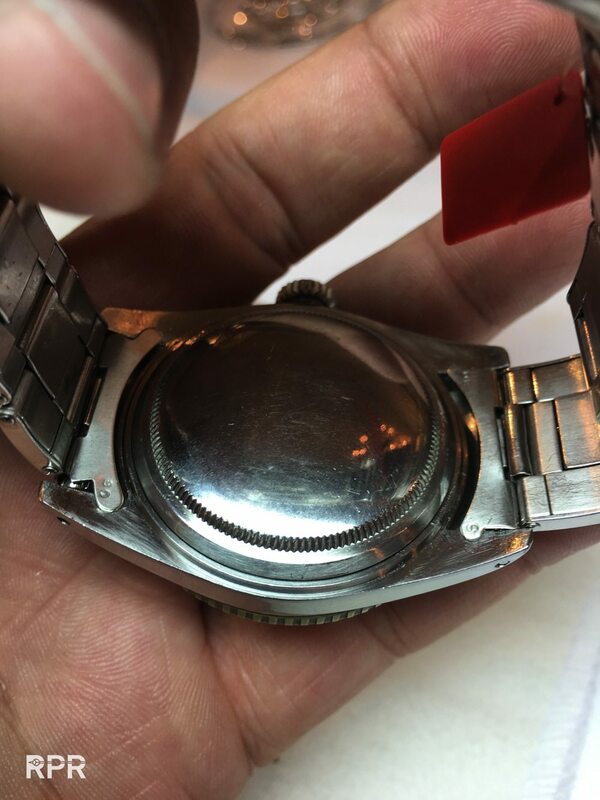 Maybe you’re not aware about all little important details you need to know before you can buy an important watch and you choose to play safe. 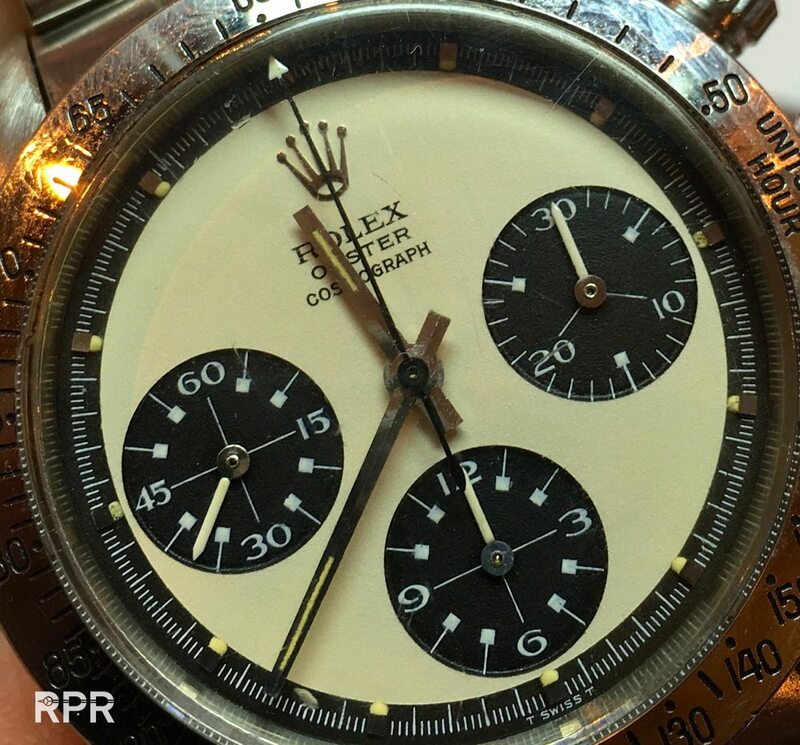 Anyways, buying at auctions used to be for dealers only but now end consumers dictate the auctions. 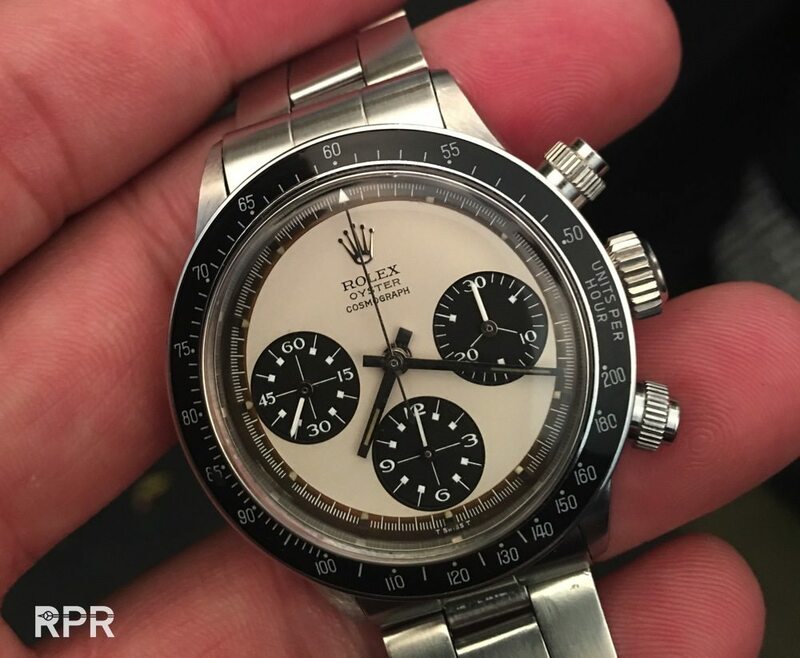 Out of the 100 people in the auction room, easily more then half is dealer. 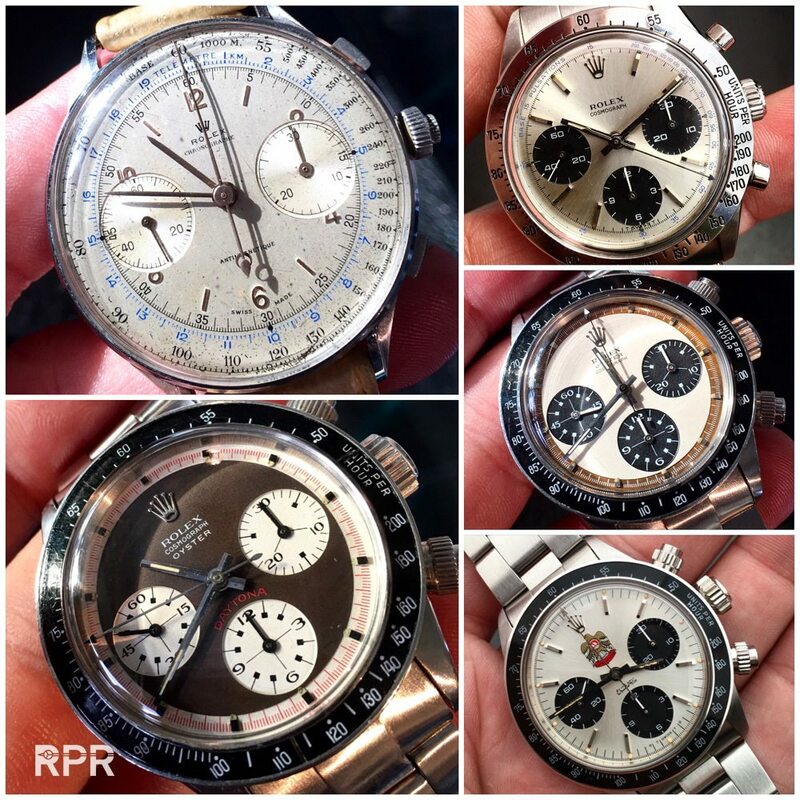 And of these 50+ dealers around 5 are only bidding during the sale. 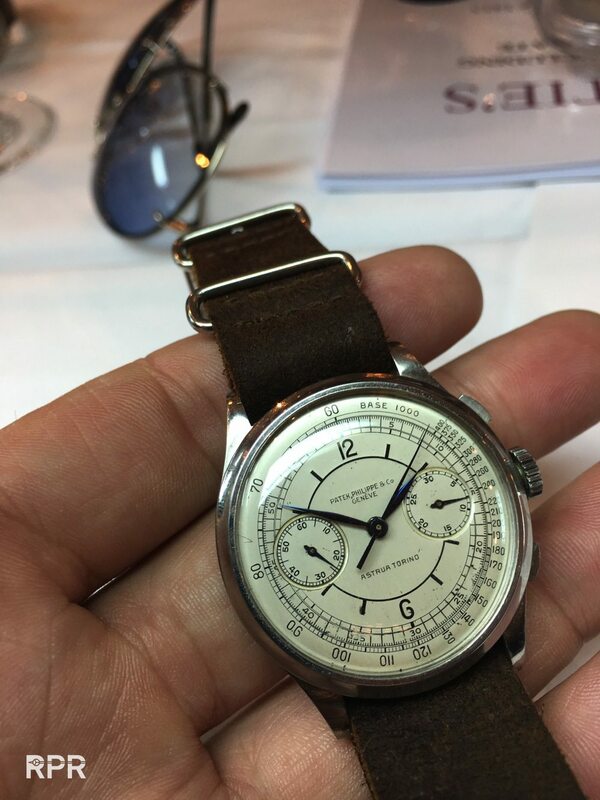 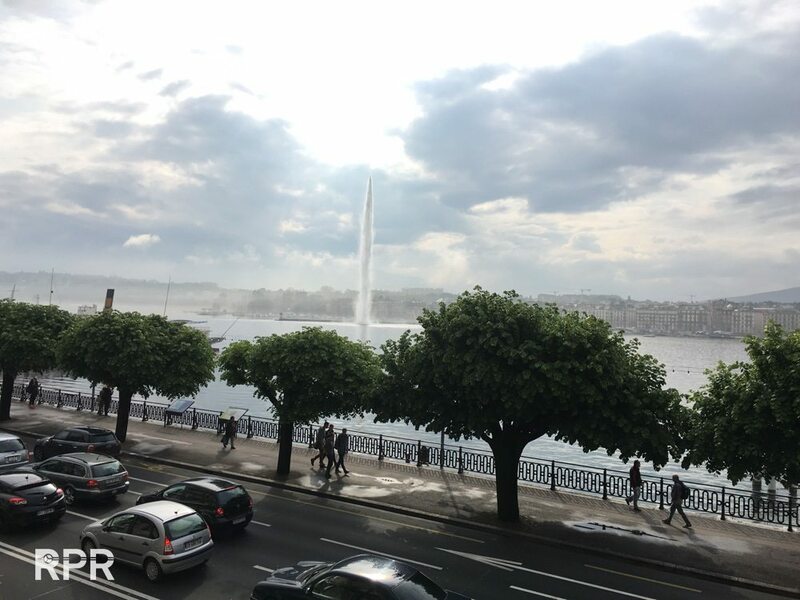 Many ask me if and what I buy at auction but let’s be honest, if it has come to the point where I need to step in, then the market has collapsed and I won’t even be sitting in the room 😉 I’m merely in Geneva to observe and see what my befriended dealers and collectors are doing. 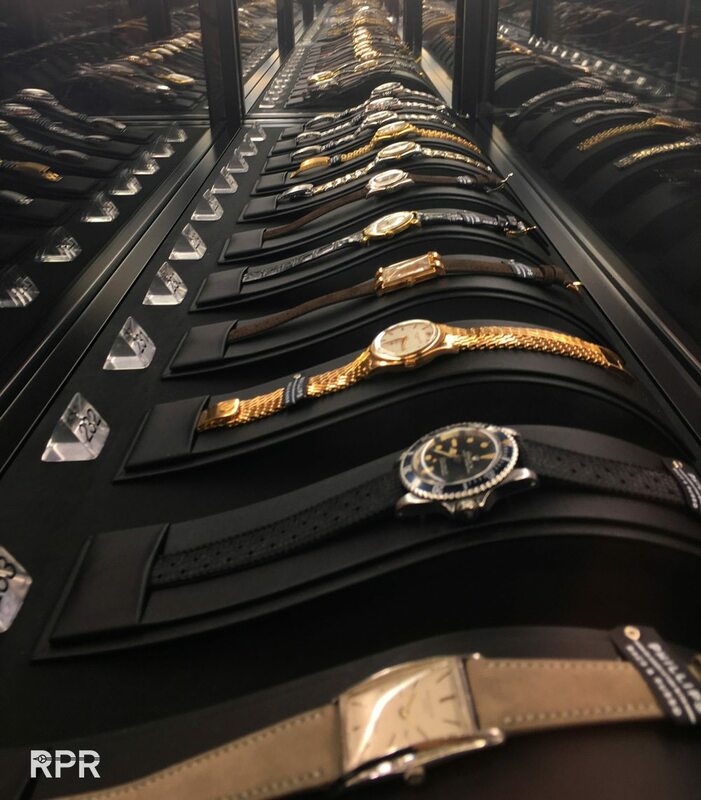 Who’s buying what and how the offers during the preview really look like. 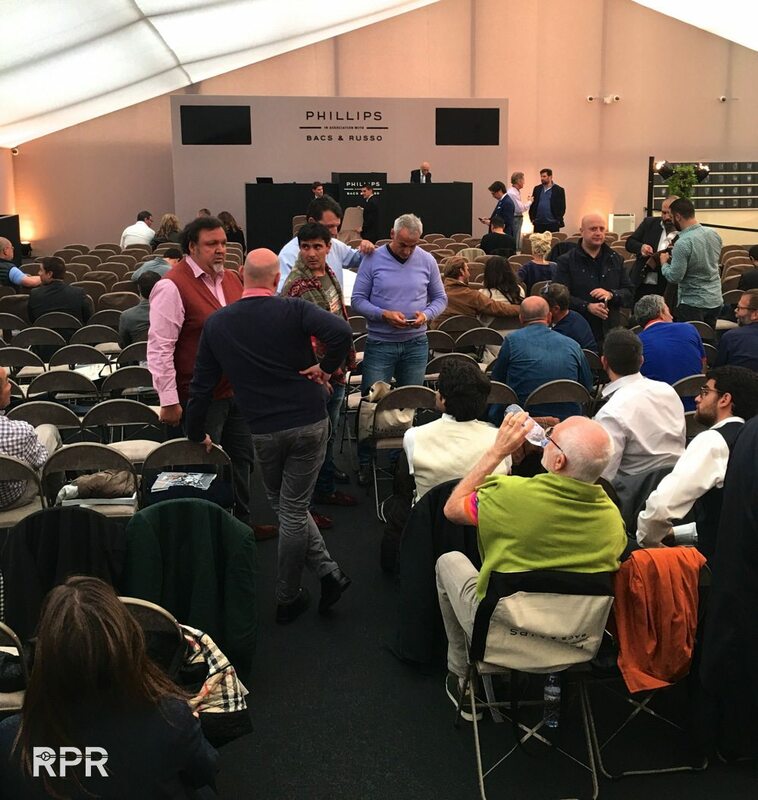 Very little private buyers are there to take active part of the sale. 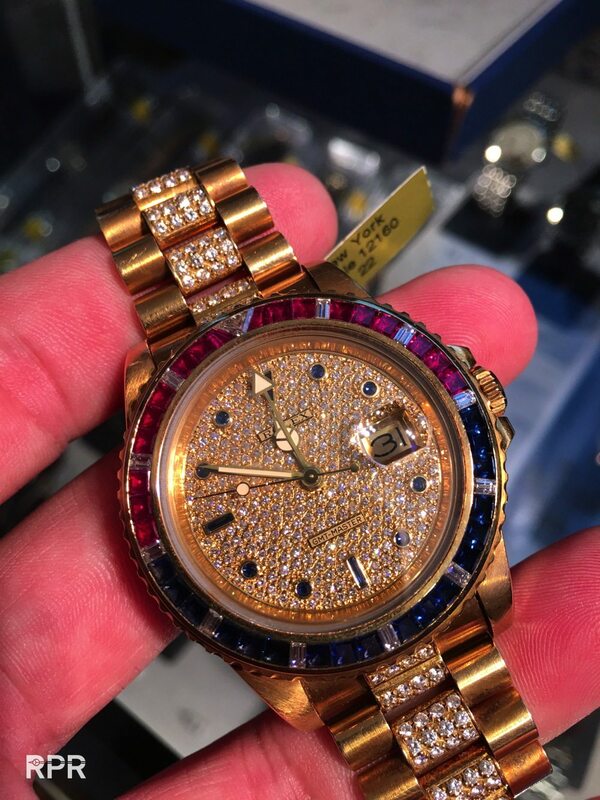 Most of them choose to use the phone to bid or have their dealer sitting in the room. 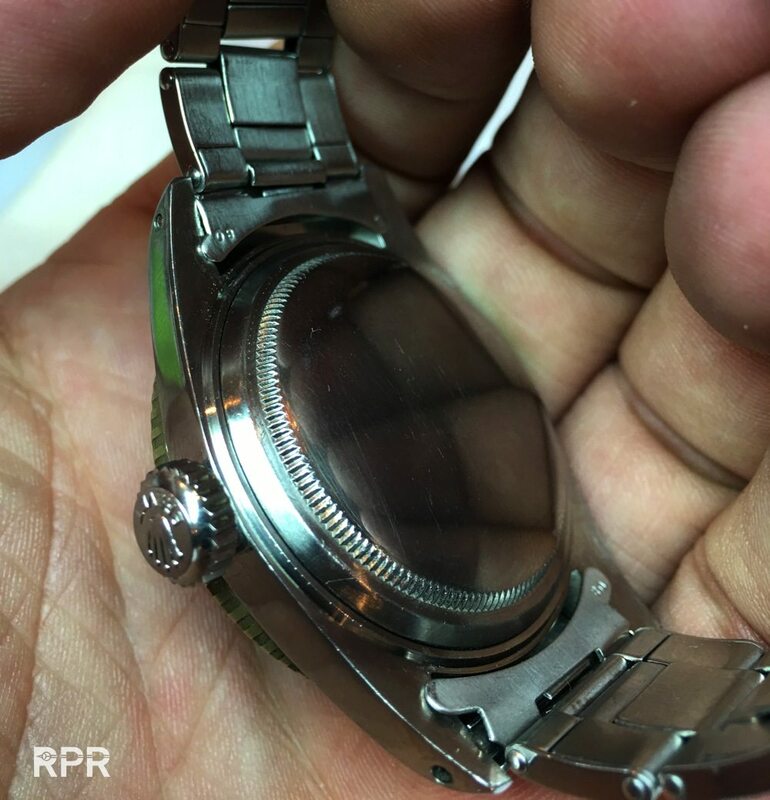 Something I want to explain better in my future RPReports is following. 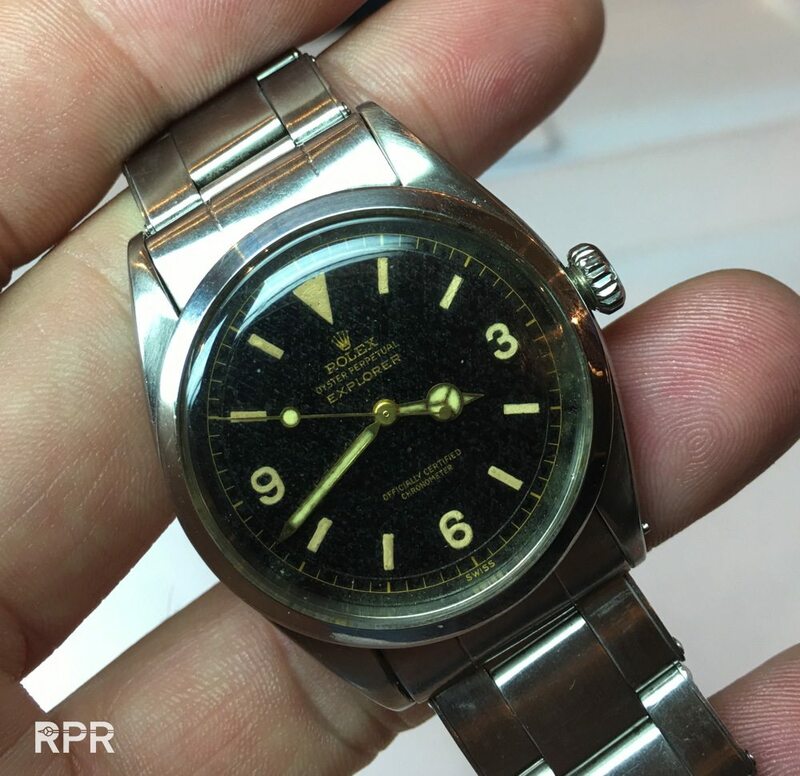 We all have to realize there are 2 worlds of vintage watches. 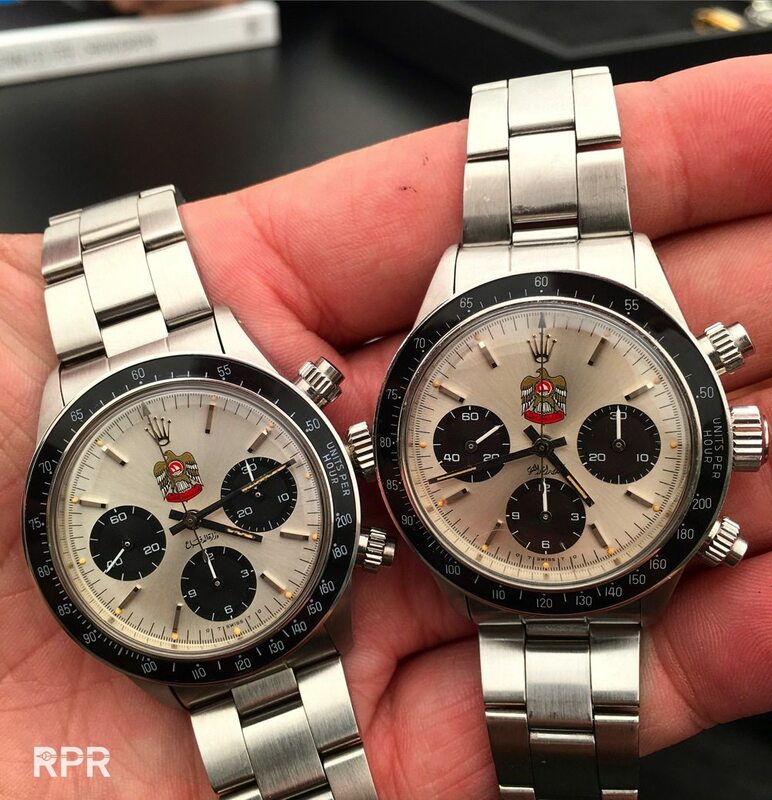 And as only a handful can effort to buy the really best, most collectors have to settle for the second best. 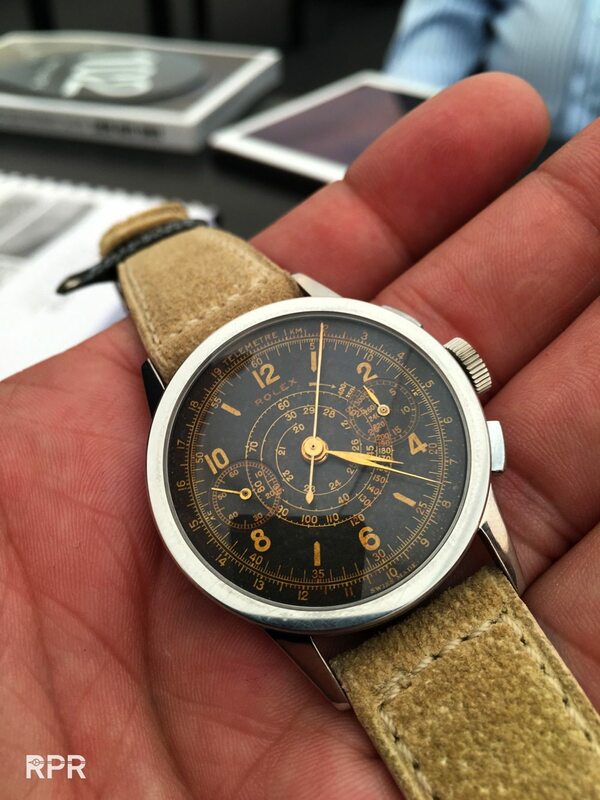 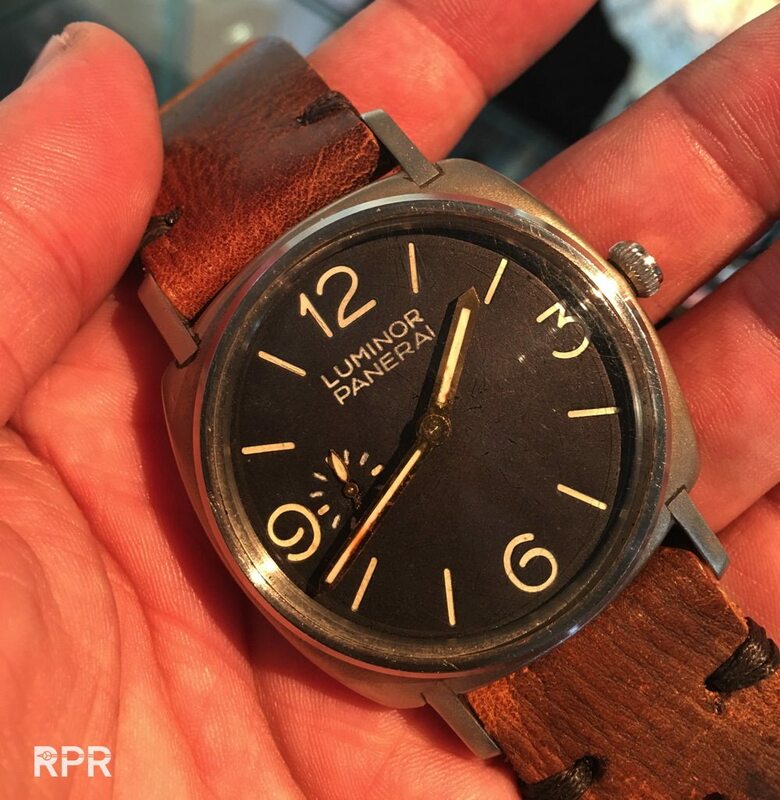 In other words: Buy the best possible vintage watch which your budget allows you to! 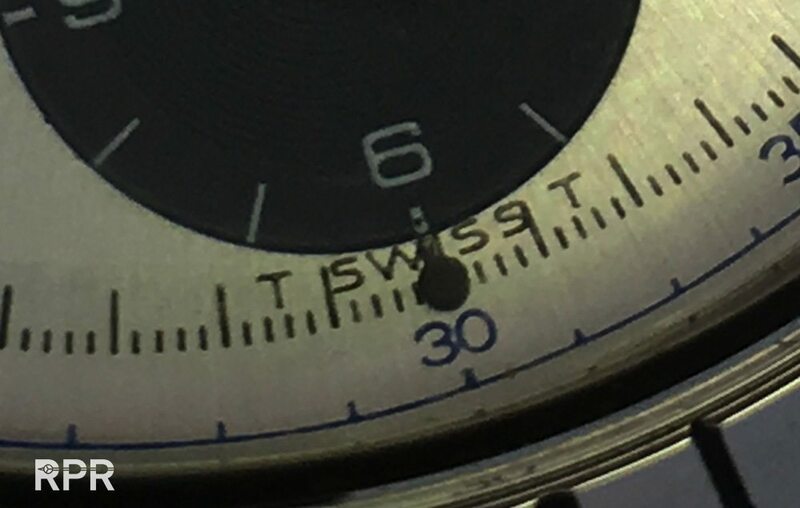 Don’t think that a 50-60 year old watch that’s still unpolished and crisp will fetch only 50% more then an average one. 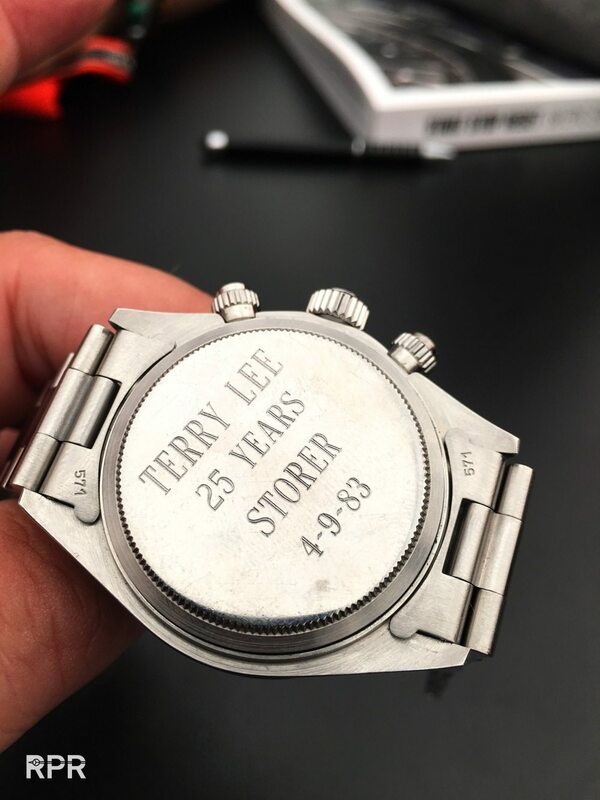 No, these time capsules sell now for 500% or more so it doesn’t make sense asking dealers if the watch is unpolished as it’s clearly not! 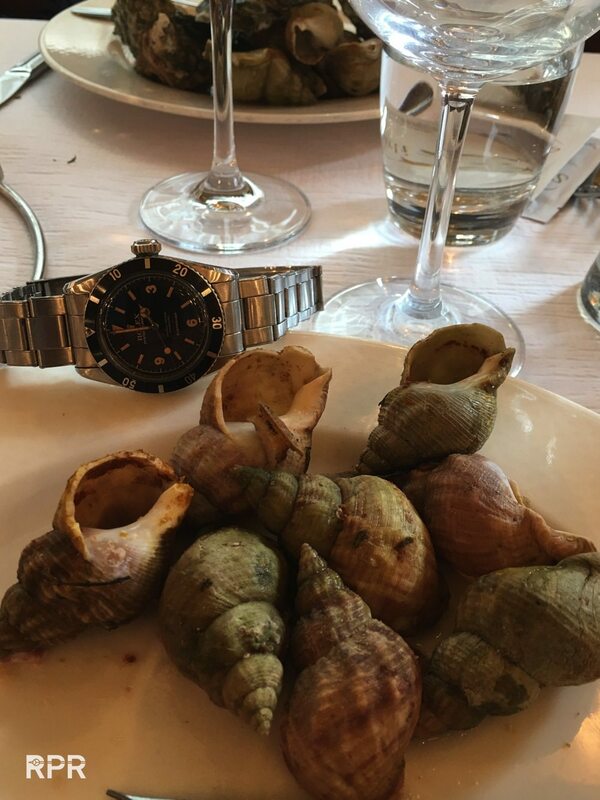 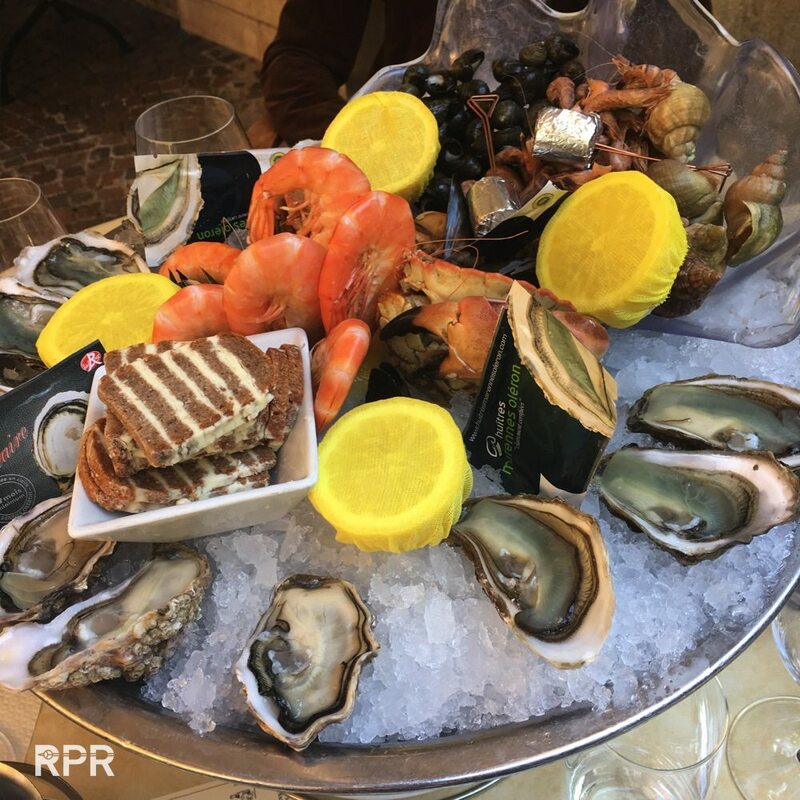 Unpolished pieces do not need to be offered to the public as any dealers knows to find (using Instagram) that rich über collector that will pay him a huge premium immediately. 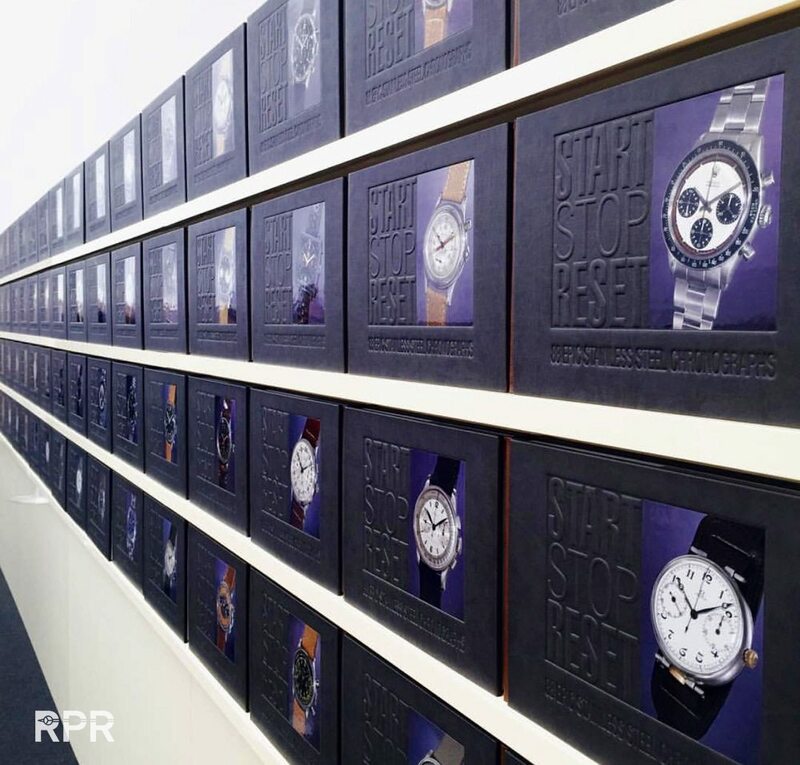 You might have noticed that I’m already promoting different levels of rare watches at our Rolex Passion Market. 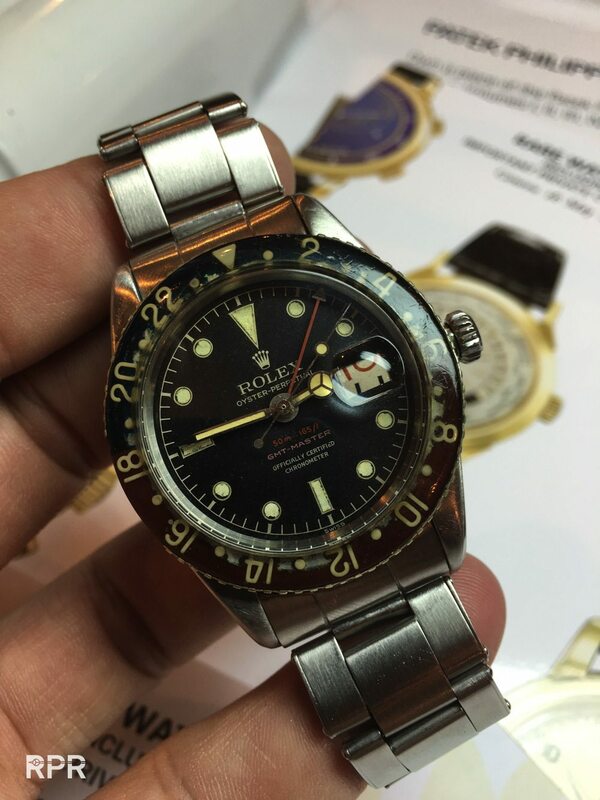 I strongly believe that a honest white 1665 or gilt 1675 is a great investment. 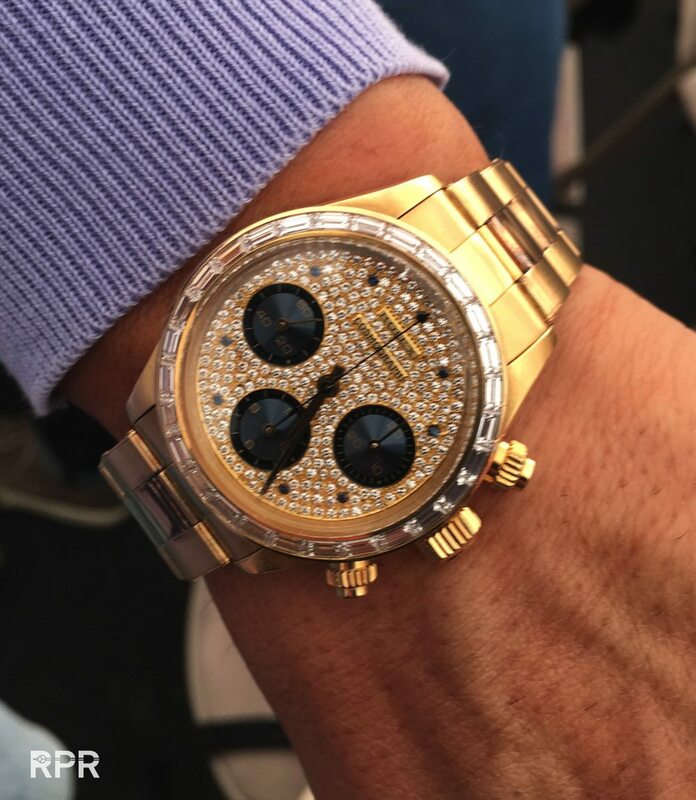 Not only money wise but more importantly, passion wise! 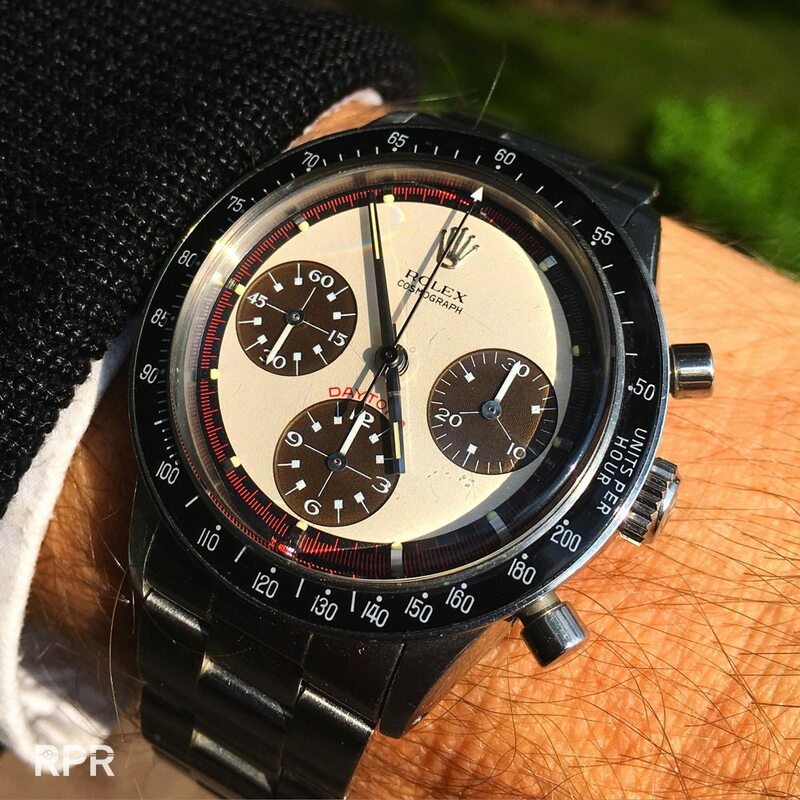 It’s a great pleasure to wear and off course there always something more rare but in your daily life nobody really cares between the 2 white lines or 2 red lines. 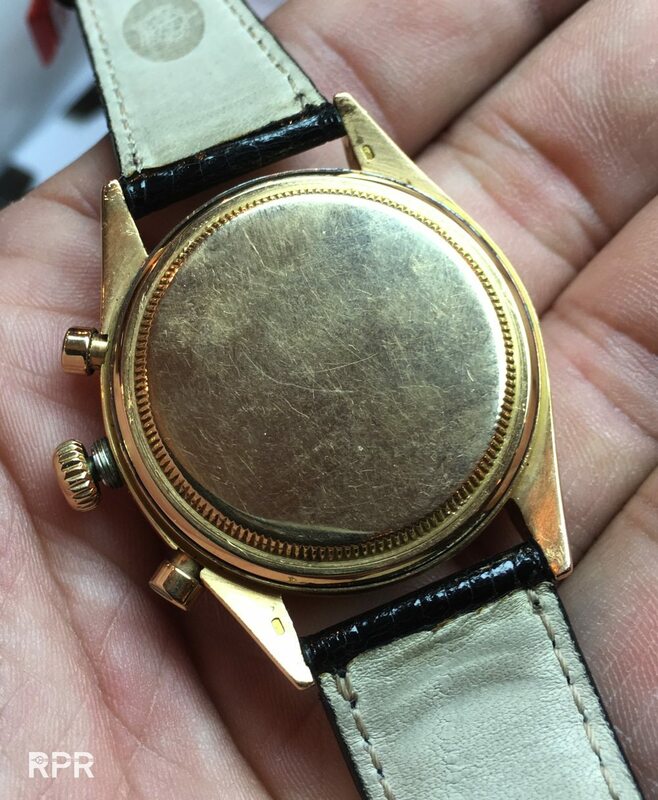 People who notice will just tell you, you’re wearing a cool vintage watch! 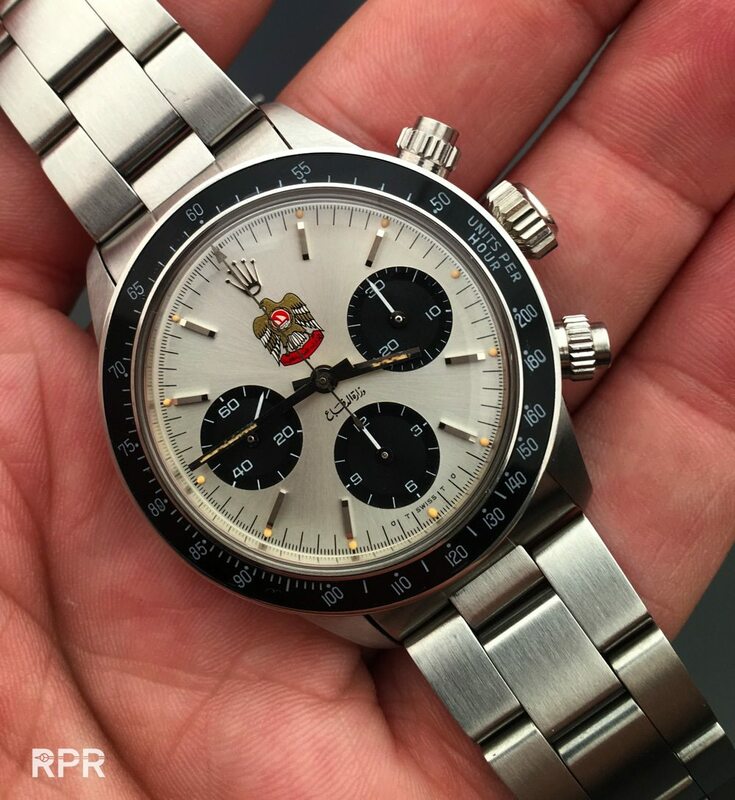 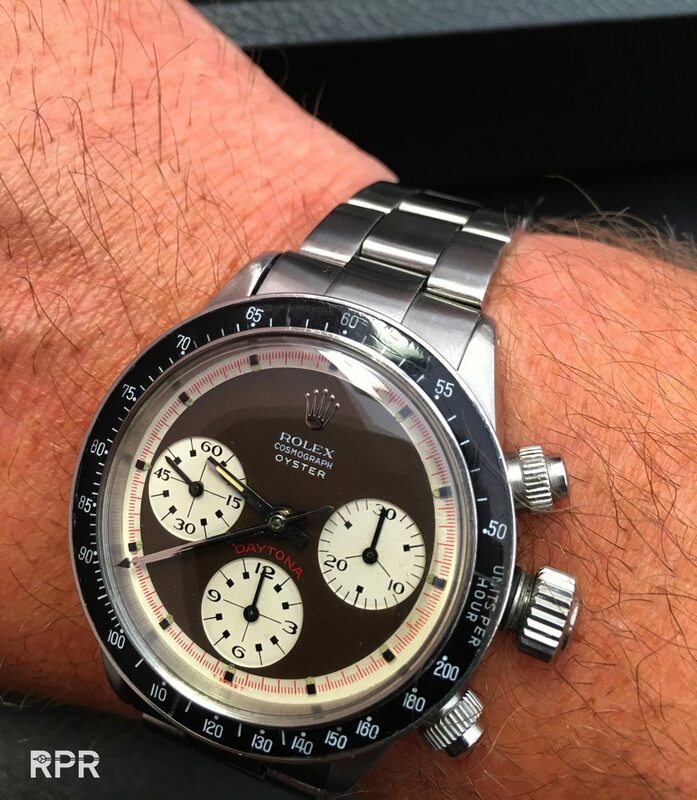 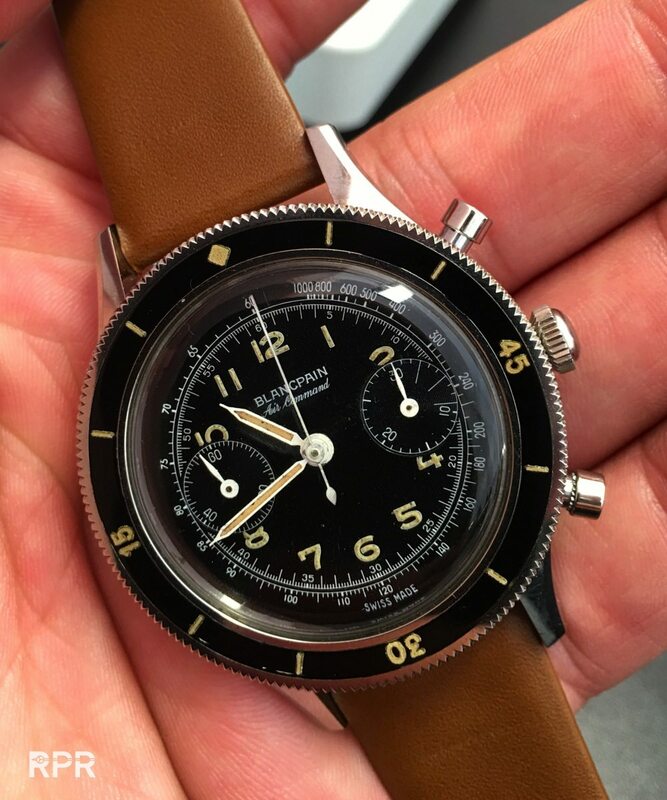 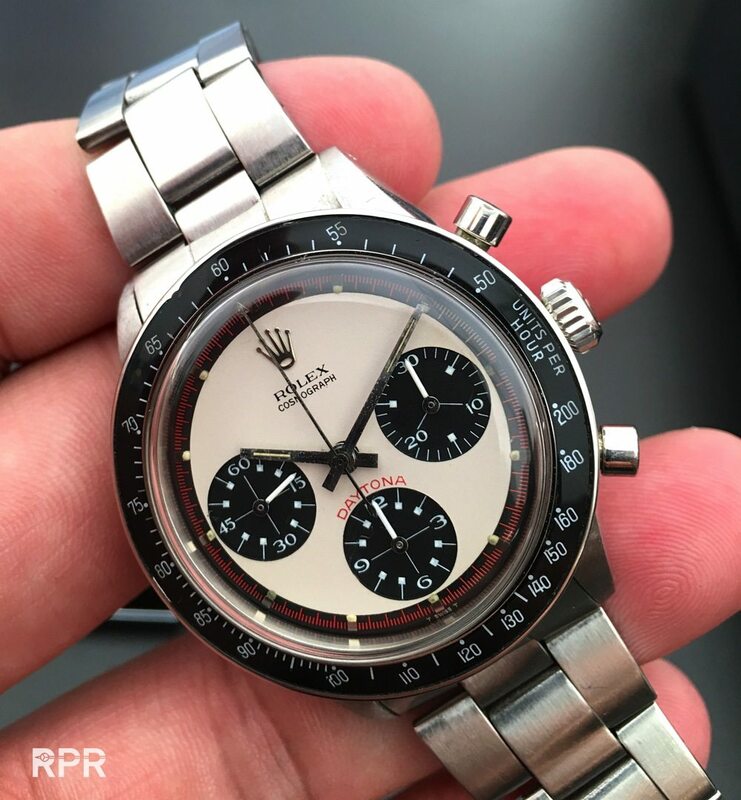 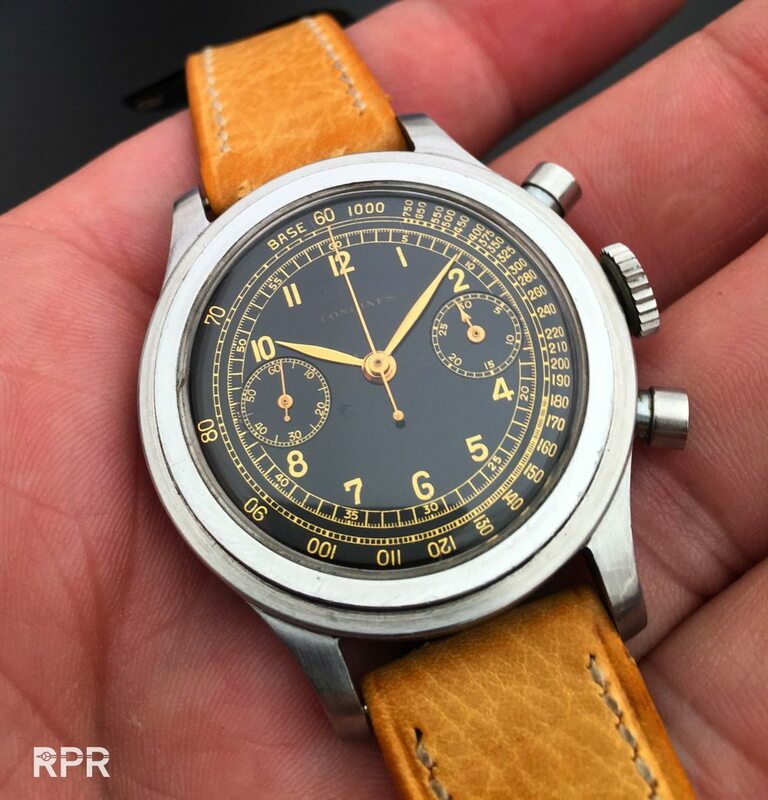 Off course is a rare Newman or Big Crown a must have but with reaching prices easily of 150-200K for common models and almost 400K for a good regular Oyster Newman, they are rightly so called “grail watches”. 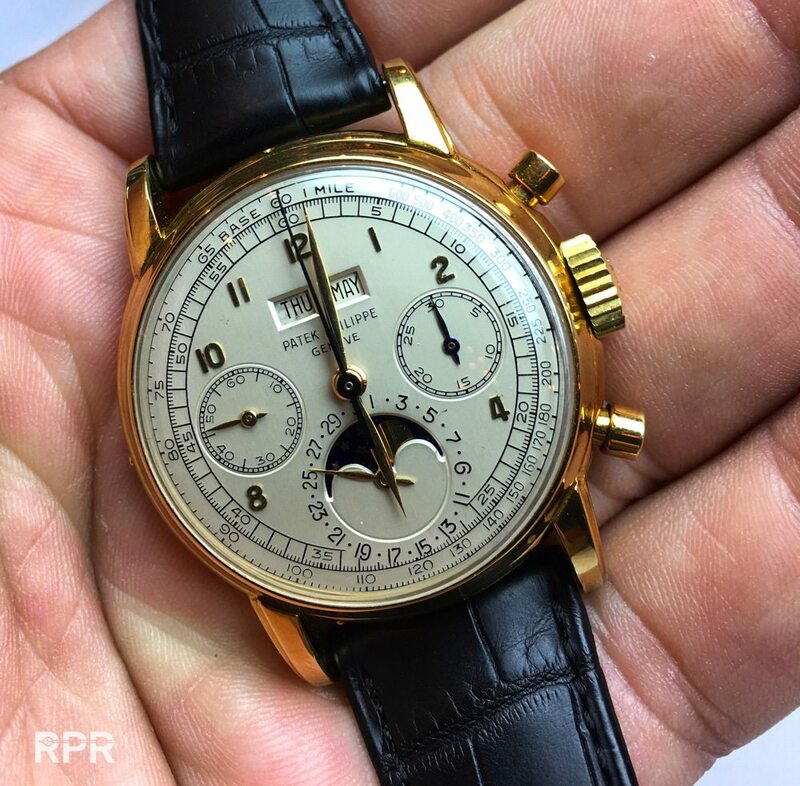 Then, the upcoming collector brands like Longines, Universal, Movado etc didn’t explode in price this time and honestly I think that’s a great sign for our market! 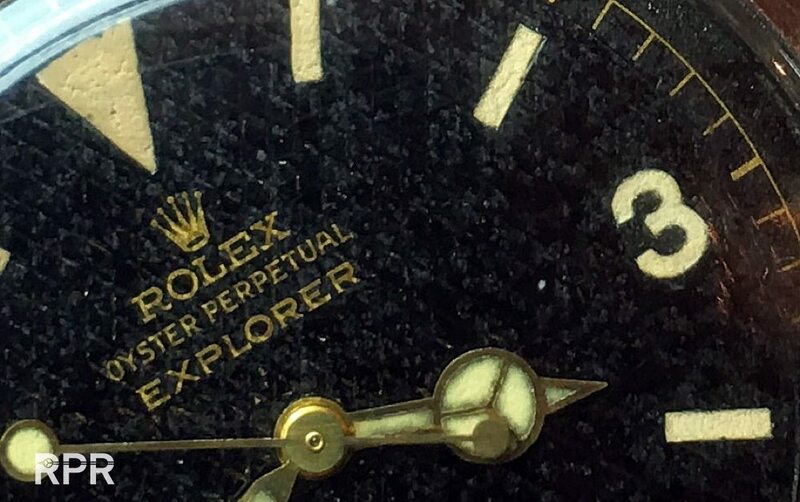 With some minor exceptions, generally the above mentioned brands are back on the ground with both feet and that’s great. 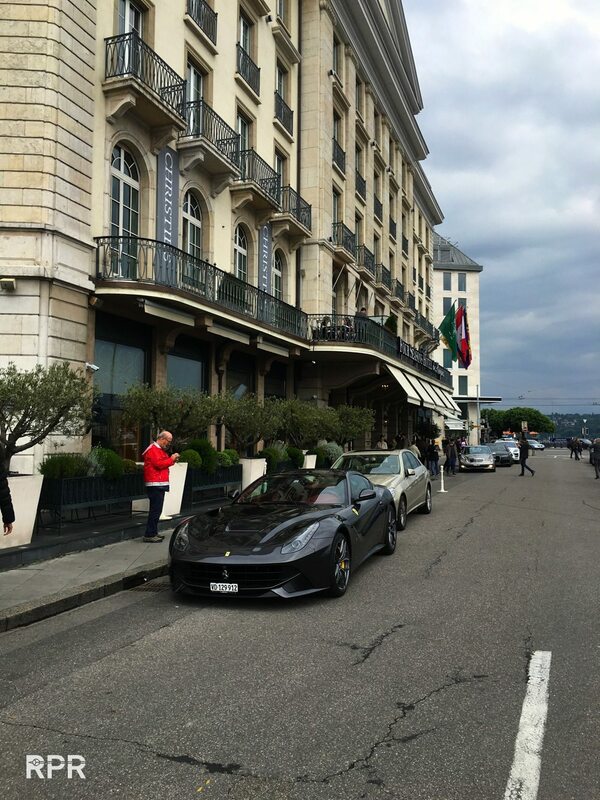 A further explosion of the already crazy prices could make a sign of a upcoming bubble. 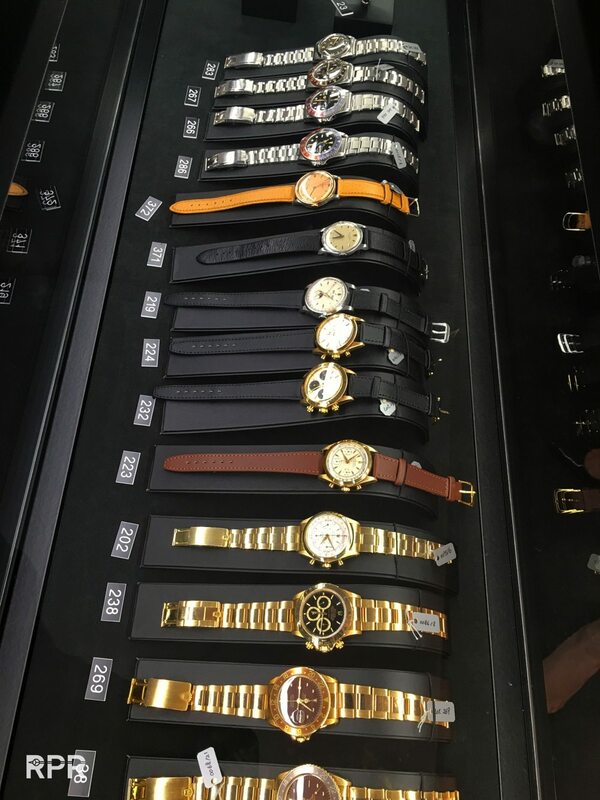 However it turned out that the prices became stable for this trend. 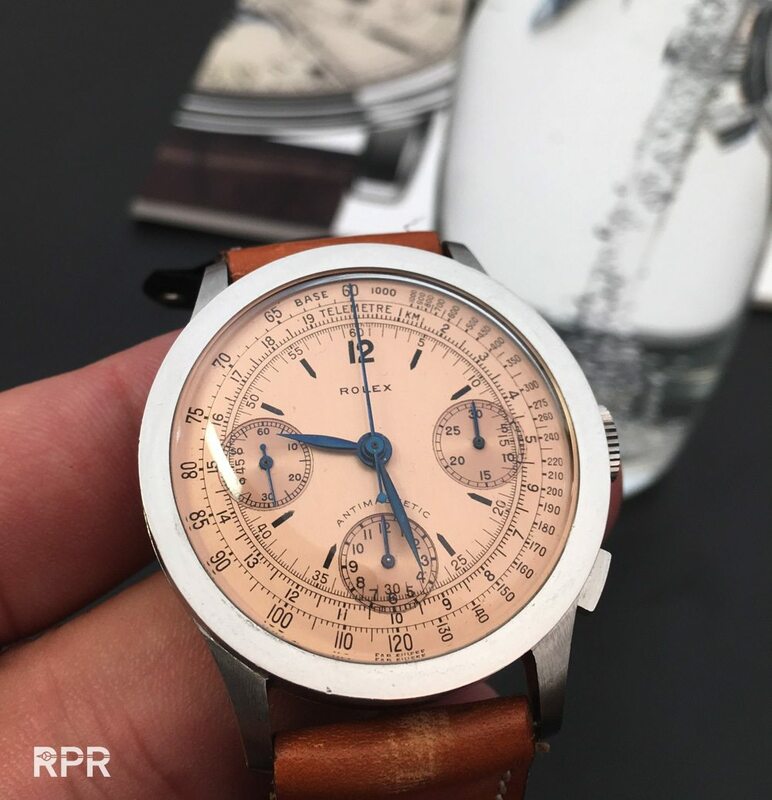 Not even Pucci’s Start Stop Reset sale changed this, those watches that where really exceptional, sold well above estimate, the rest was performing as predicted within the already steep estimated Aurel Bacs added to the show. 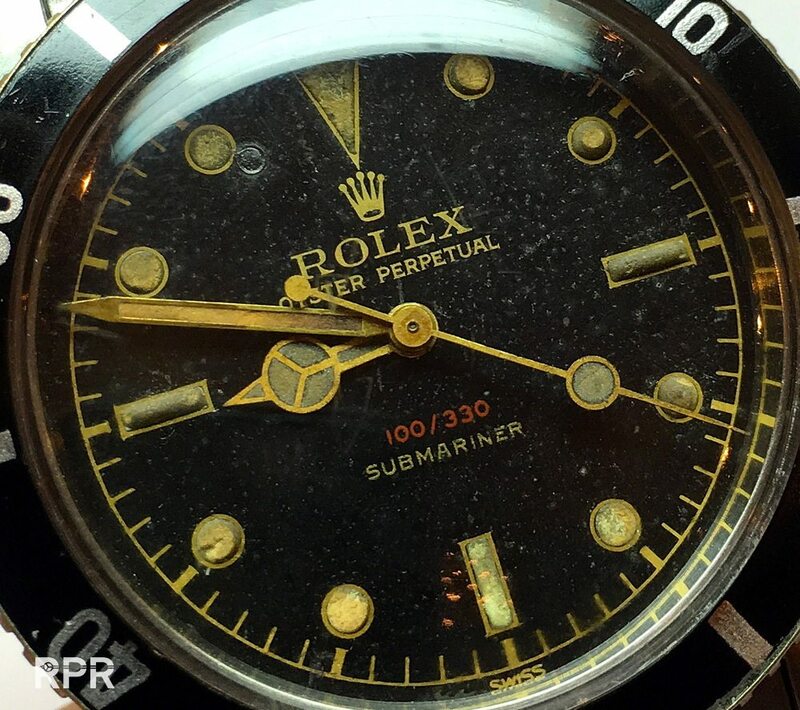 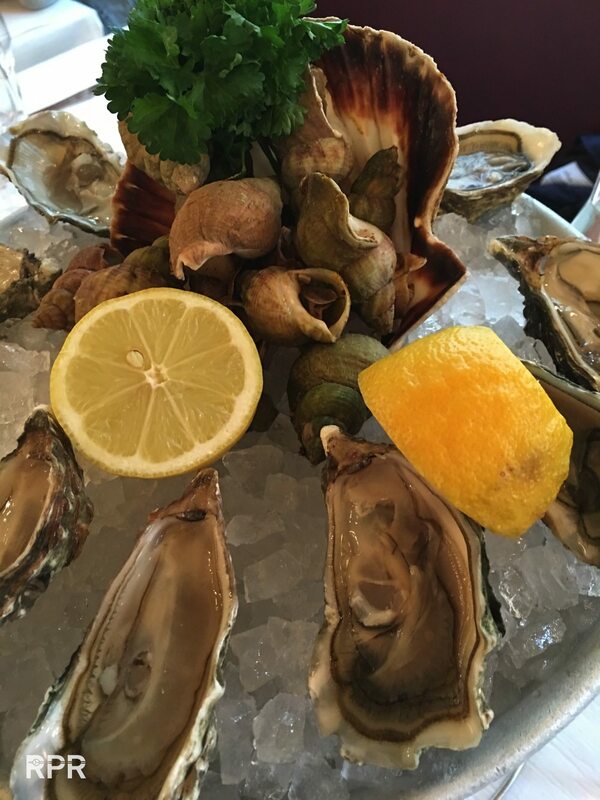 It takes time to get to a new price level as everybody involved need to except times have changed…. 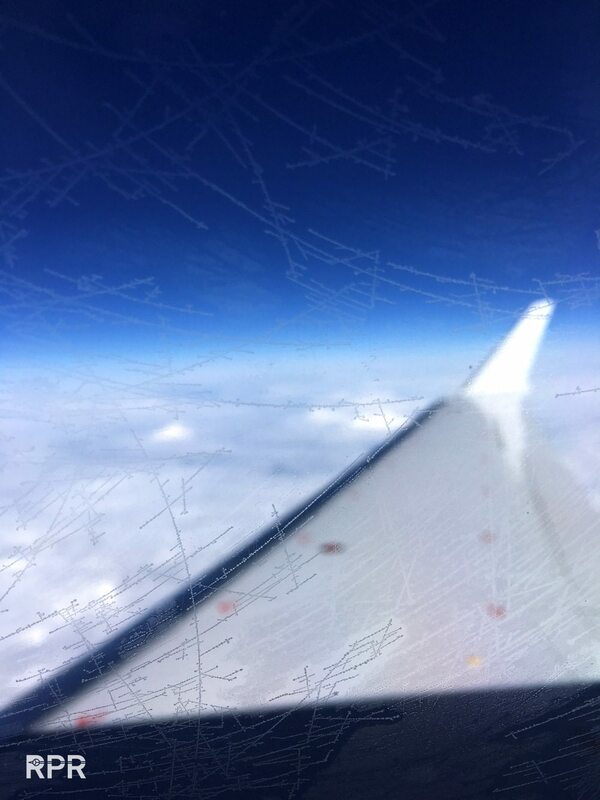 Enjoy some of my impressions I can share with you. 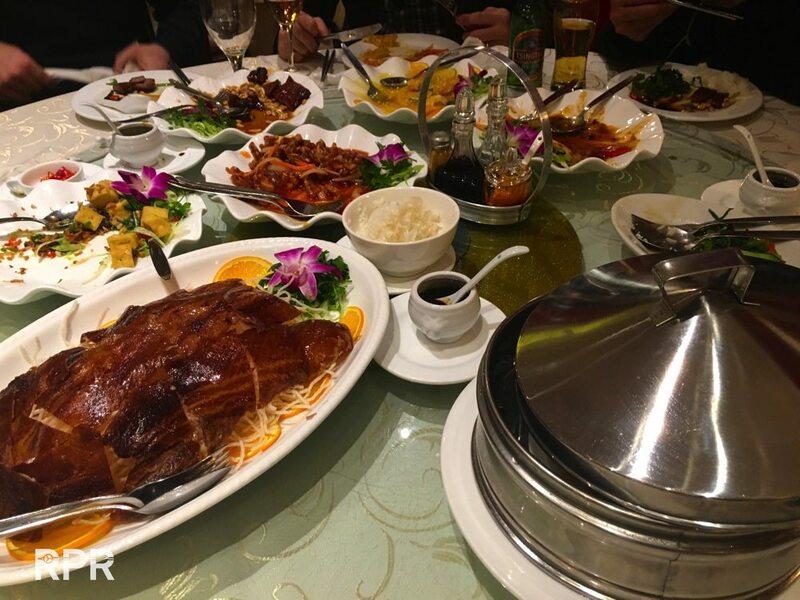 It was again great seeing so many cool guys, wish you all save trip back home! 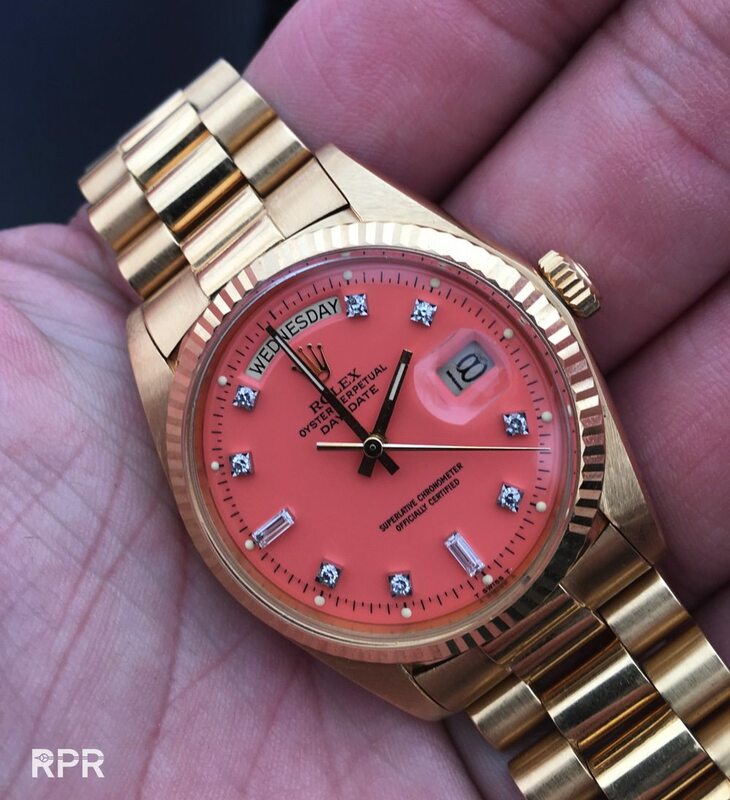 Lovely pink Ref 3330 getting hammered for what is deserves, a high price. 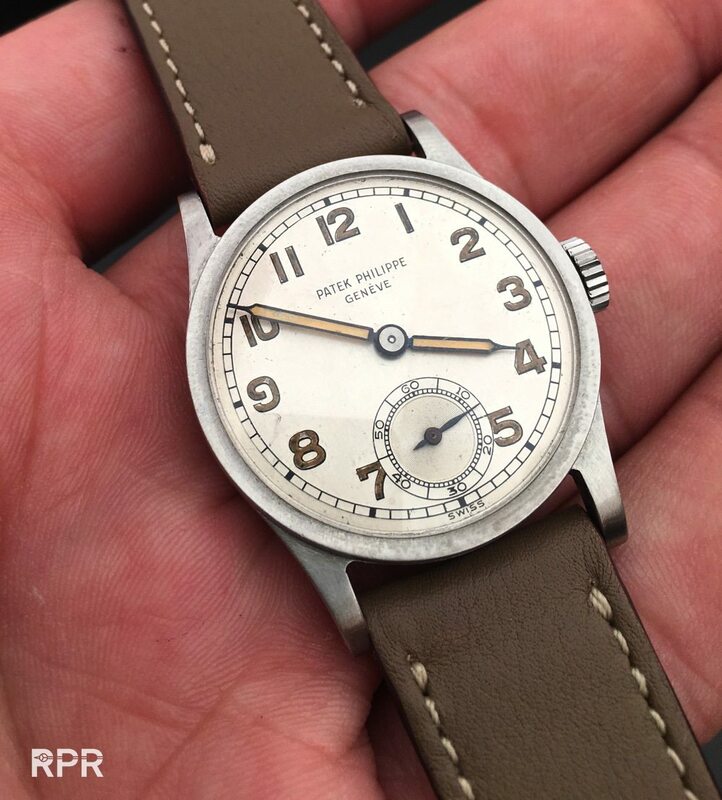 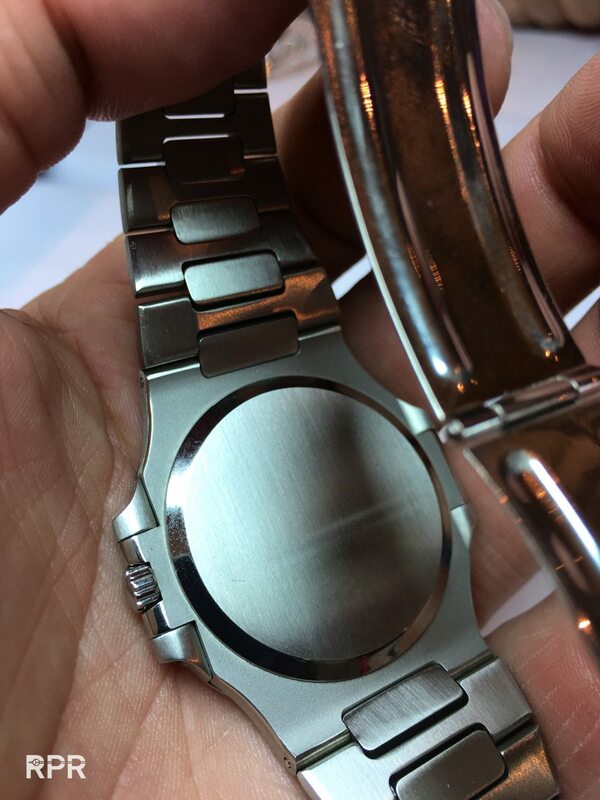 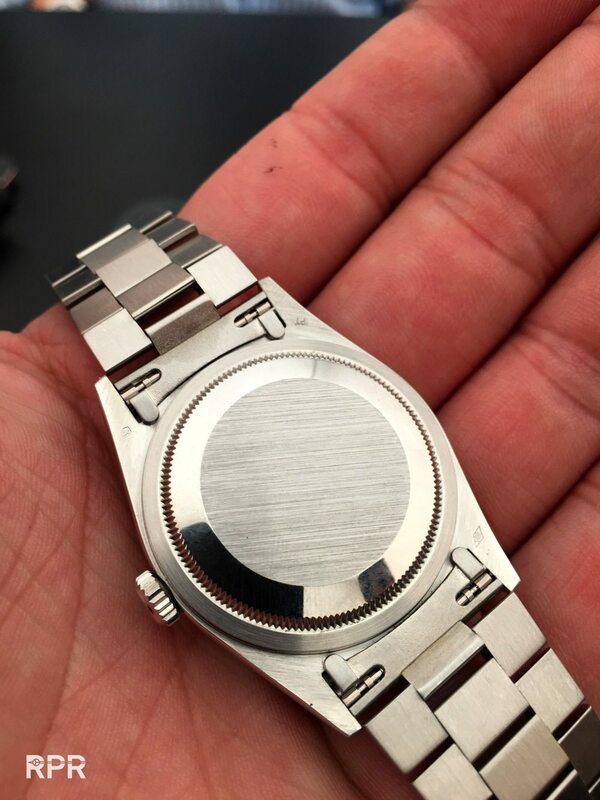 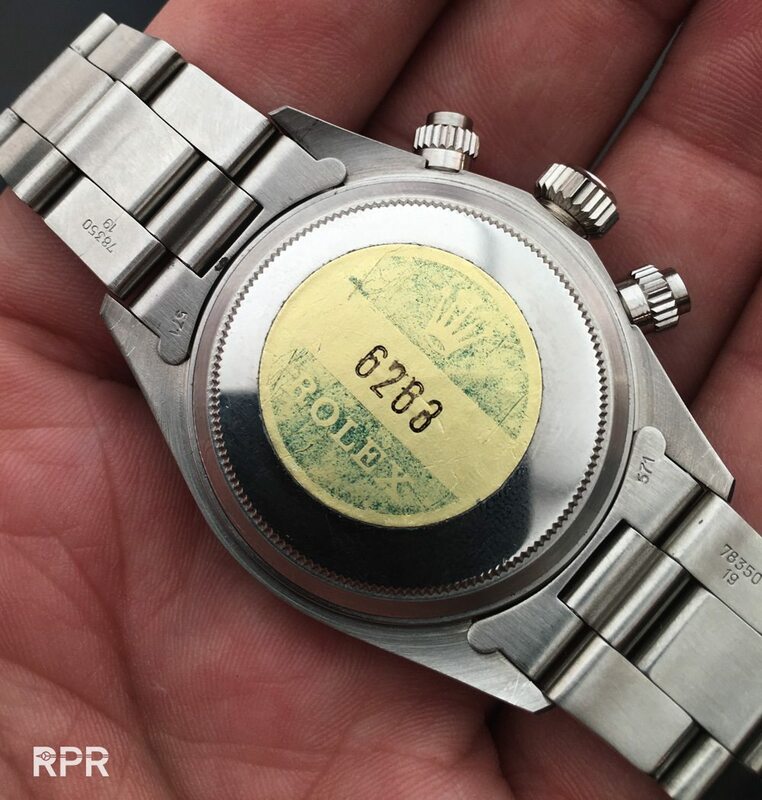 The steel ref 2508, which went crazy in price. 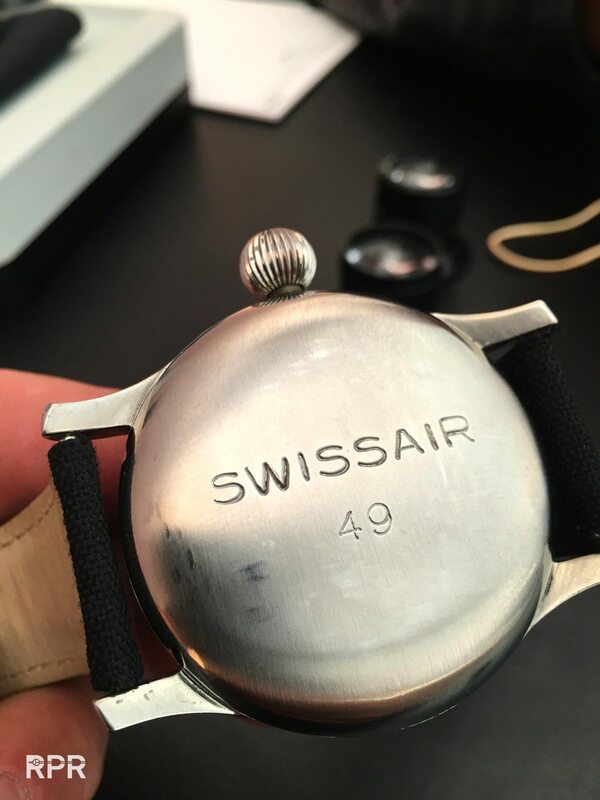 If you don’t know these are rare, you would say like maybe 50-60K is already mad but instead it fetched CHF 413.000,= !! 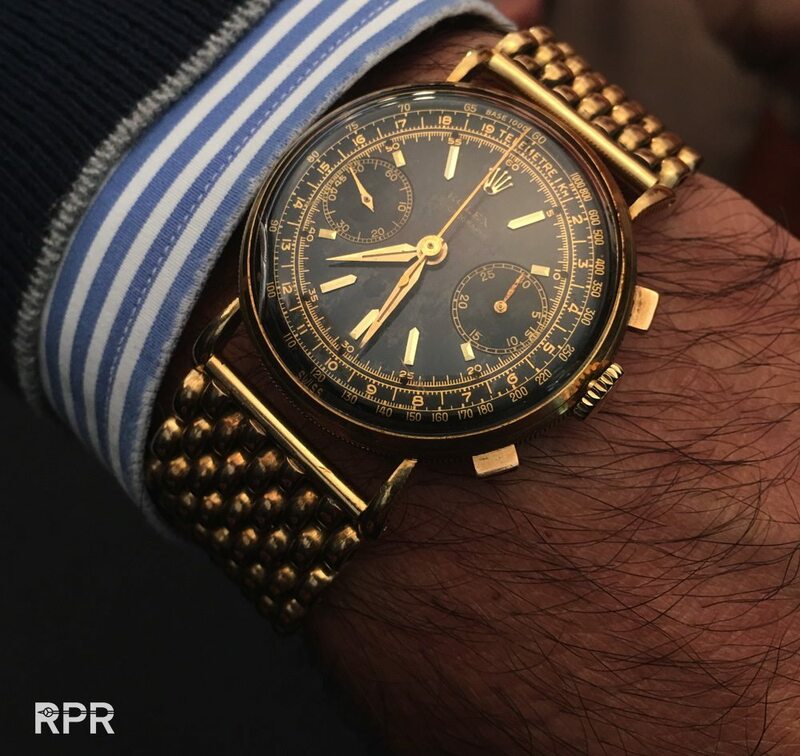 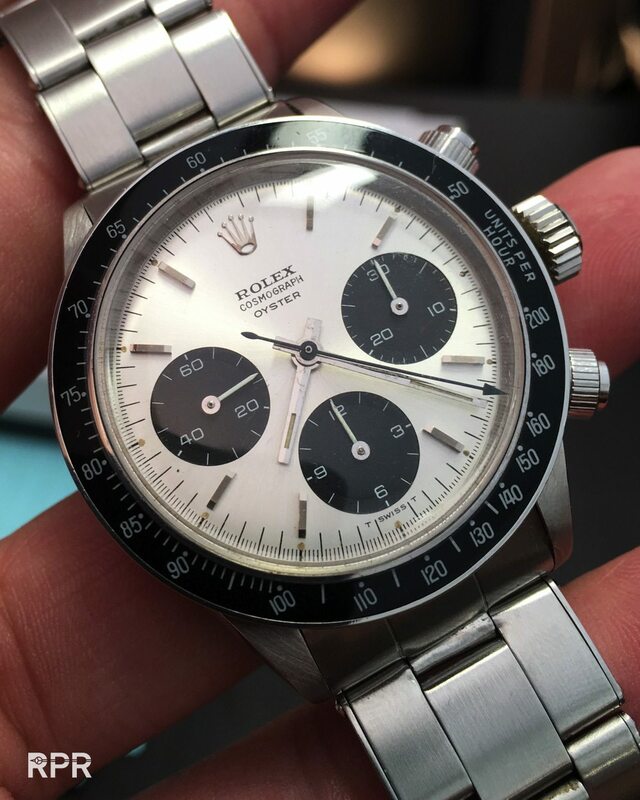 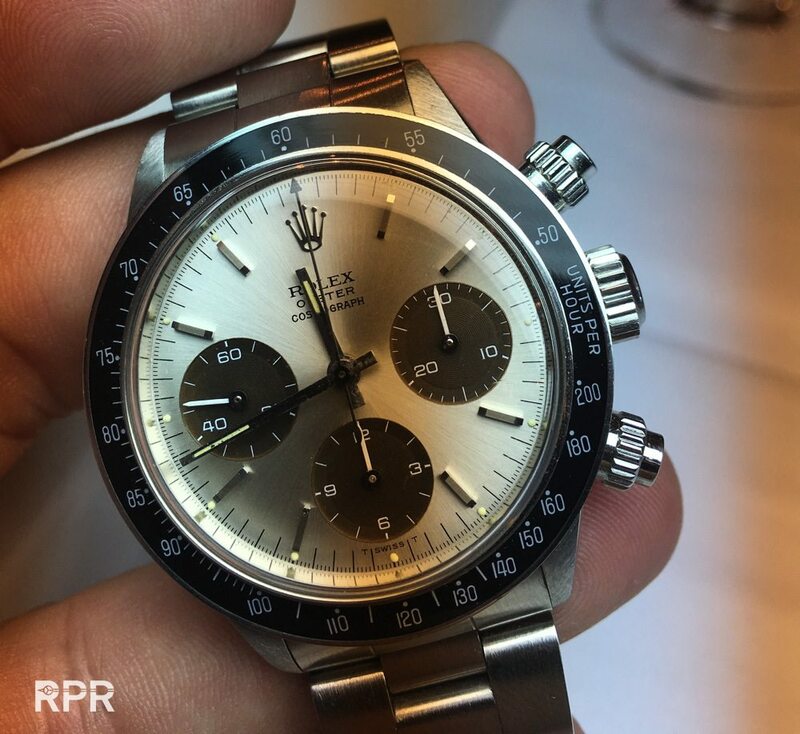 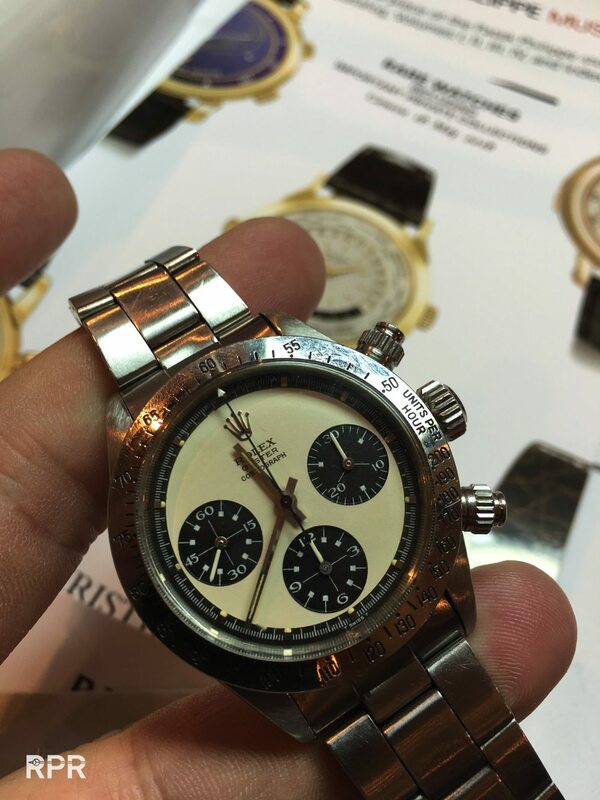 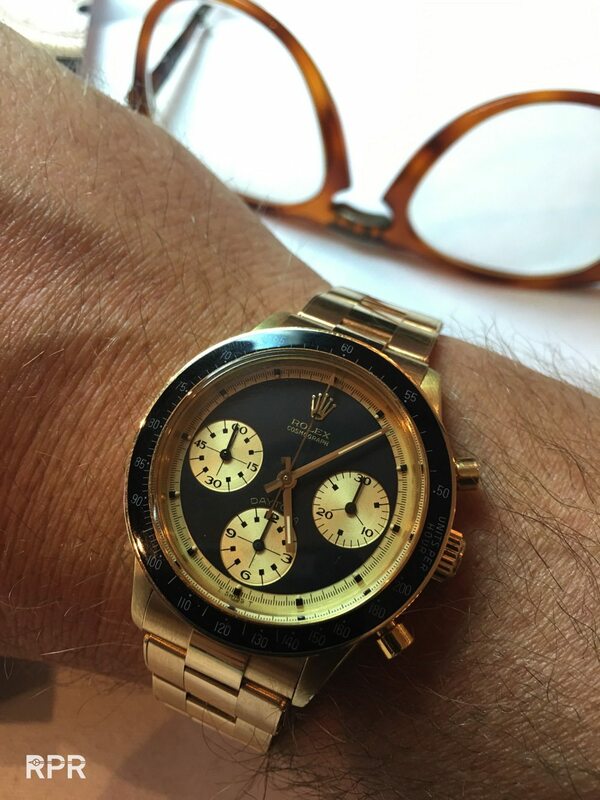 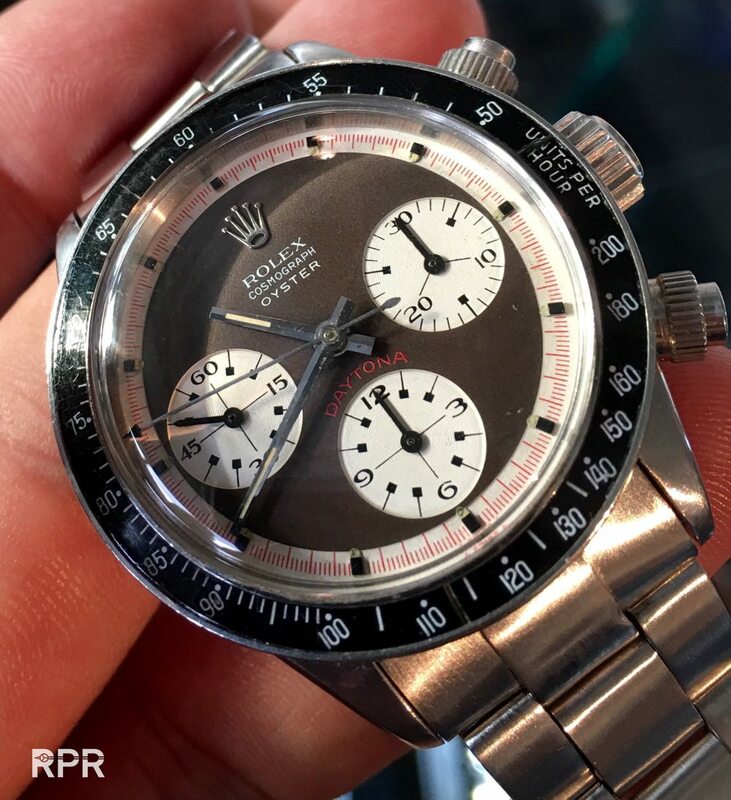 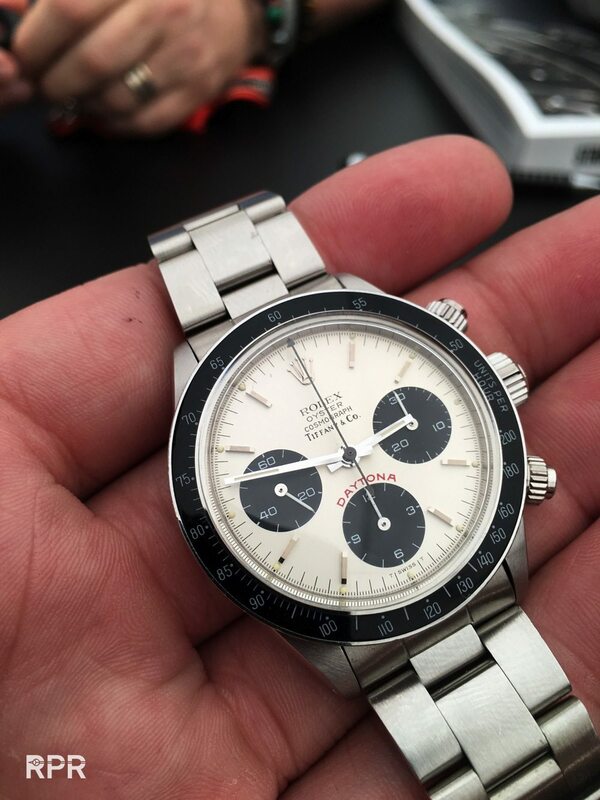 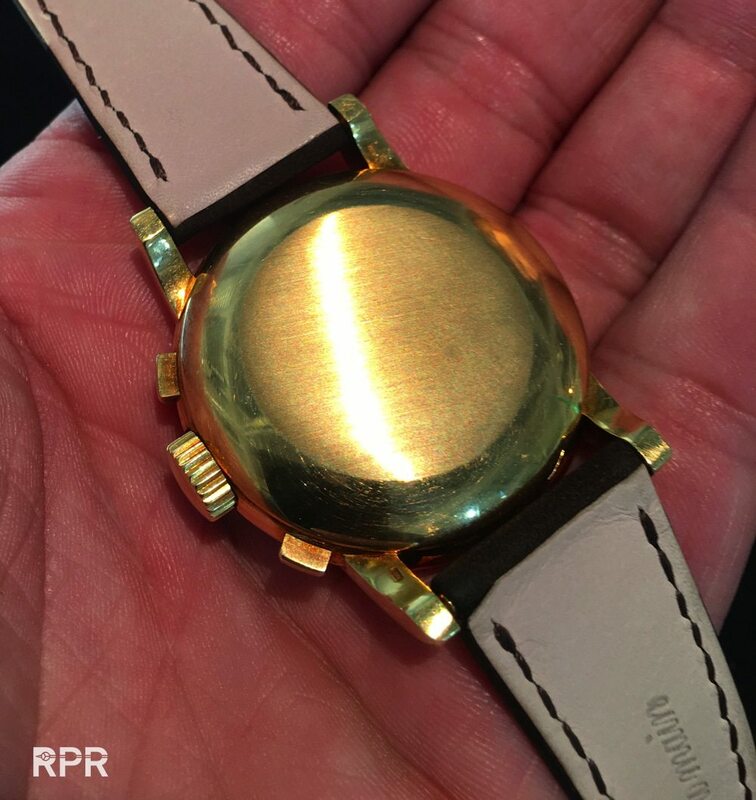 Paul Maudsley’s Rolex pump Daytona…what a gentleman he is! 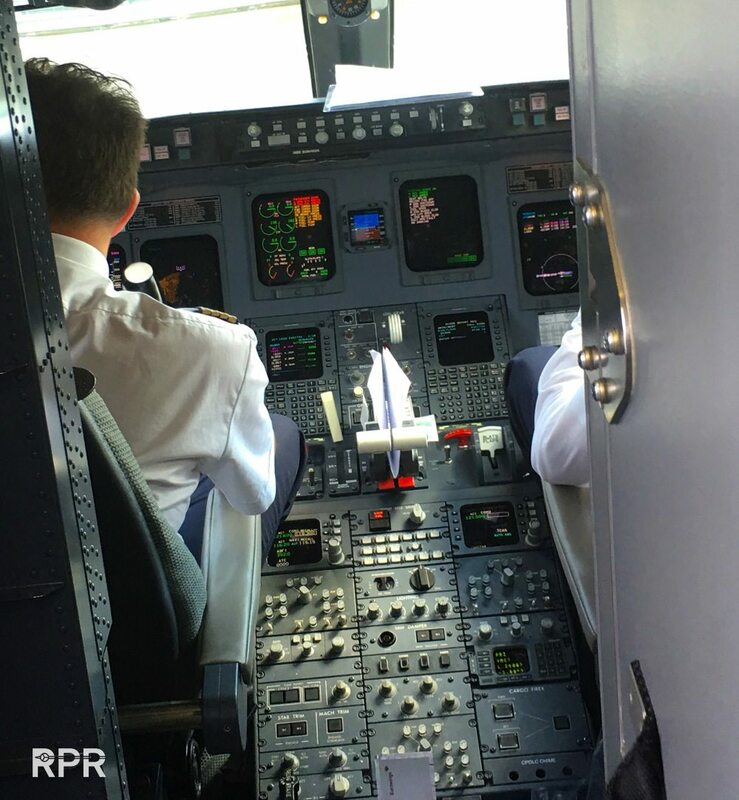 Up front everything seems to be perfect…. 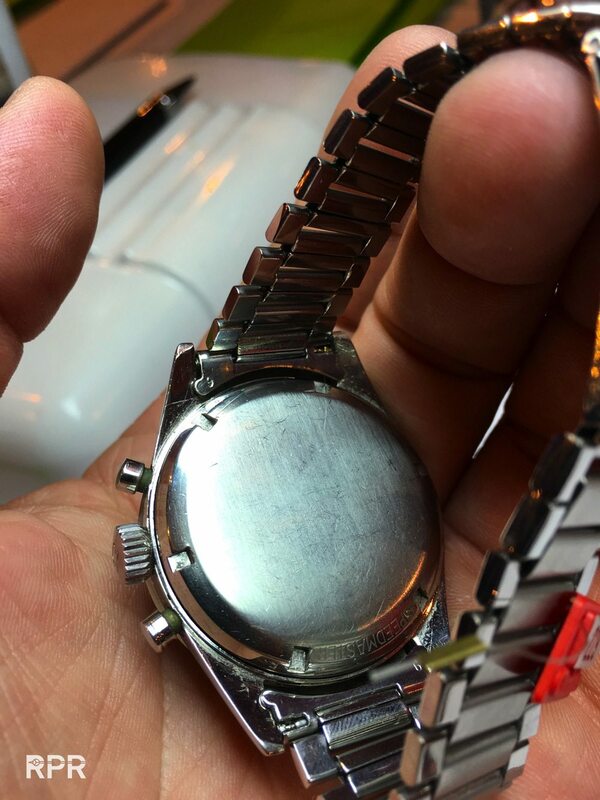 then when you turn it in the light, you notice a couple of stains. 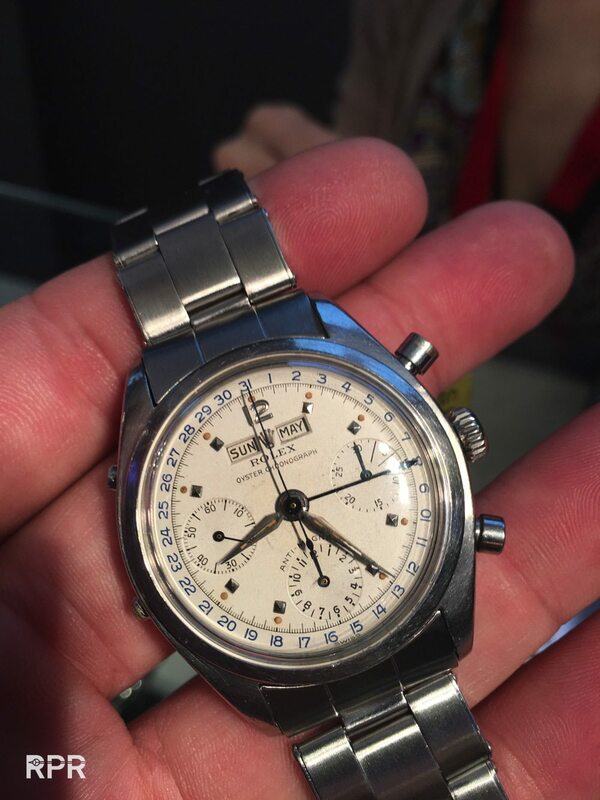 CHF197,000 still cheap IMHO! 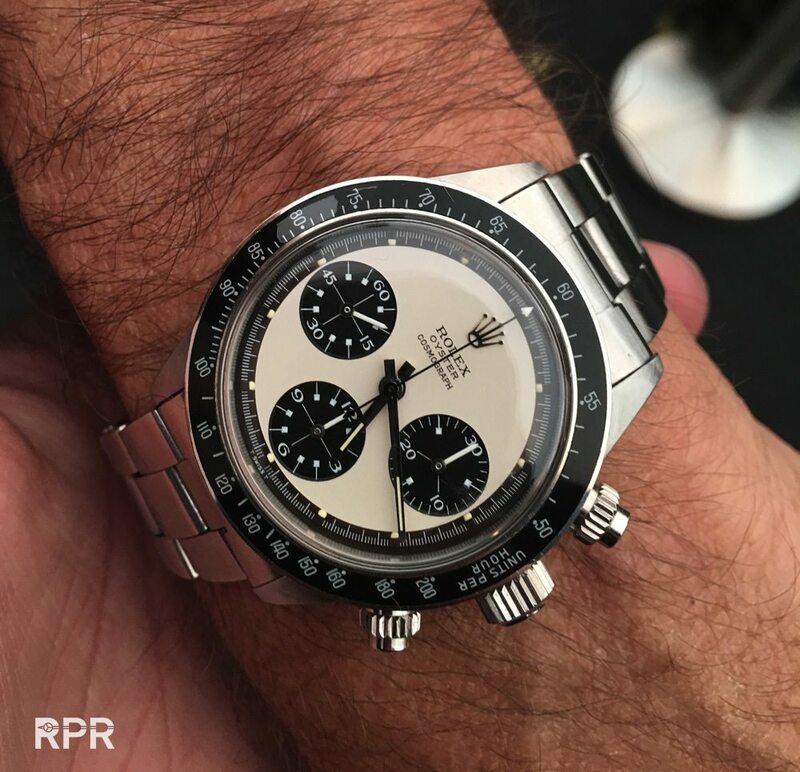 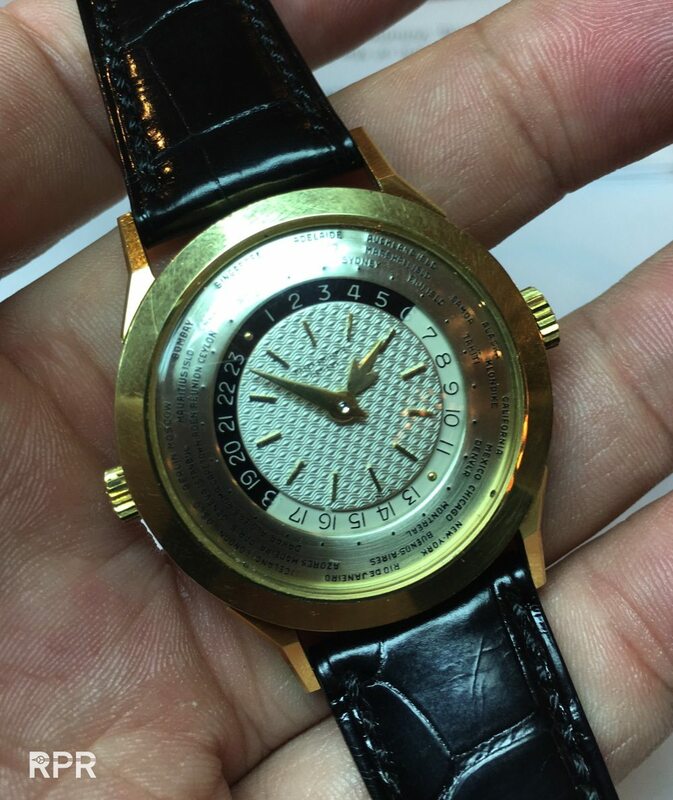 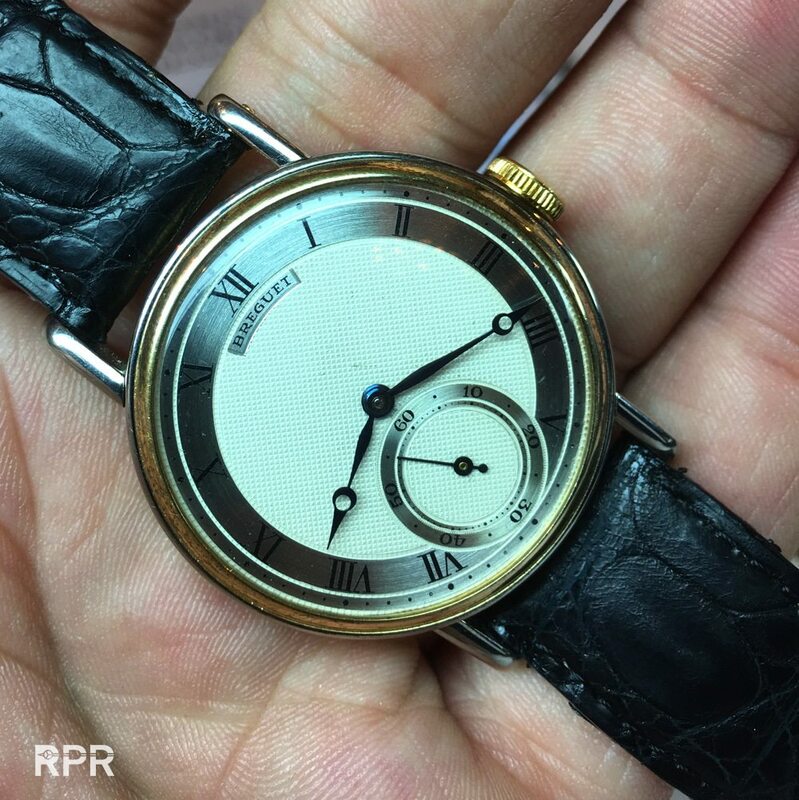 A good examples of what modern watch collecting is al about. 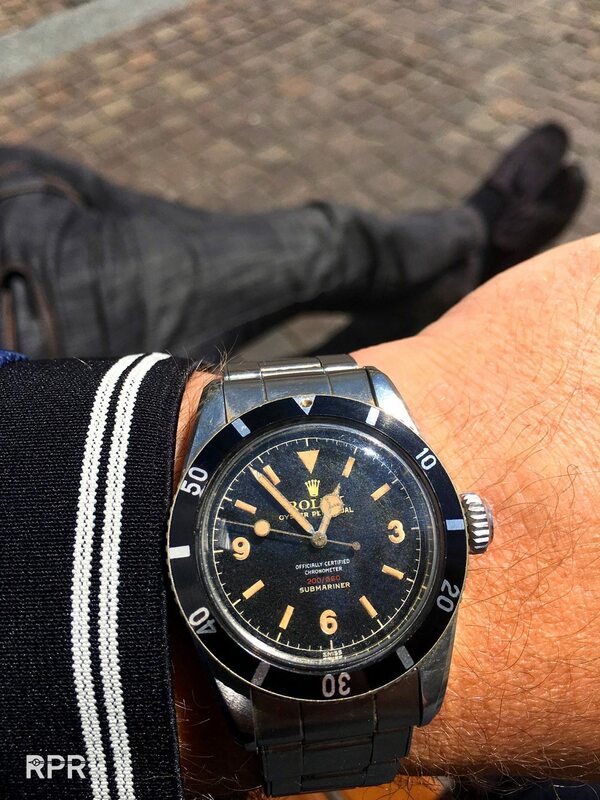 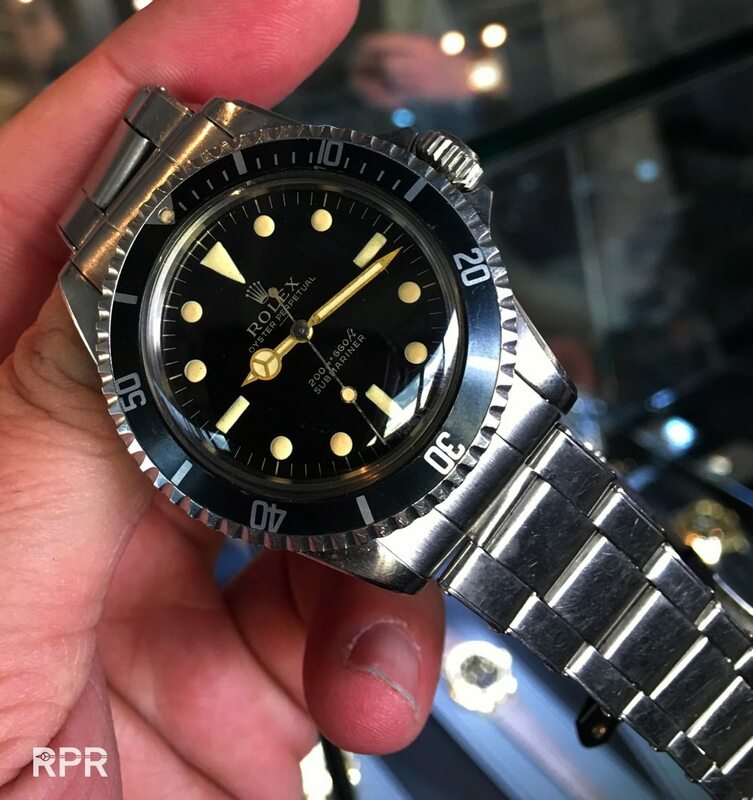 At first sight you see a “simple” but glossy gilt Submariner but when you have a closer look, you see a double swiss & underline ref 5512 in pristine condition. 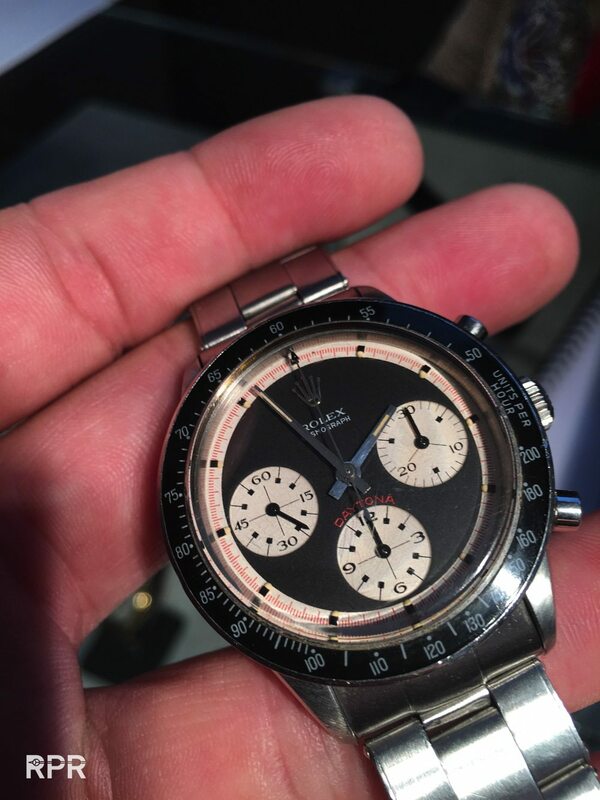 This is NOT a 20K sub but instead it fetched after a strong battle of dealers CHF137,000,= and went home to a great US collector, enjoy buddy! 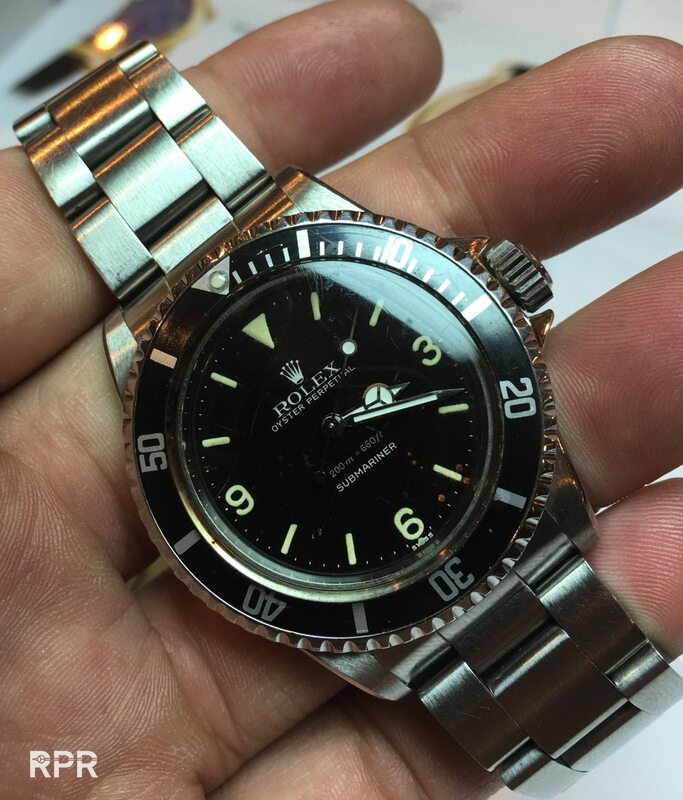 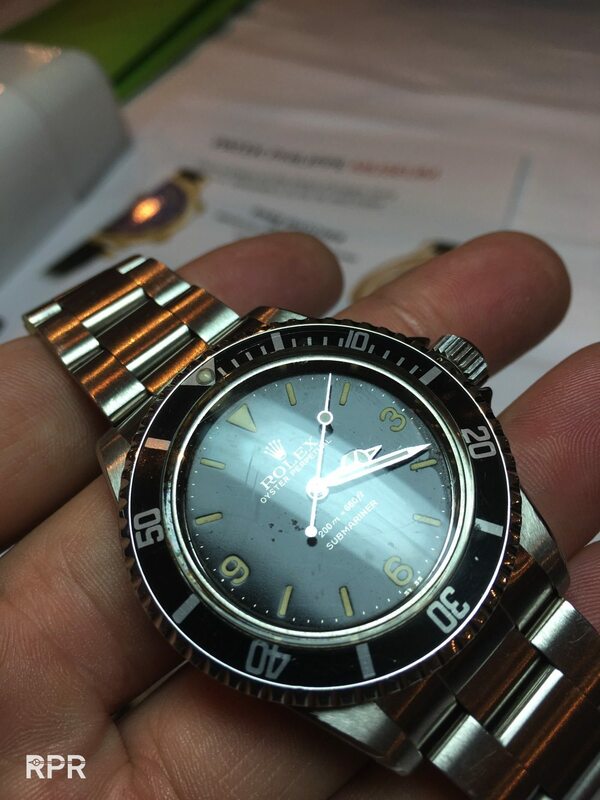 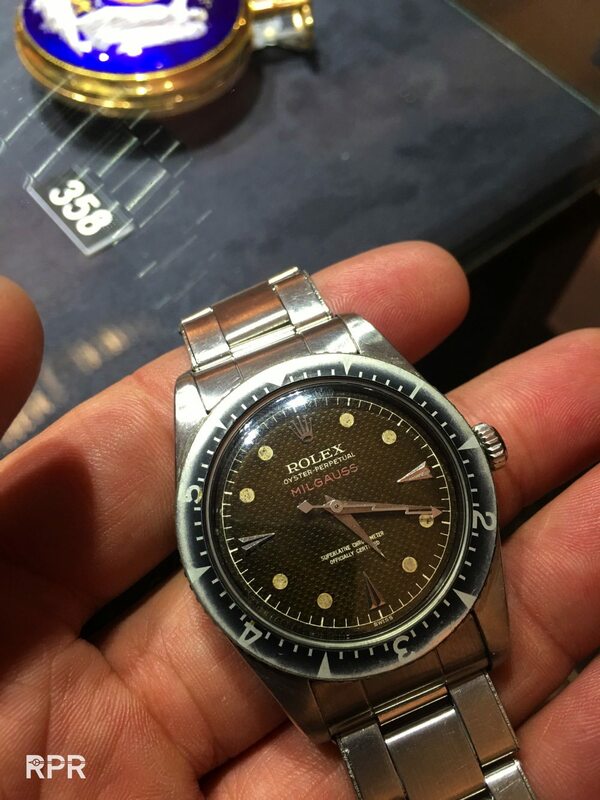 The Milgauss Ref 6541 looked very clean, specially the bezel insert, so what happened to it?.. 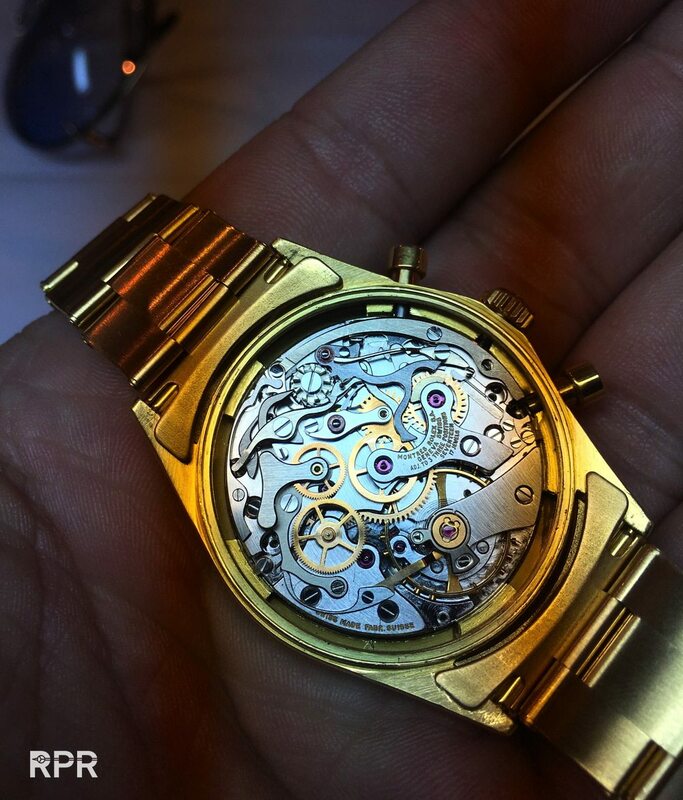 Close up from the movement. 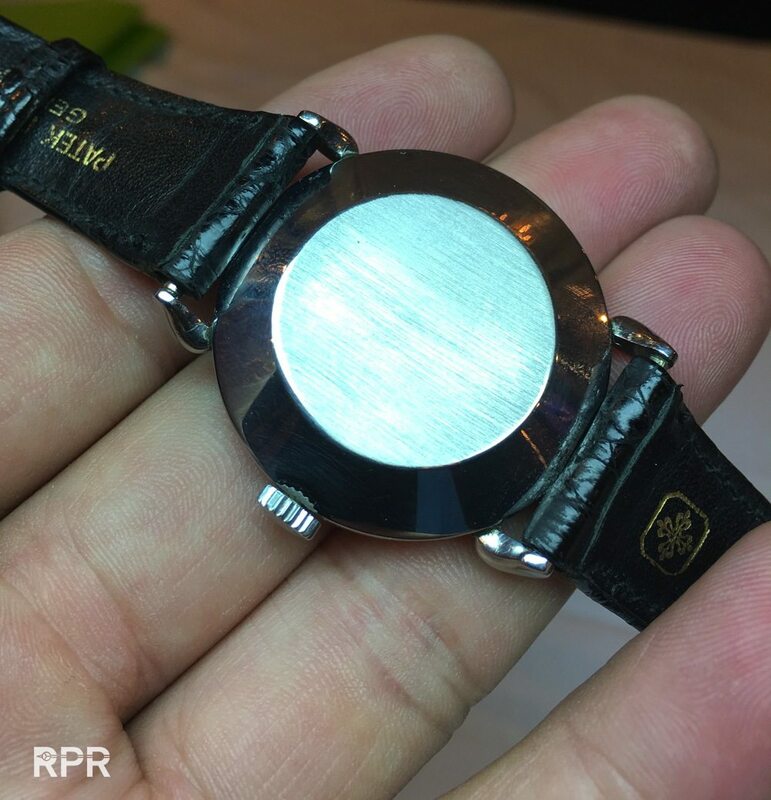 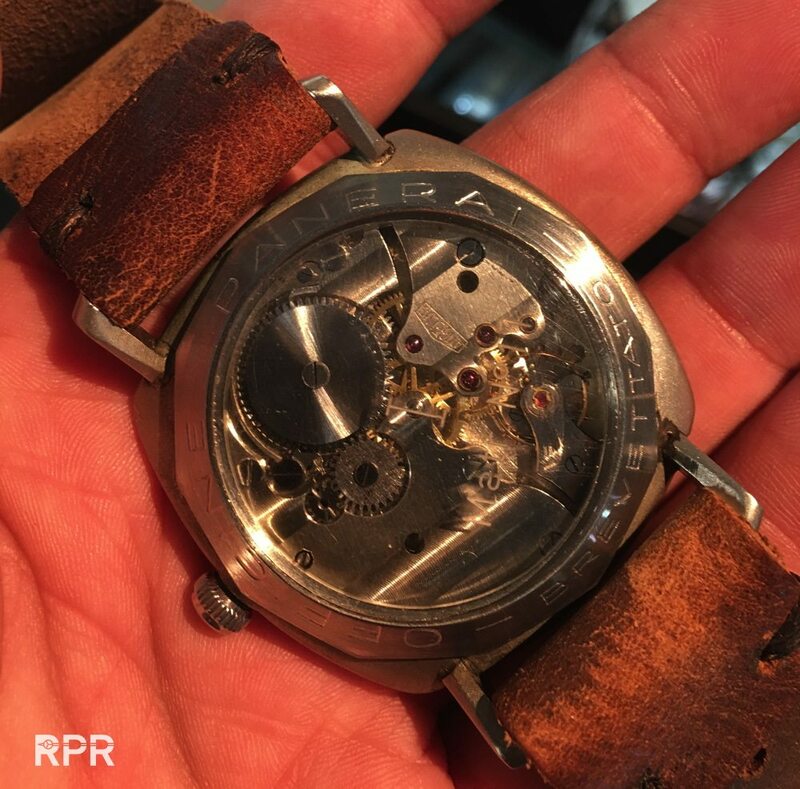 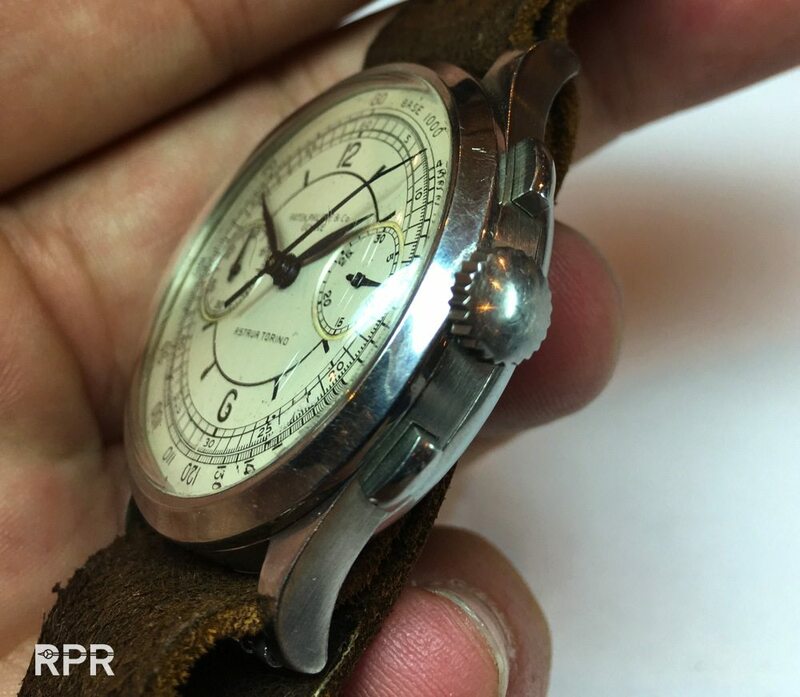 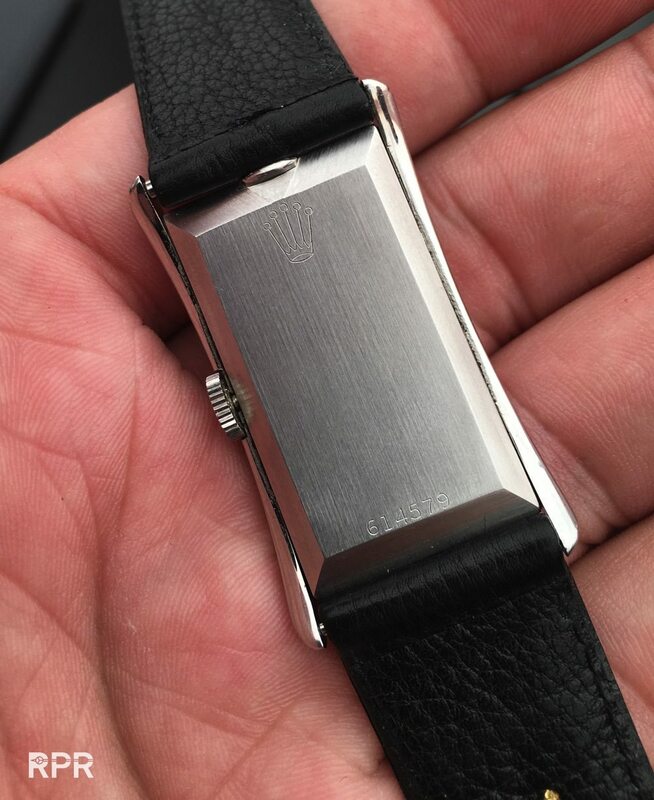 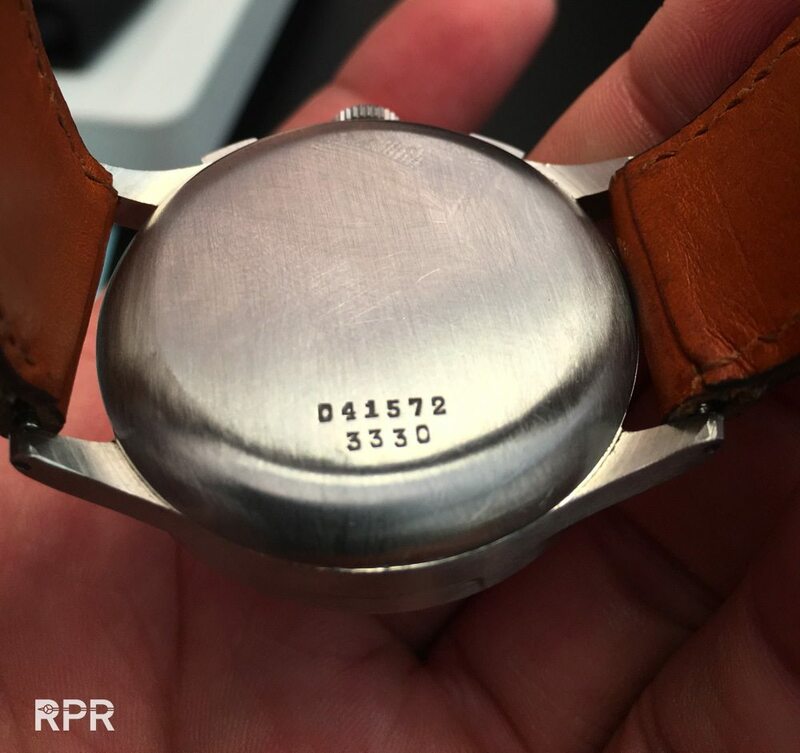 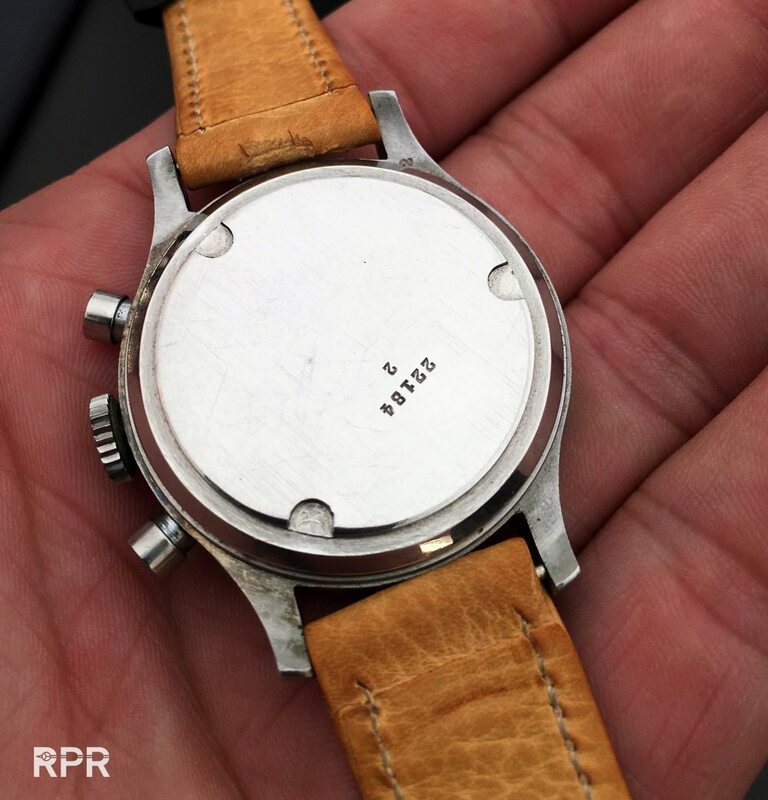 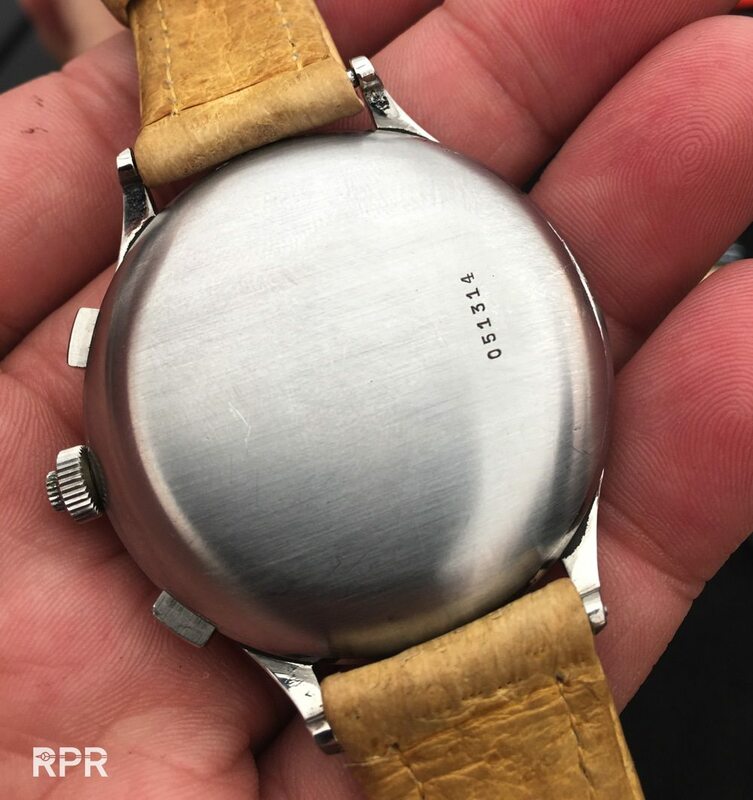 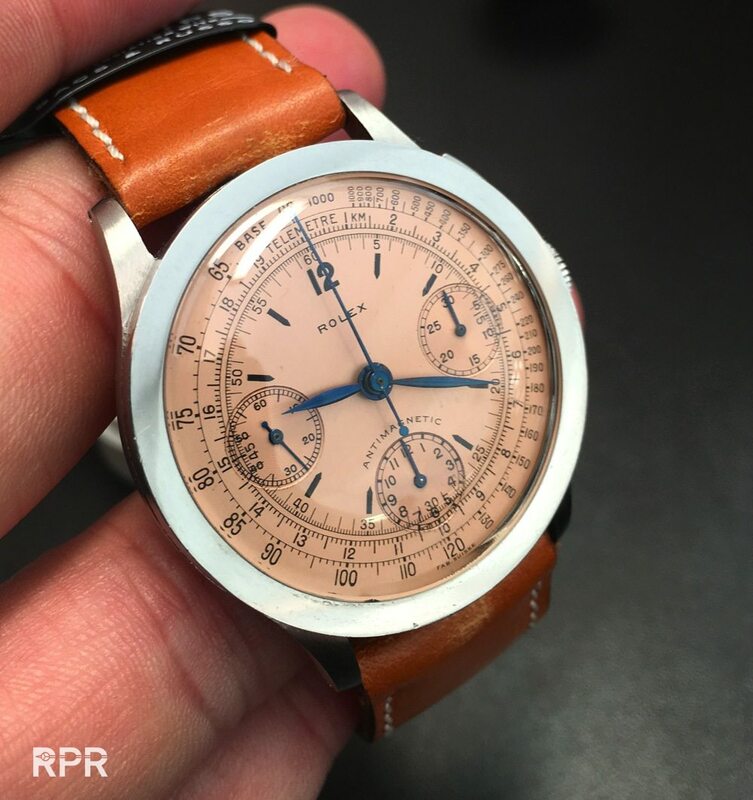 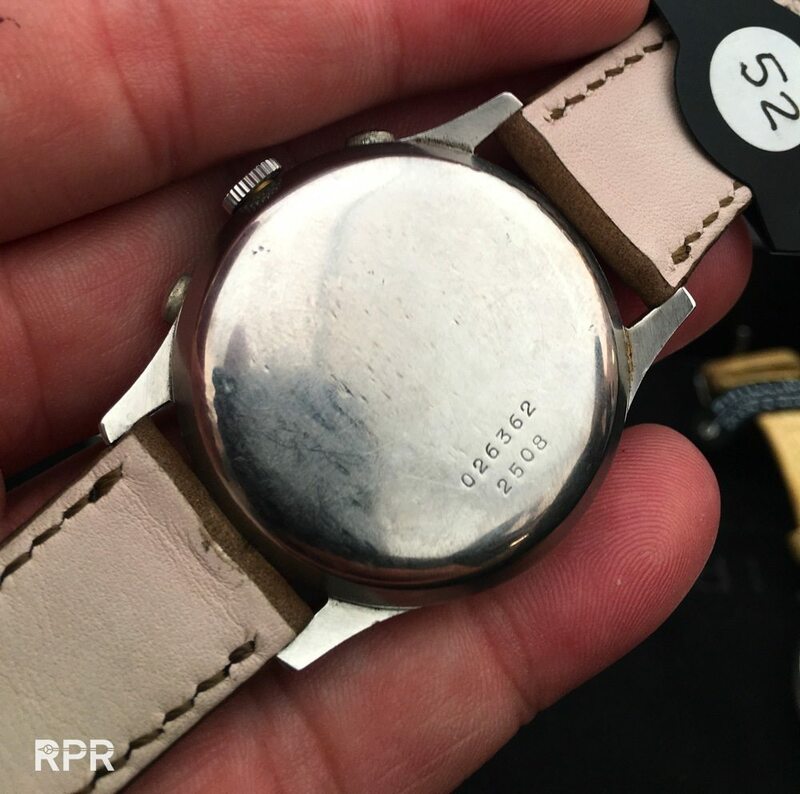 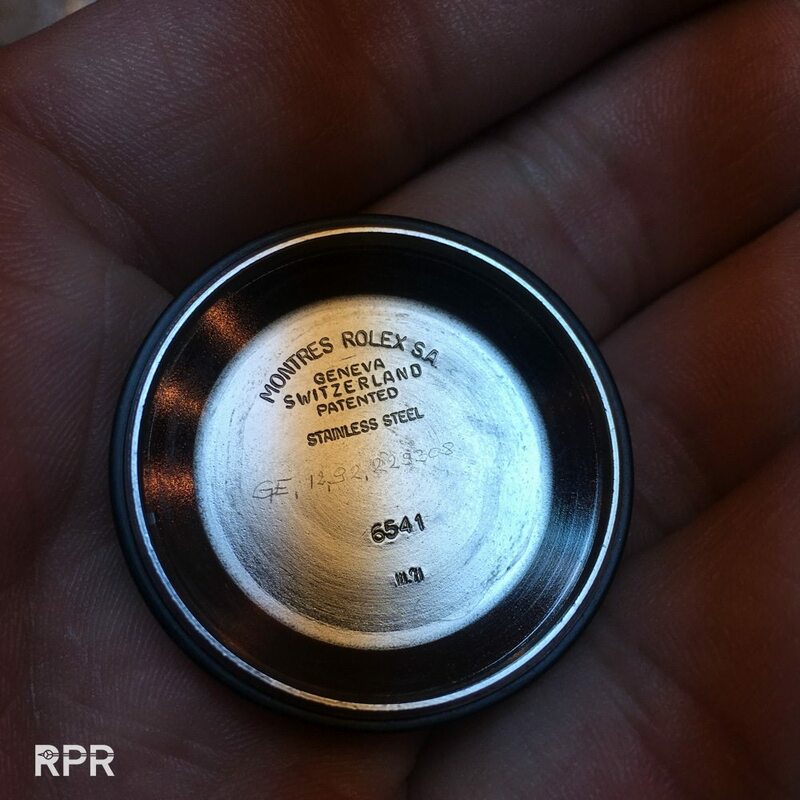 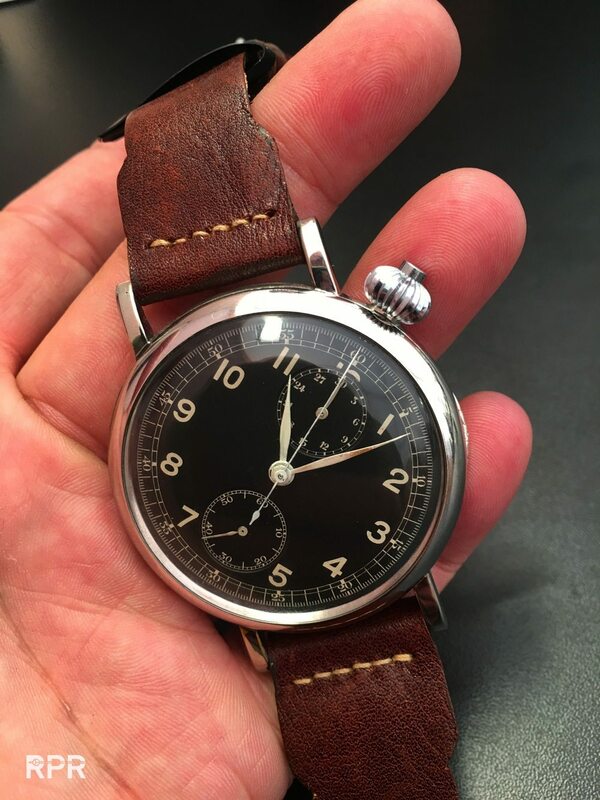 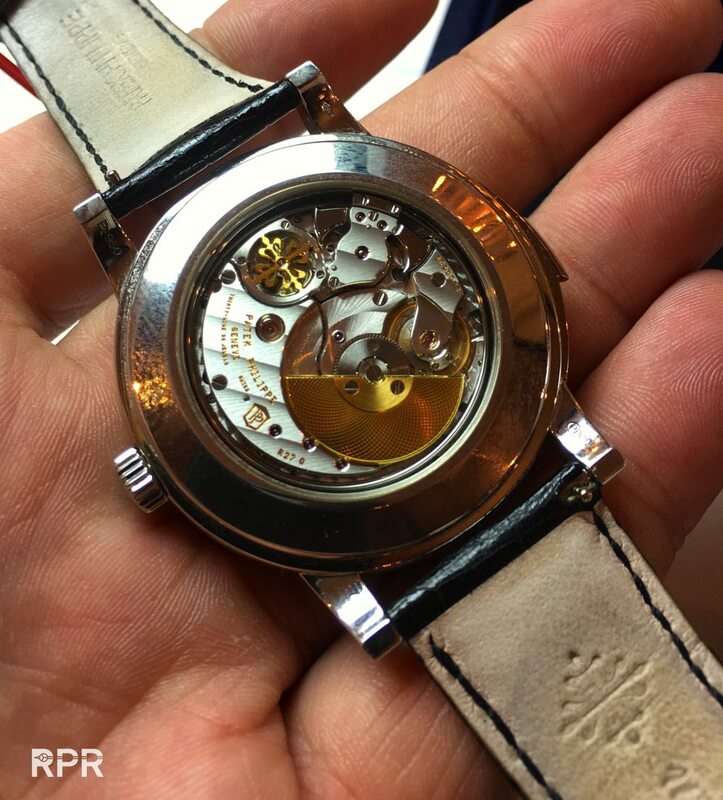 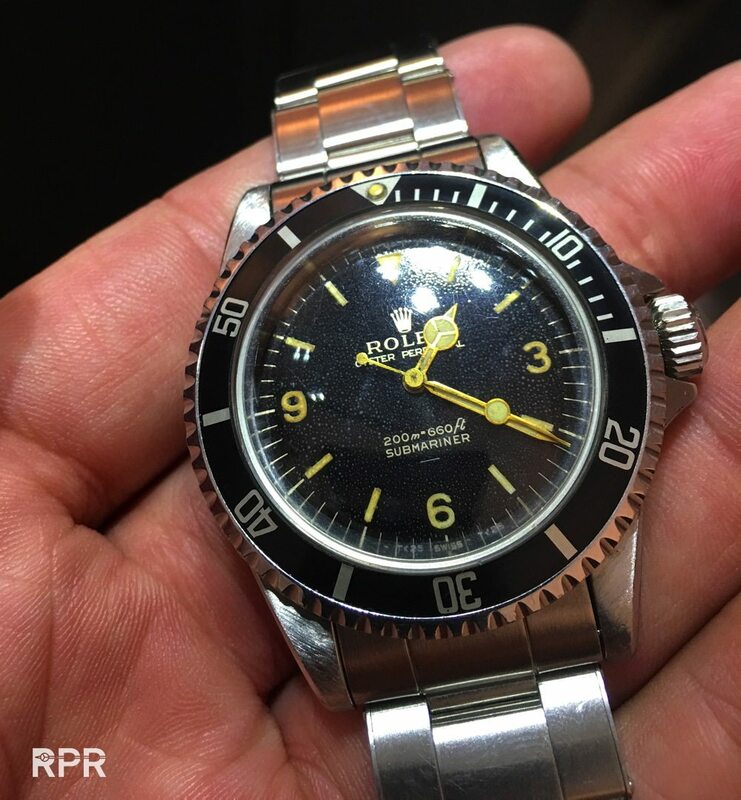 With the little M engraved below the caliber number 1065..
Mega rare and yet another steel from the auctions, the transitional Ref 3646 with numbered display case back..
Next, the real deal! 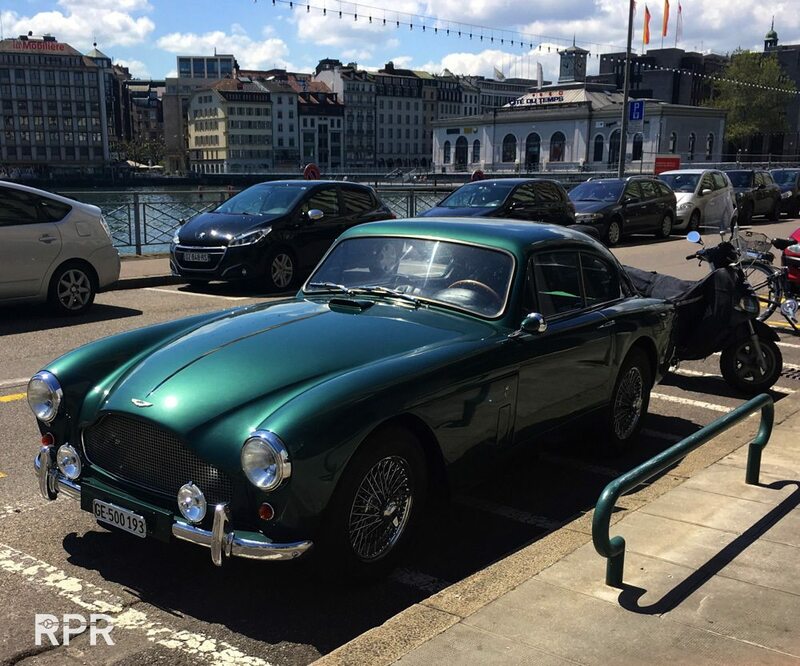 Marvelous, time only, black brequet dialed, big size PPC ref 530 SOLD FOR CHF1,445,000,= !! 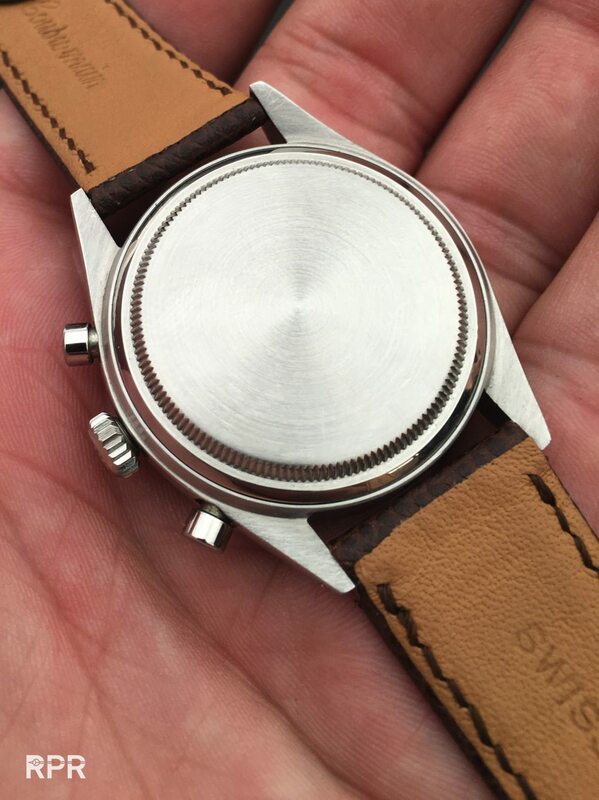 In the catalogue and also in your hands it looks ok…. 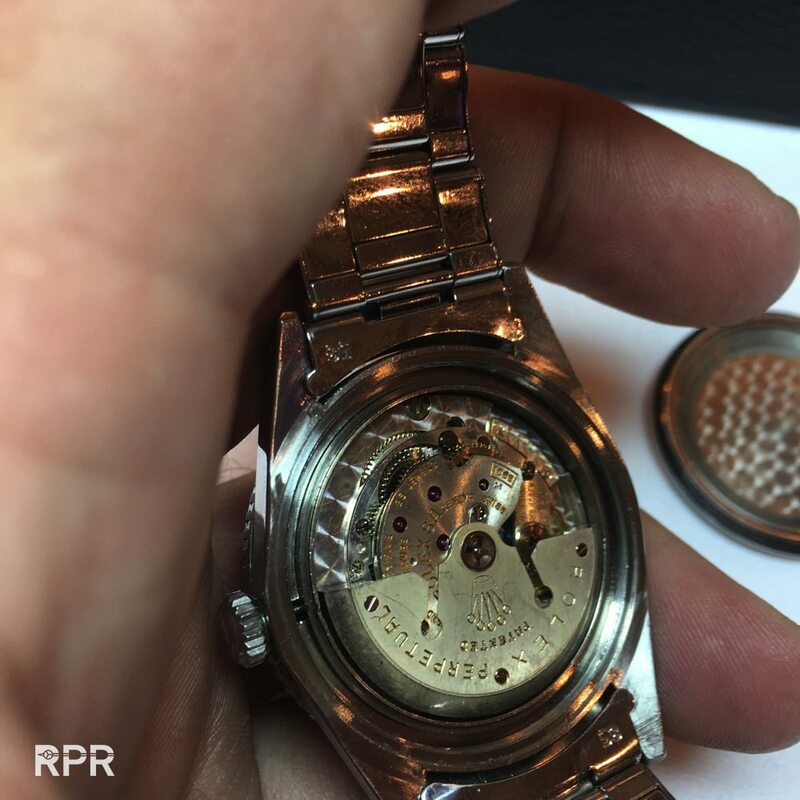 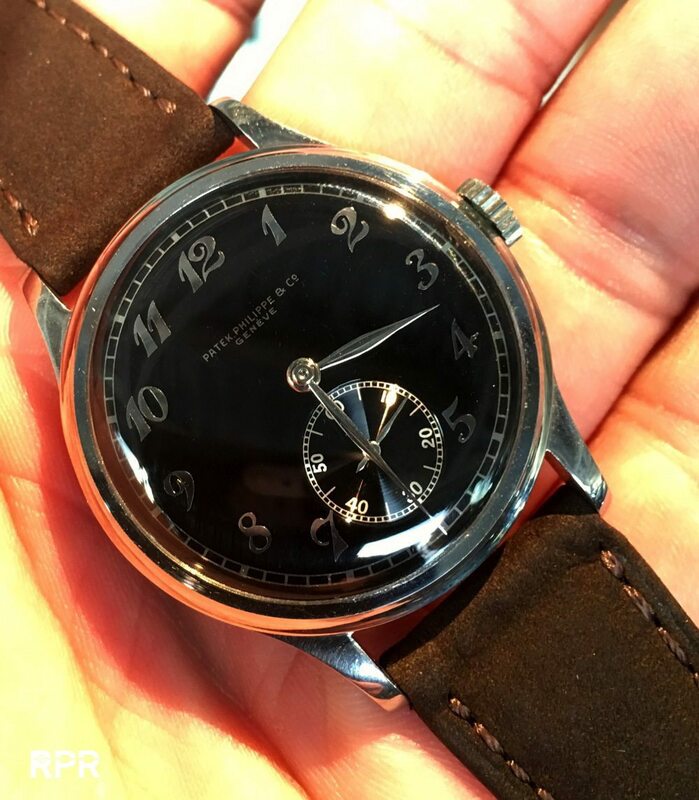 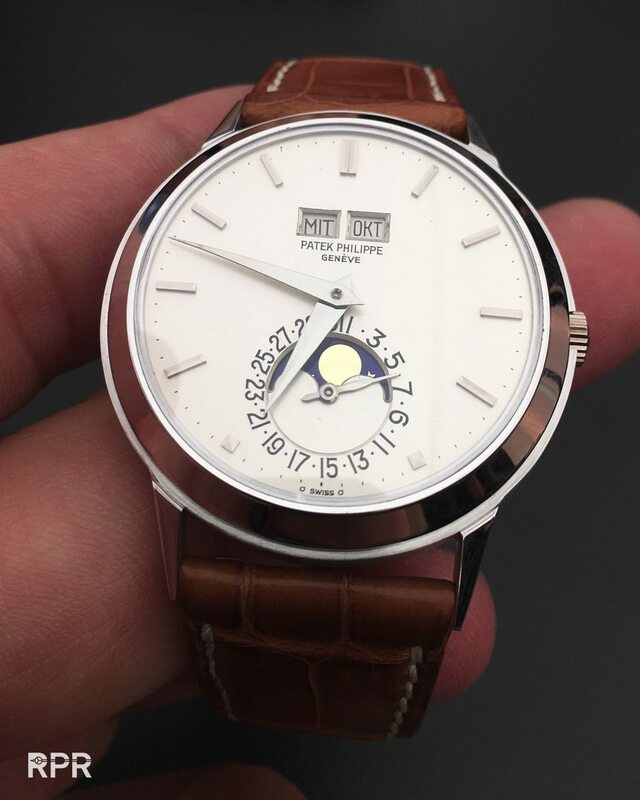 With other words, you can give a rare and perfect watch into the sale of an auction house and before it gets sold during the auction there’s a scratch on the dial and the luminous is broken. 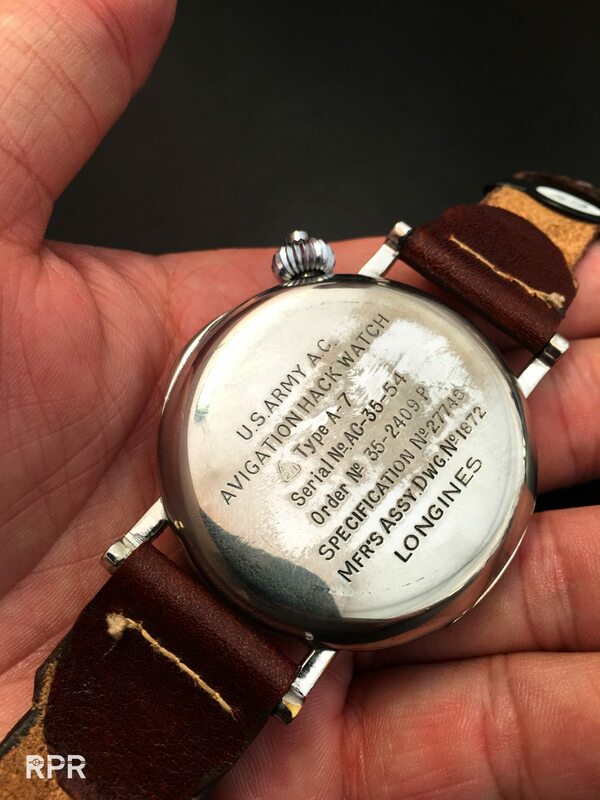 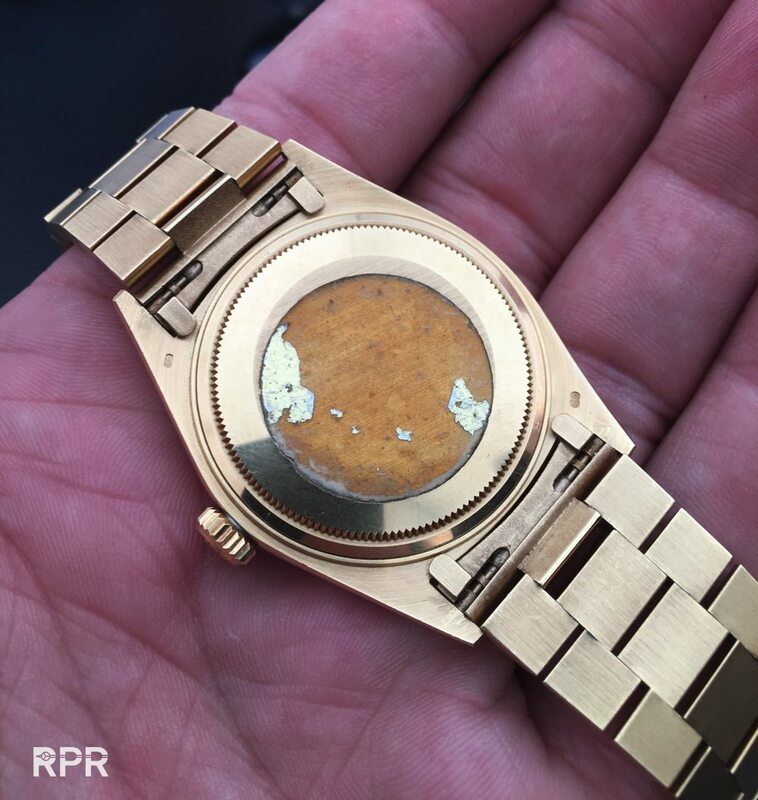 I’m off course not saying thats this is the case here but my message is more that owners should let their watches only been serviced by a professional. 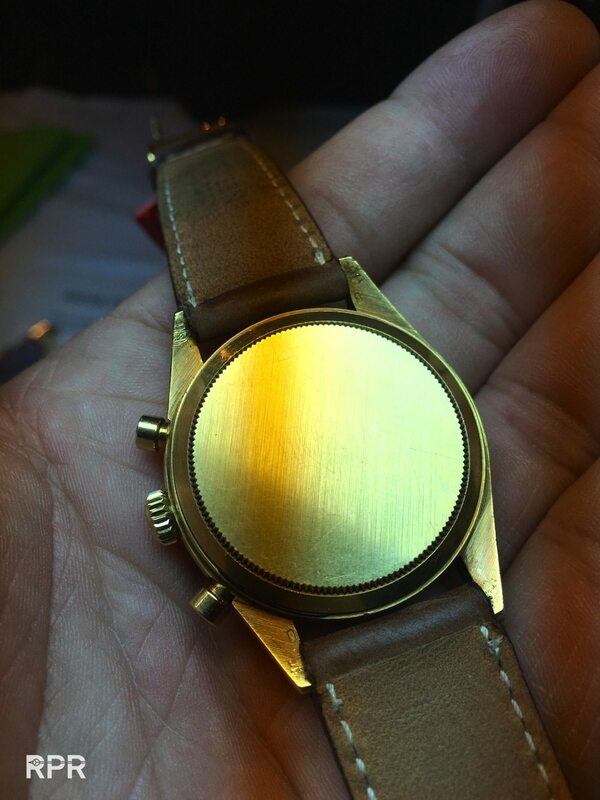 It’s better to wait longer then get it back like this!! 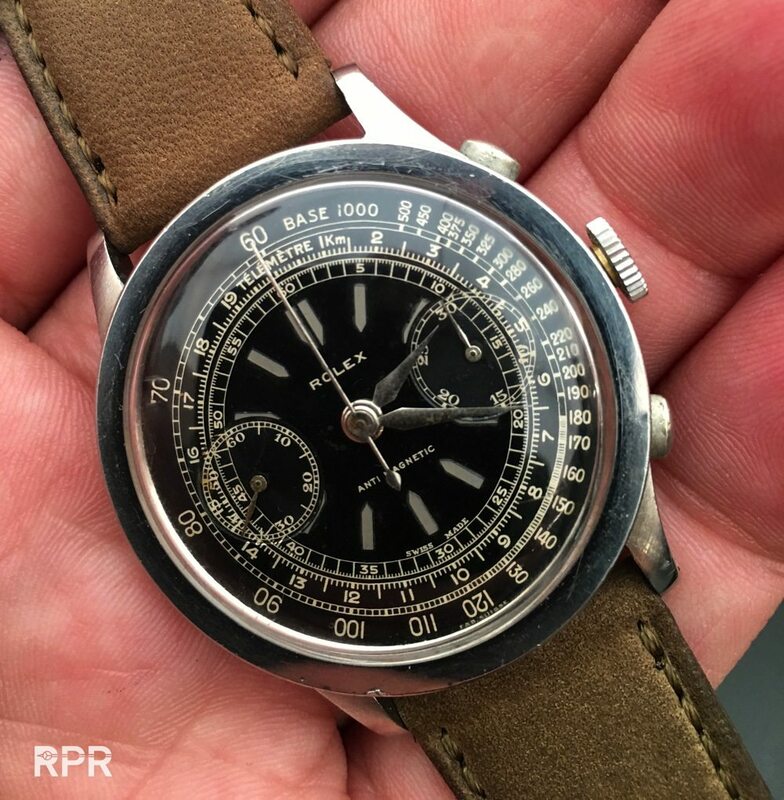 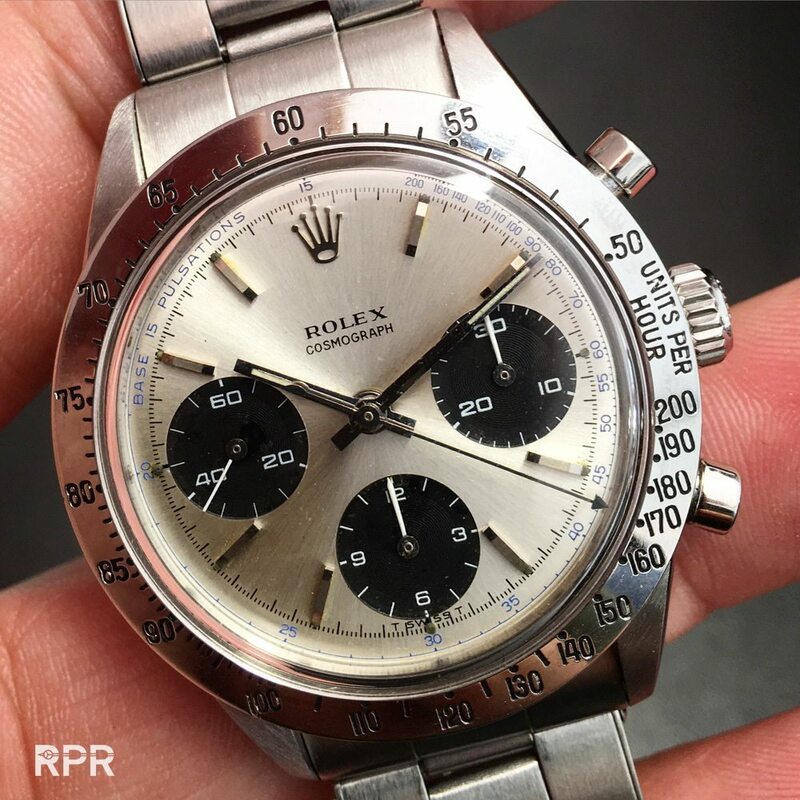 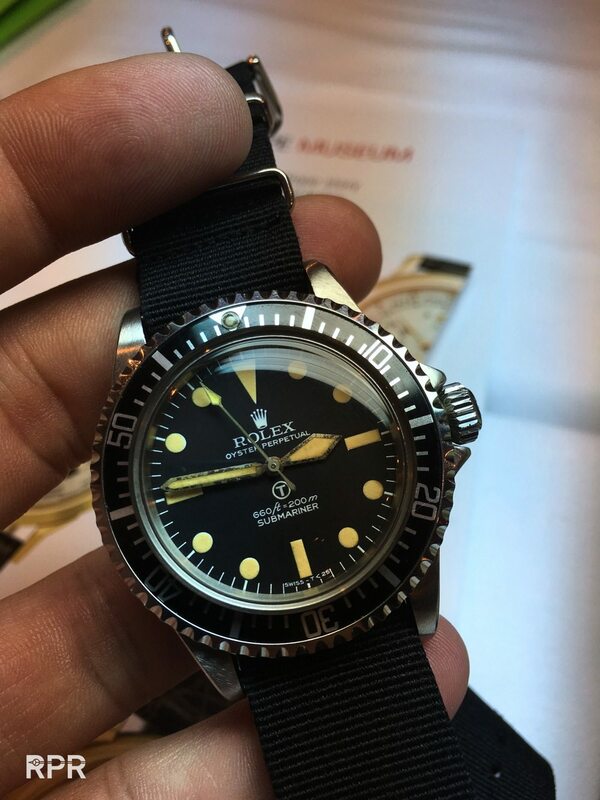 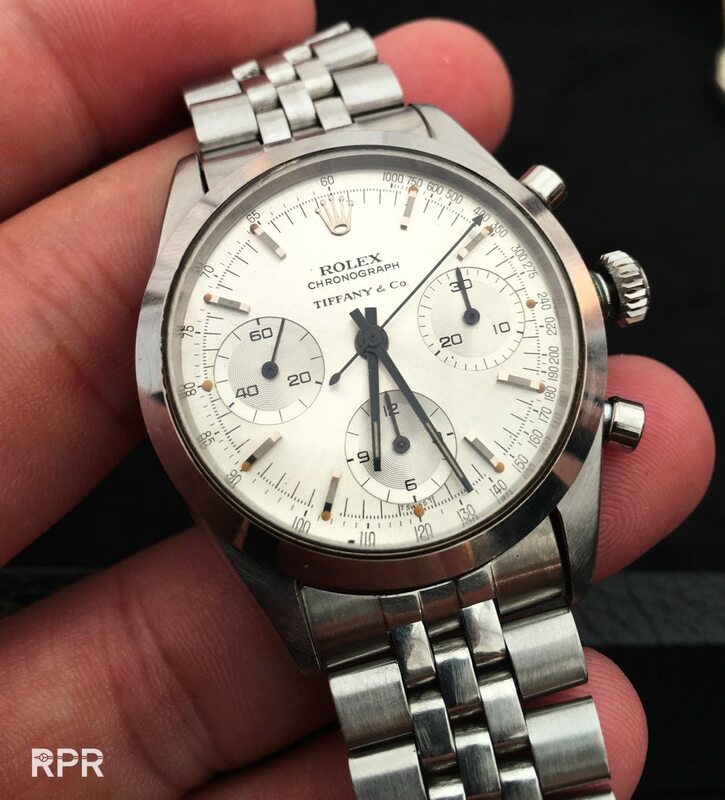 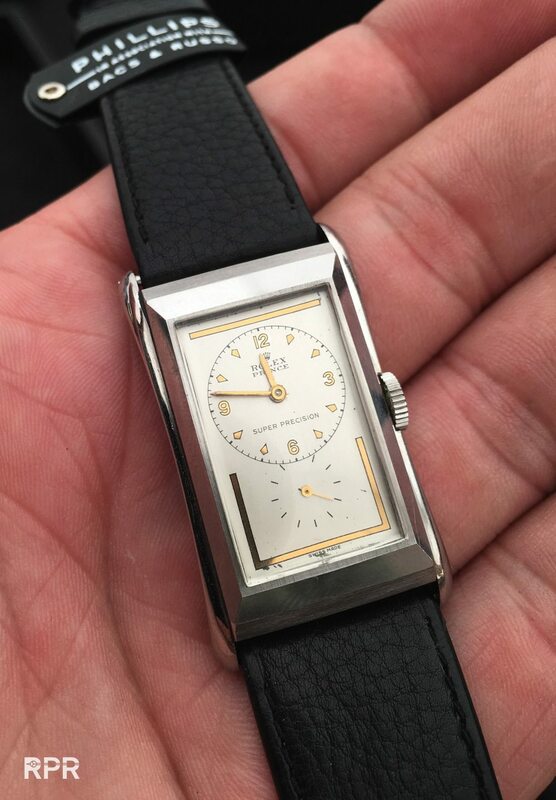 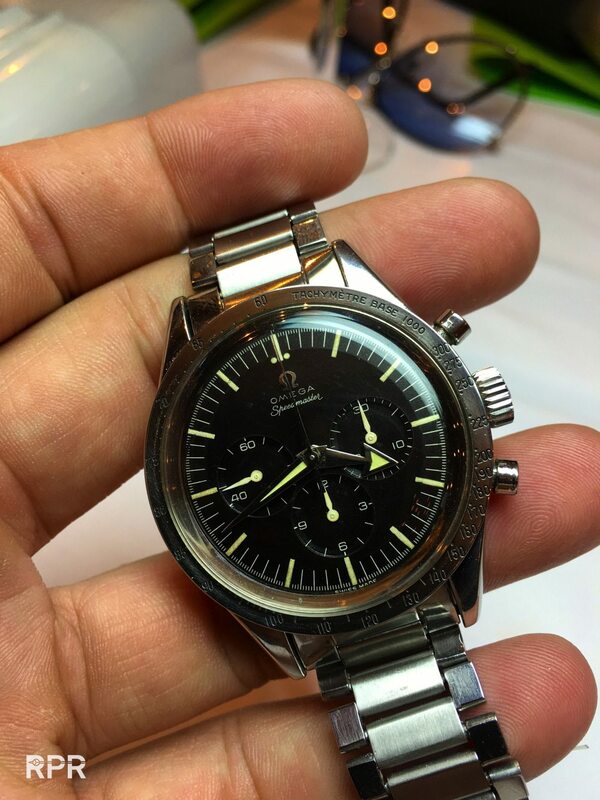 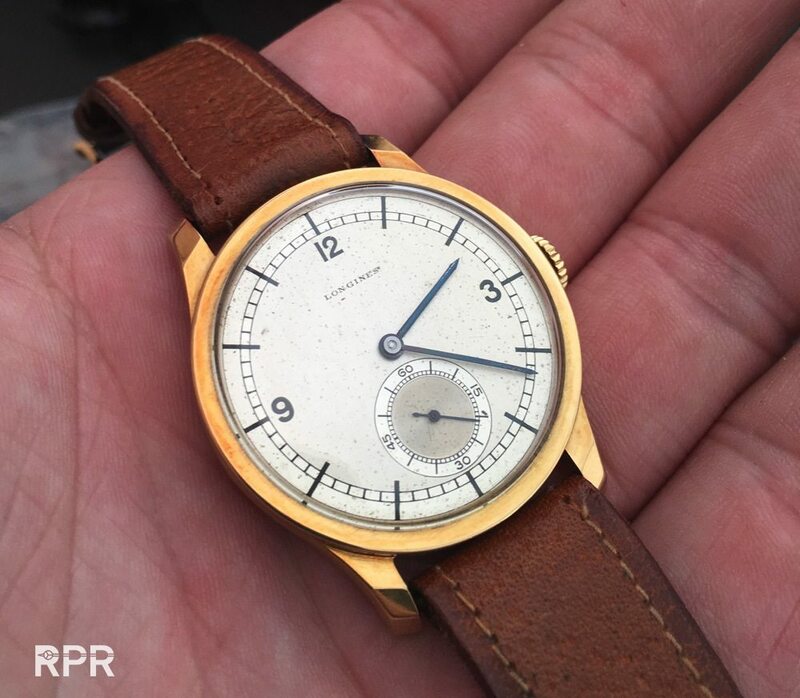 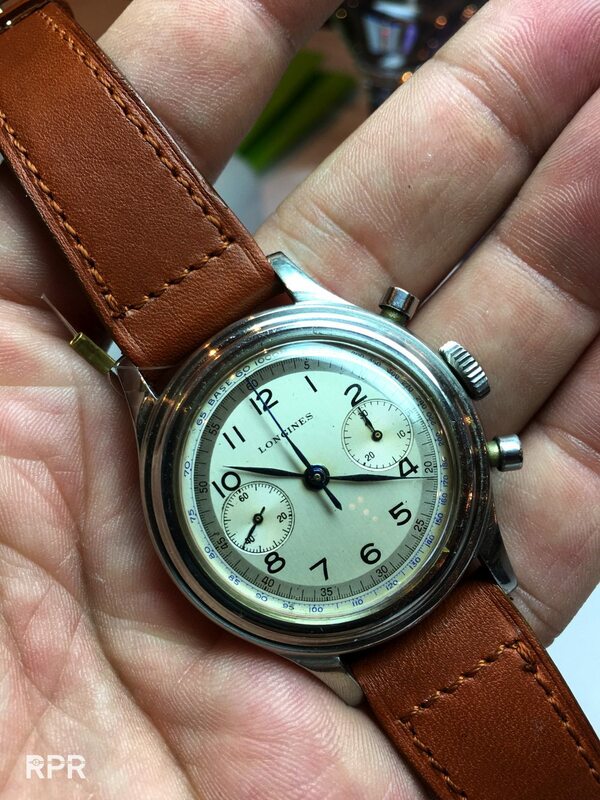 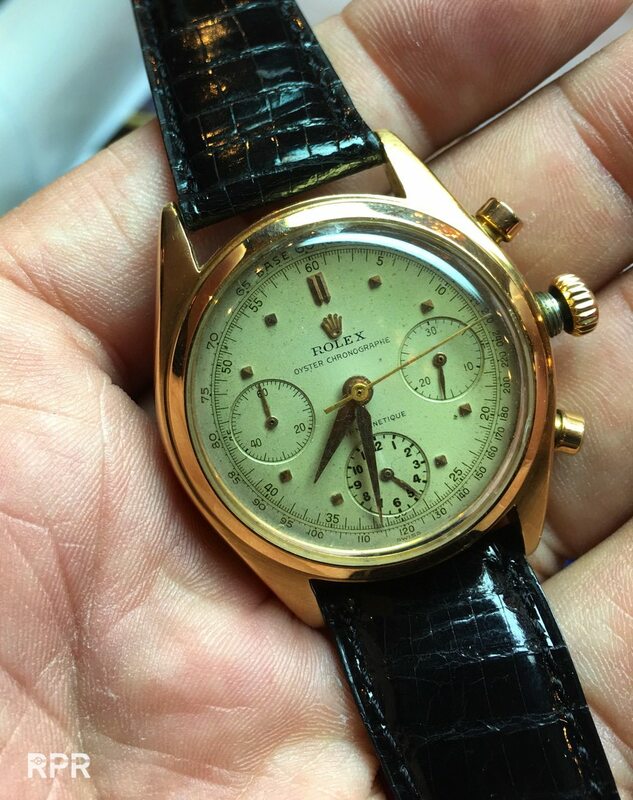 Clean ref 6200 which was yet another steal from the auctions…. 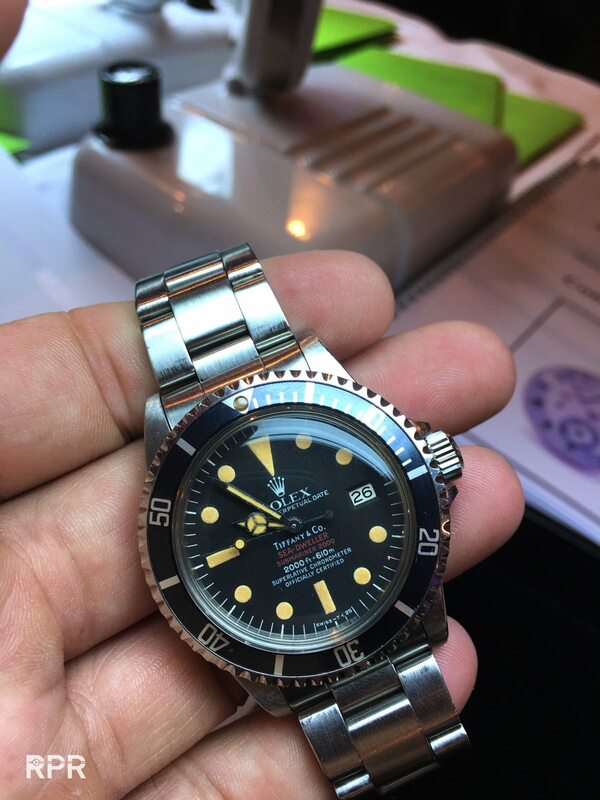 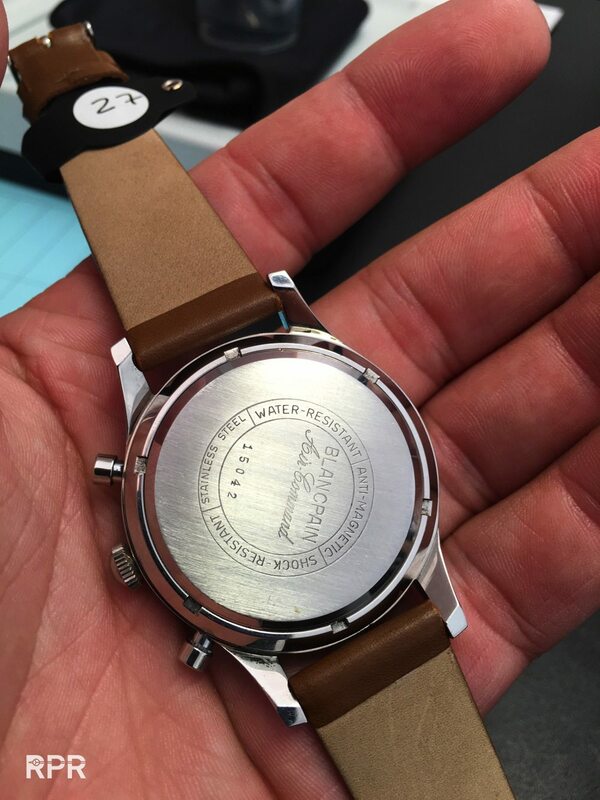 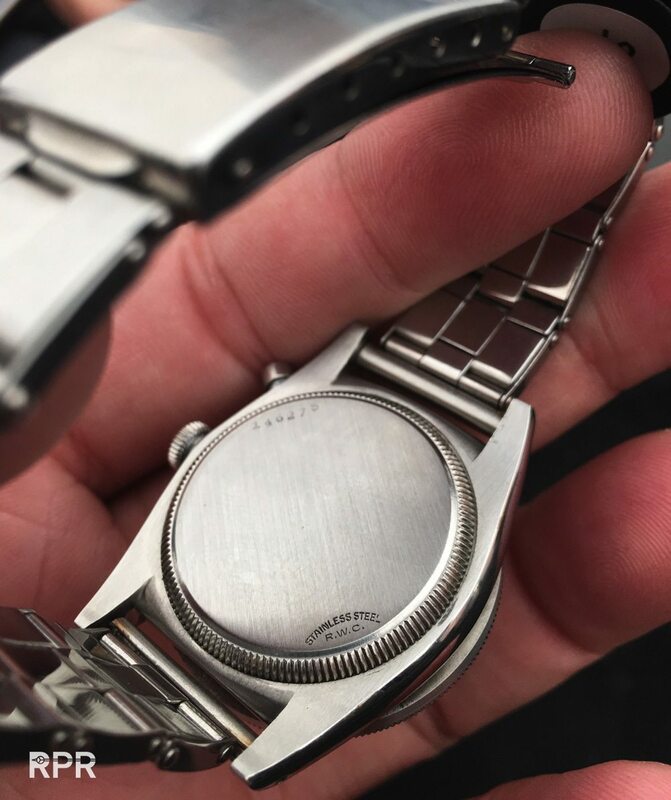 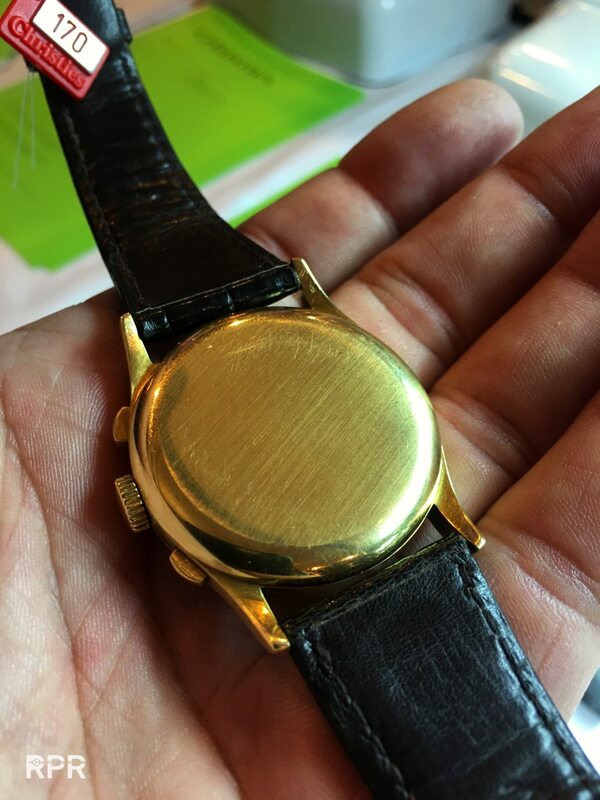 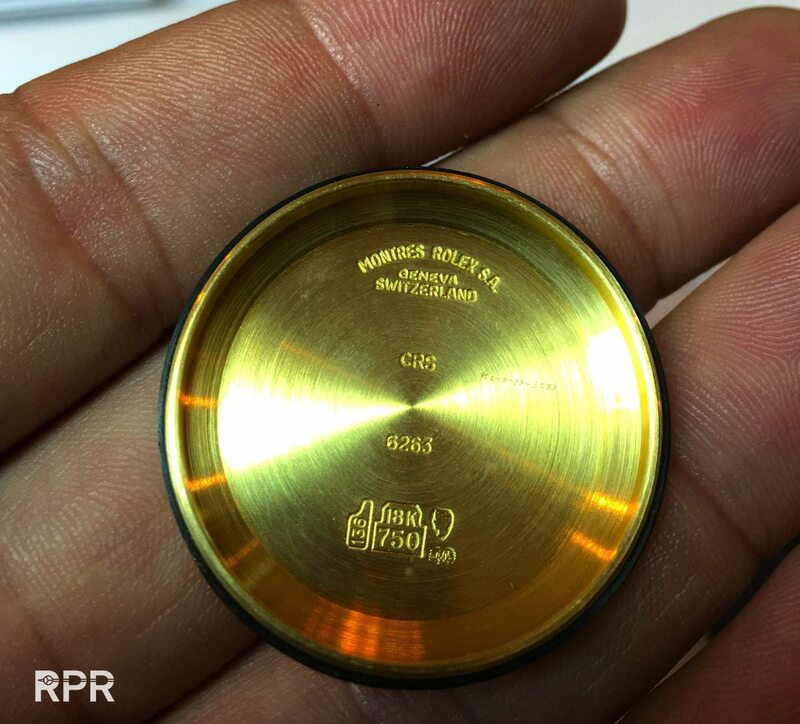 Although the case back was a service one, just as the crown, pushers and bezel insert, it was a damn nice dial! 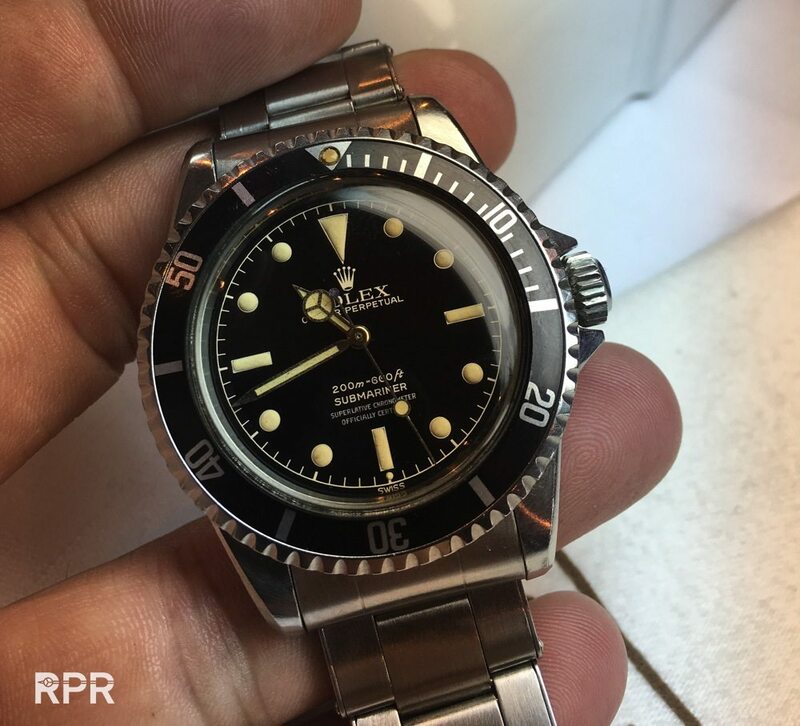 I remember not so long ago I had a discussion about these on VRF and I was surprised to read that many quote them much lower. 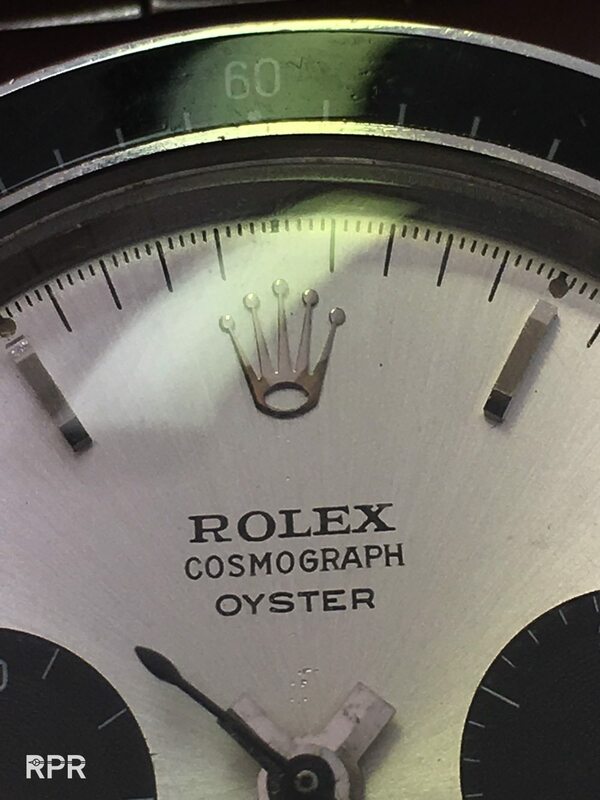 now look carefully at this dial. 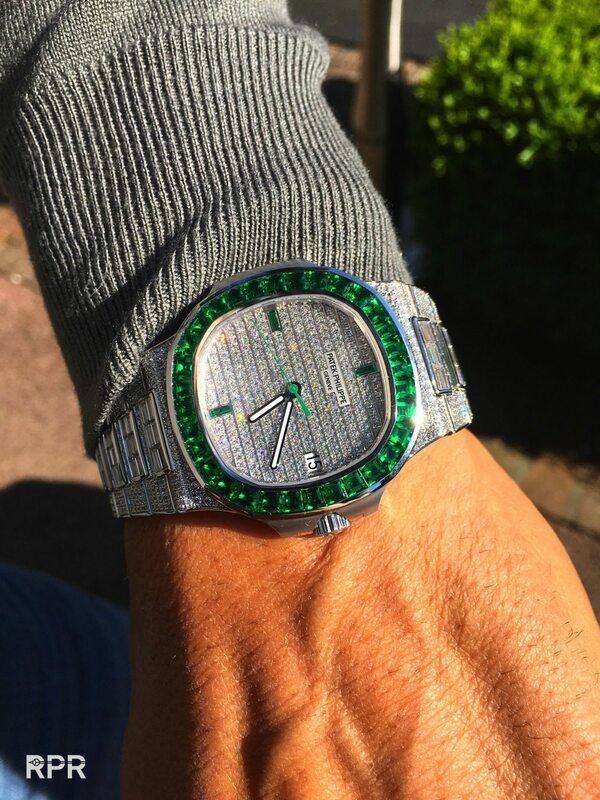 Even though the almost 70K swiss frank result, the radium lume got scratched away loosing it’s volume and originality. 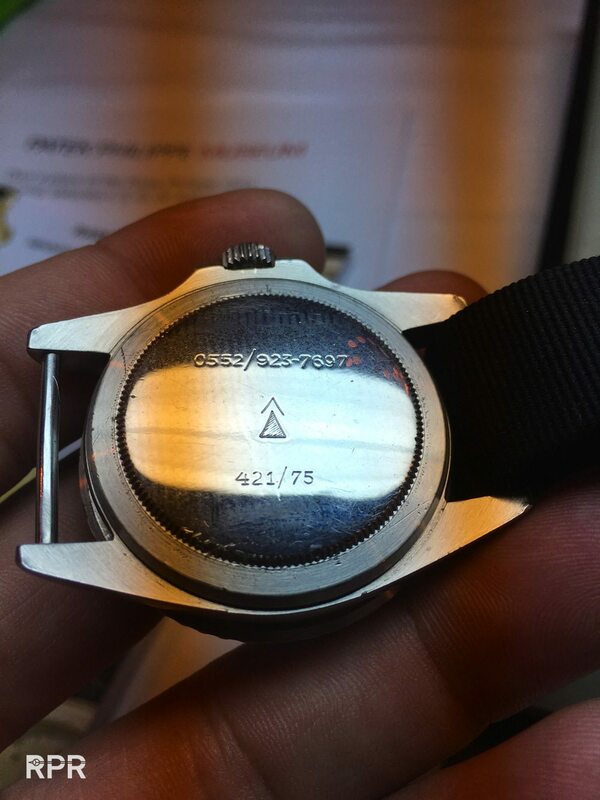 I was not the only one who noticed this, imagine the possible result if it was perfect! 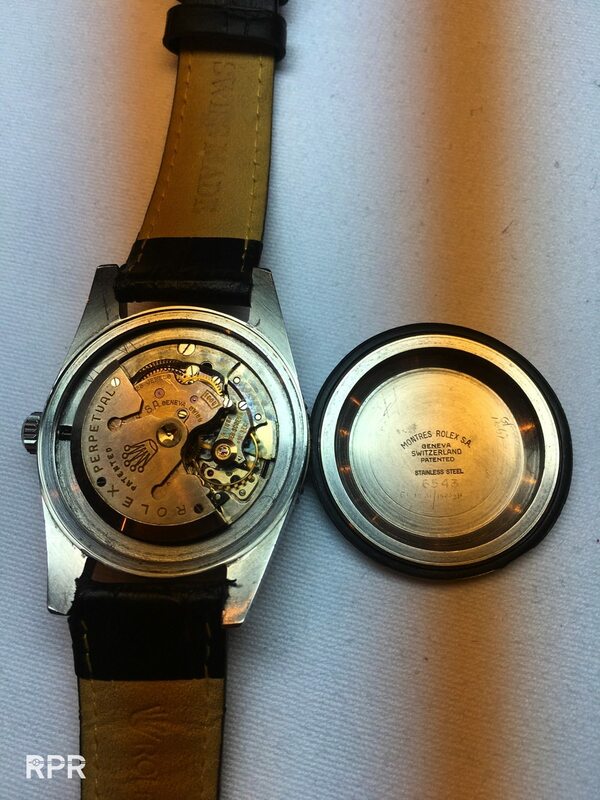 Both not really perfect.. 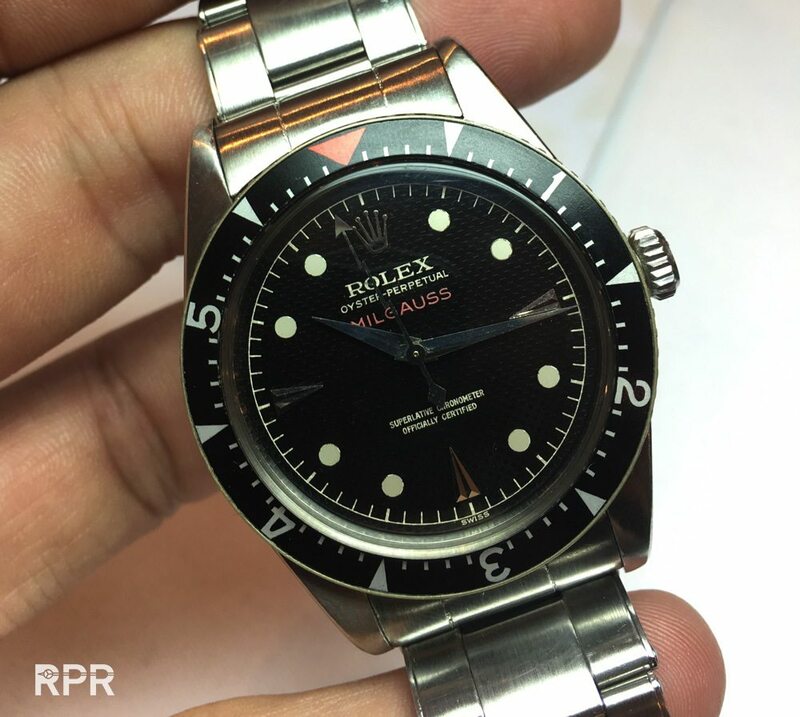 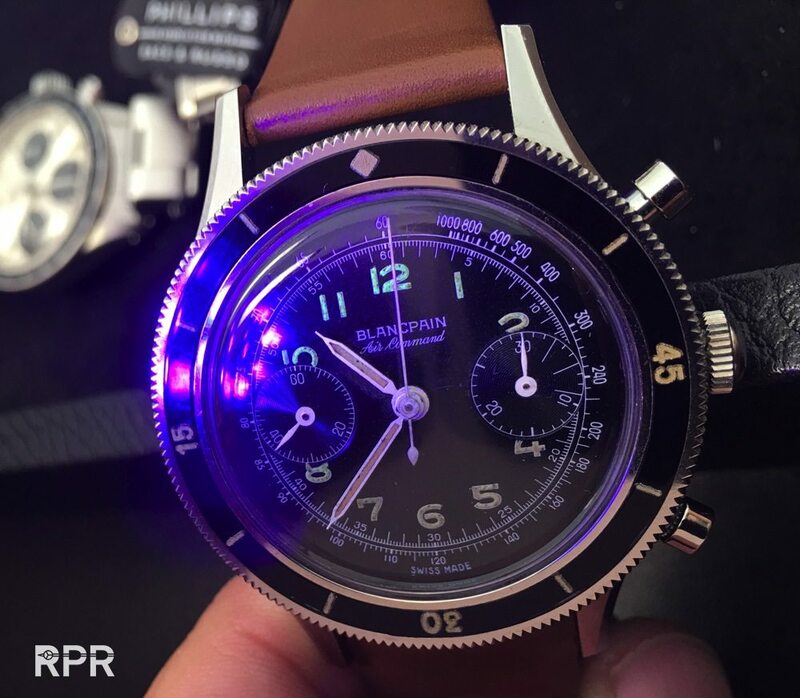 But then, not perfect is also having a price and you shouldn’t be holding back just because 1 or 2 lume dots are broken, it’s still a wonderful iconic watch! 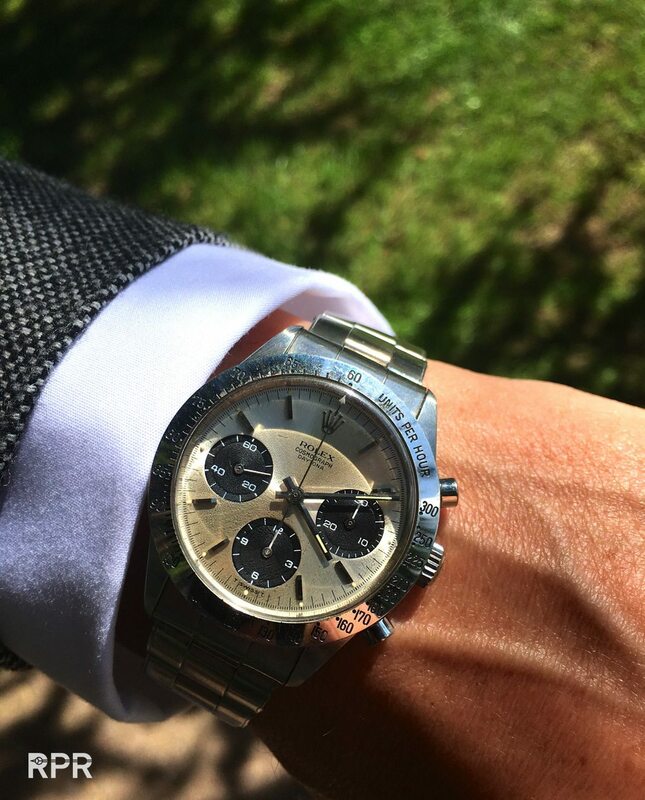 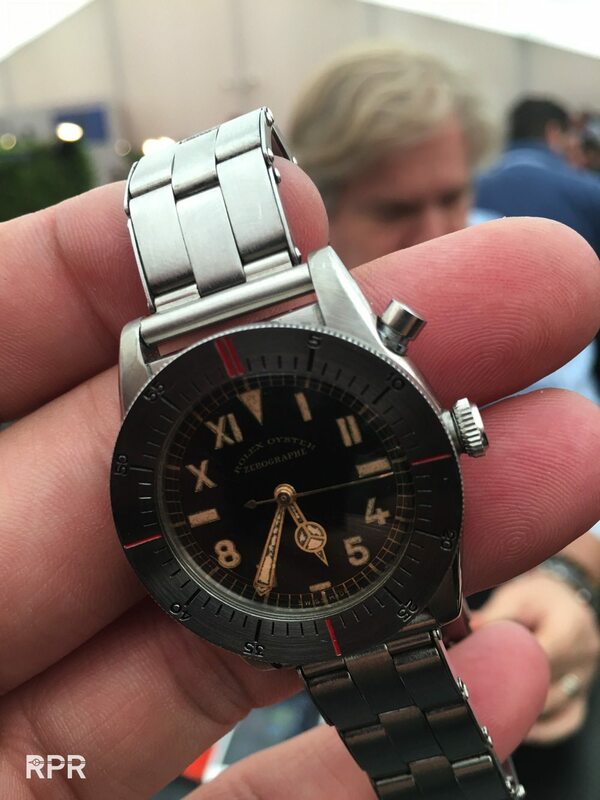 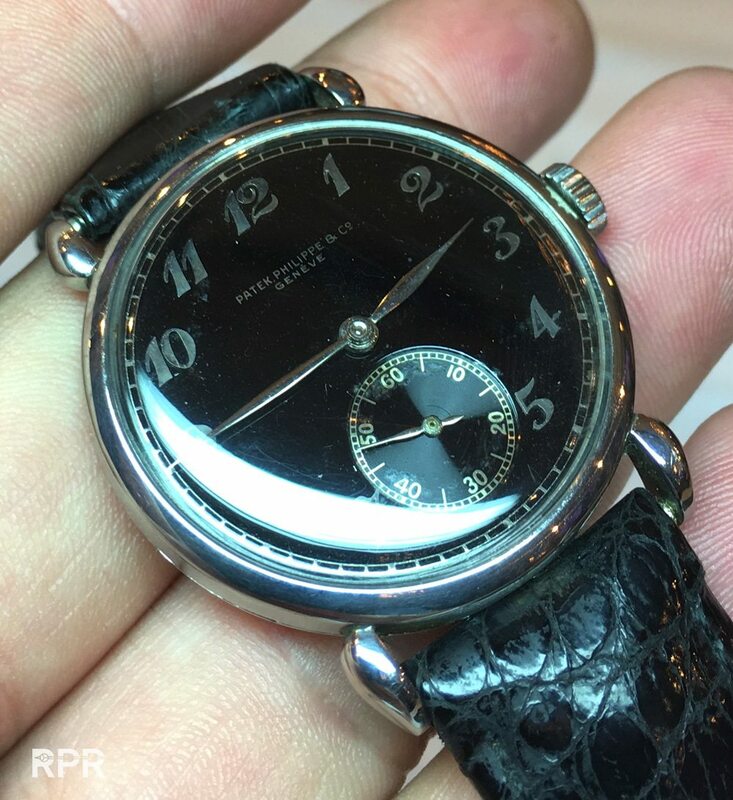 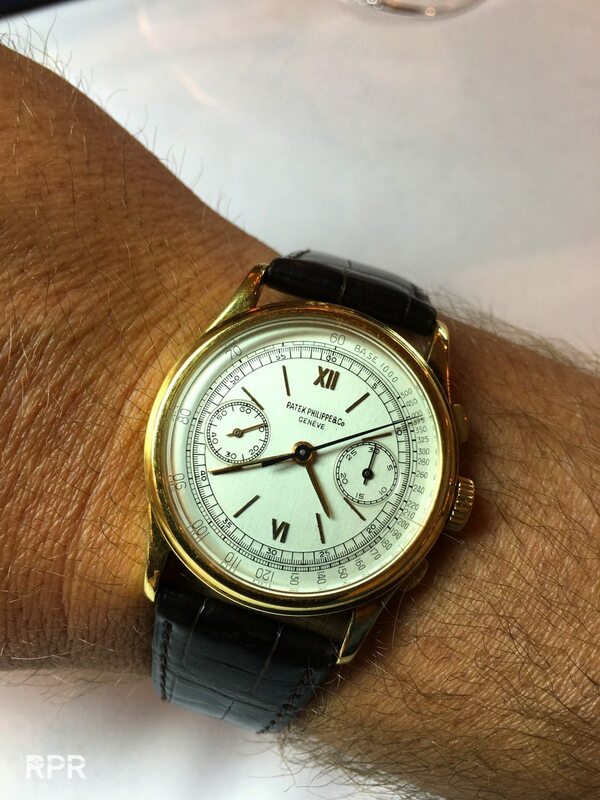 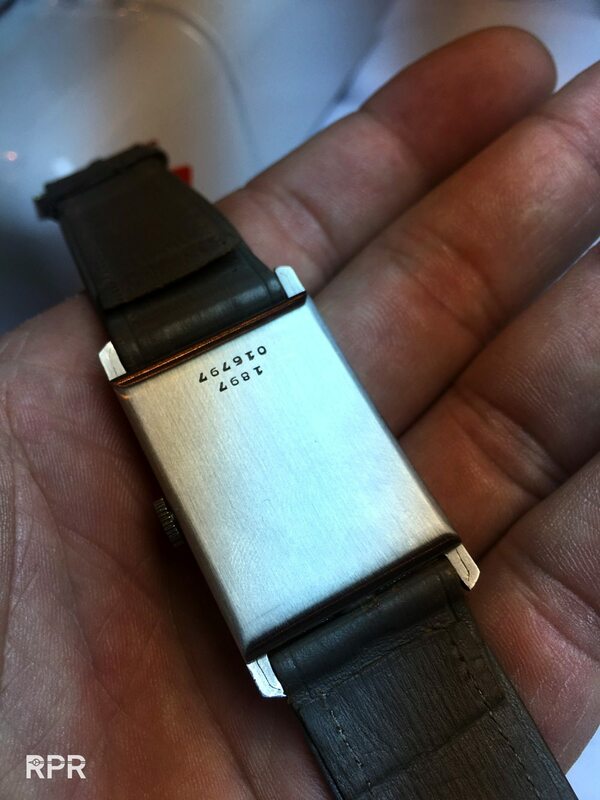 Lovely monobloc sold and signed by Bucherer on the wrist of a great italian collector! 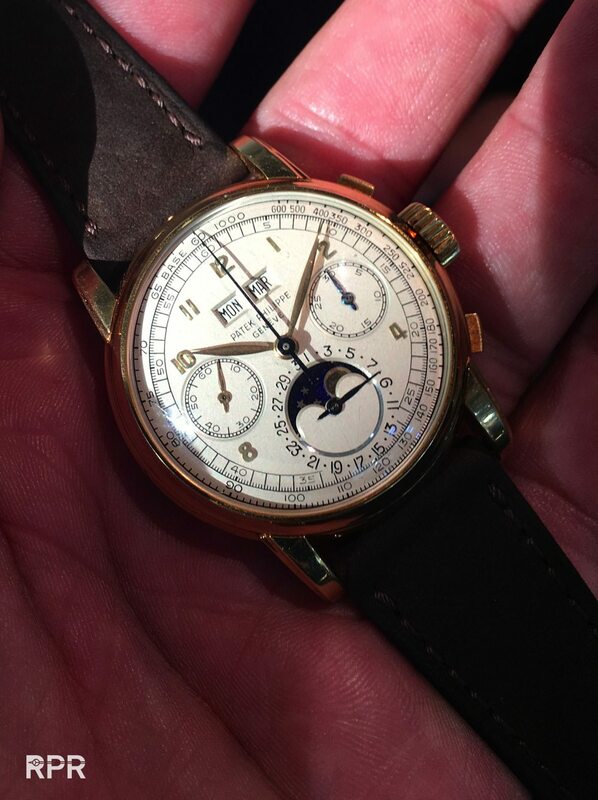 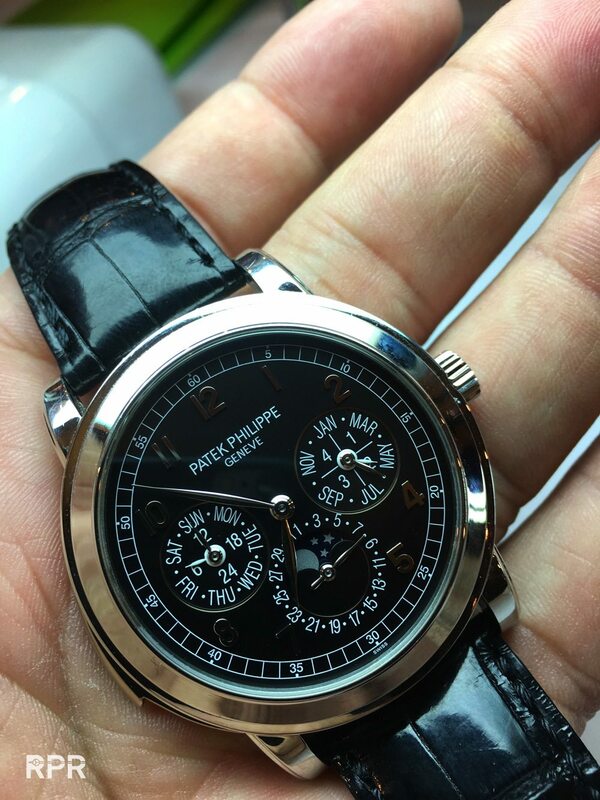 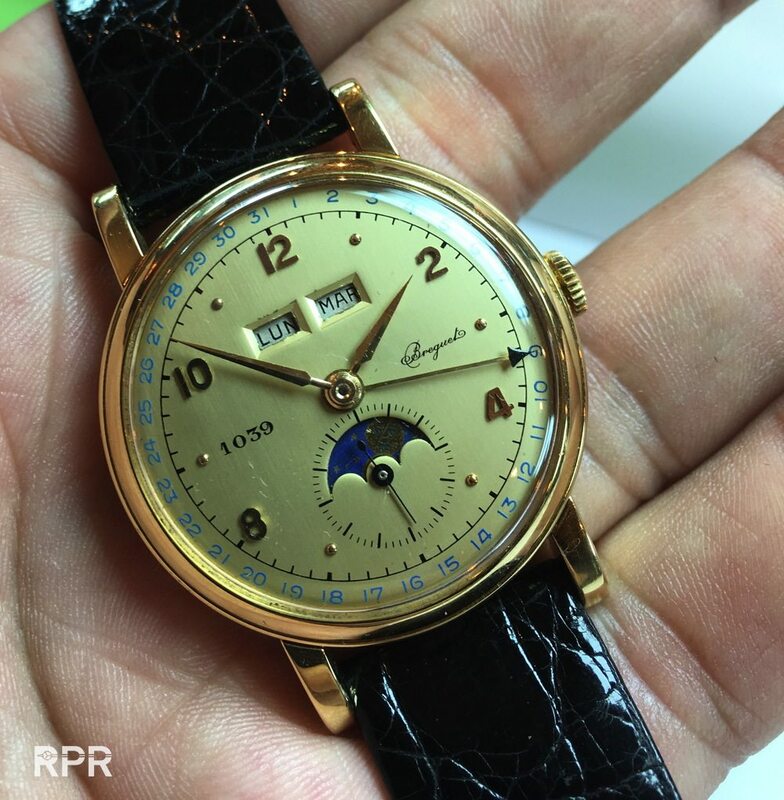 Many collectors bring their best watches to show off..
Small AP Chrono moon phase passed… estimate was to high and as the factory aren’t buying them anymore for their upcoming museum, we see it gets unsold…. 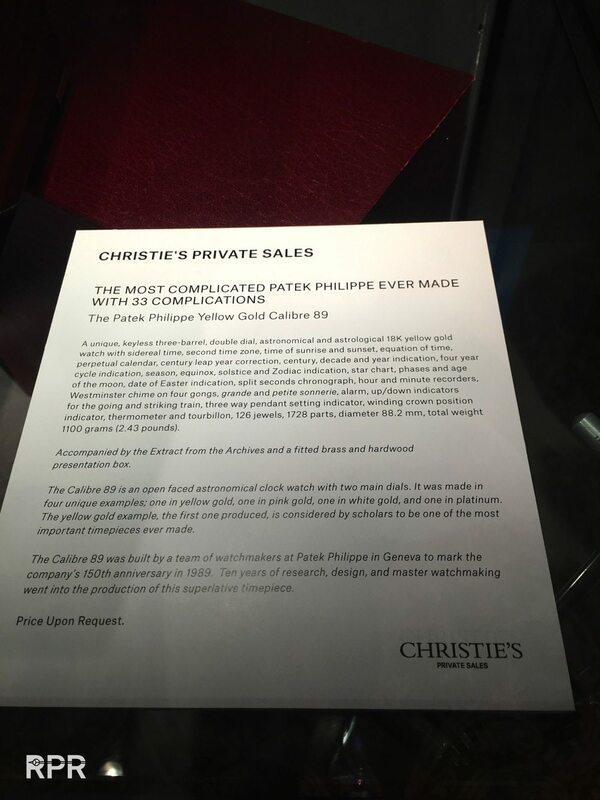 My personal opinion is that Christie’s has done a GREAT job next to the results from Phillips. 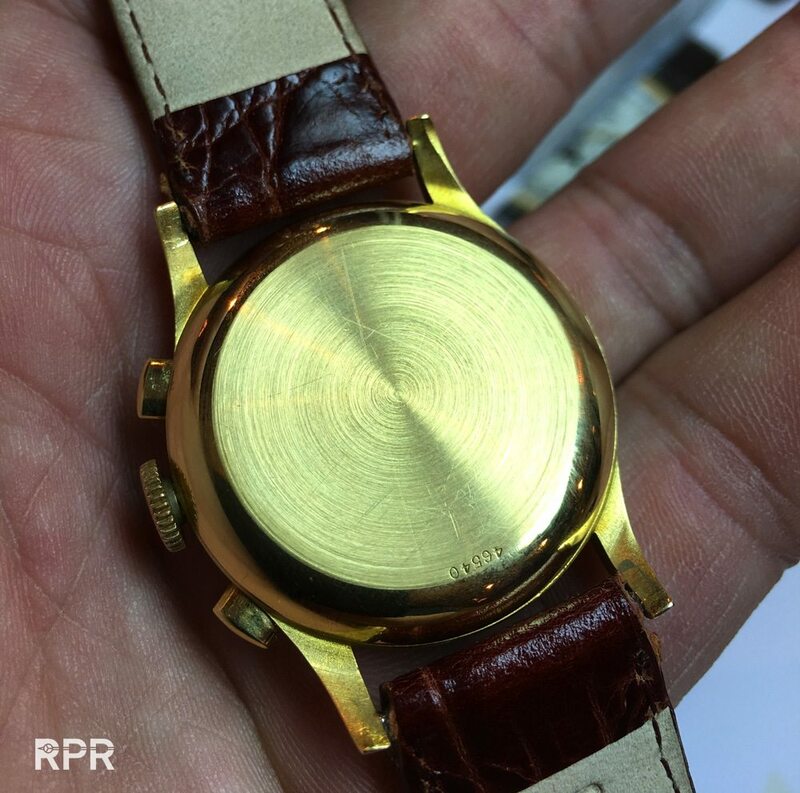 It’s definitely not easy for them to get rare watches consigned when Aurel & Co are leading the market. 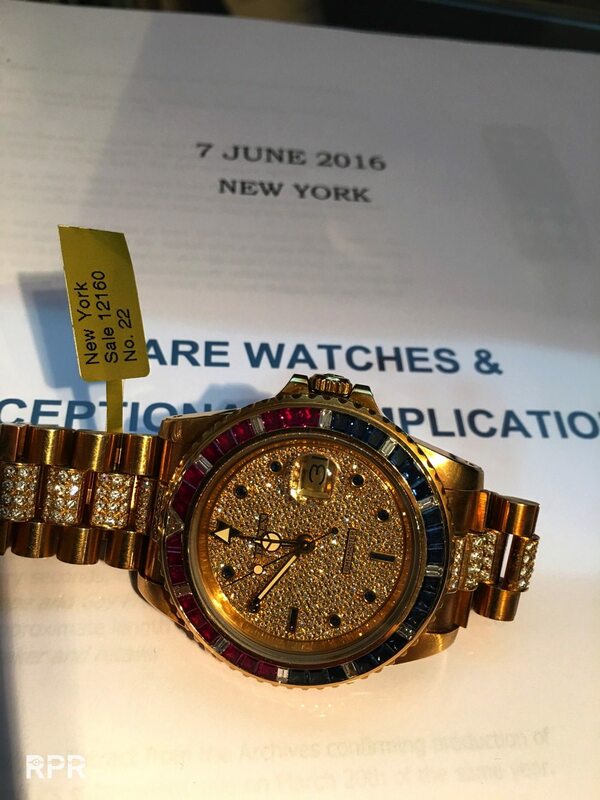 A seller needs a lot of confidence in Christie’s and I think they, the whole team, didn’t disappoint. 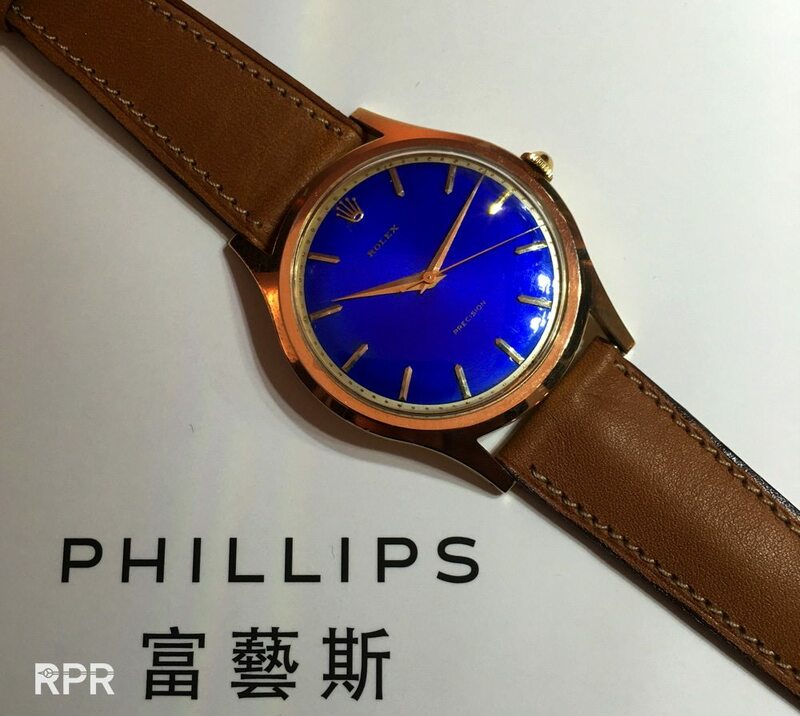 Their 18 million plus sale is to me even a better sign that the market is healthy and strong then the 32 million Phillips orchestrated. 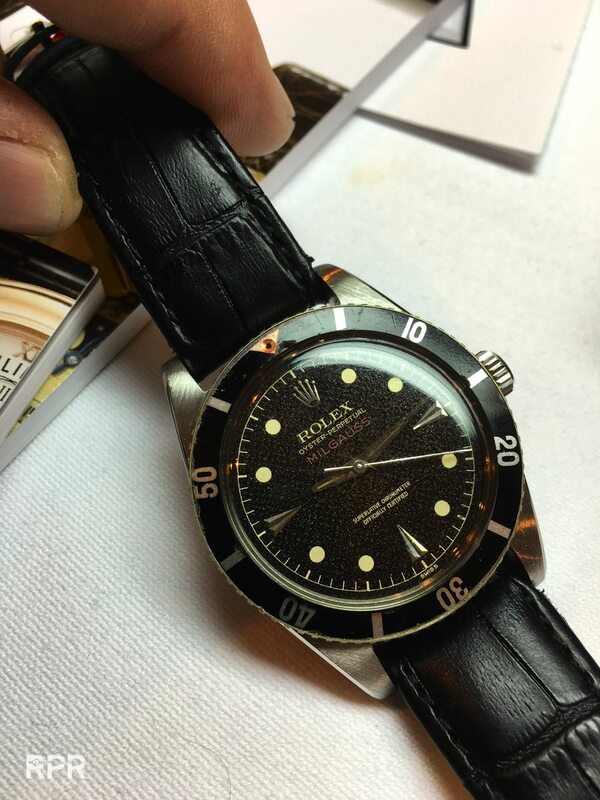 We need competition and hopefully Sotheby’s and Antiquorum get stronger next time. 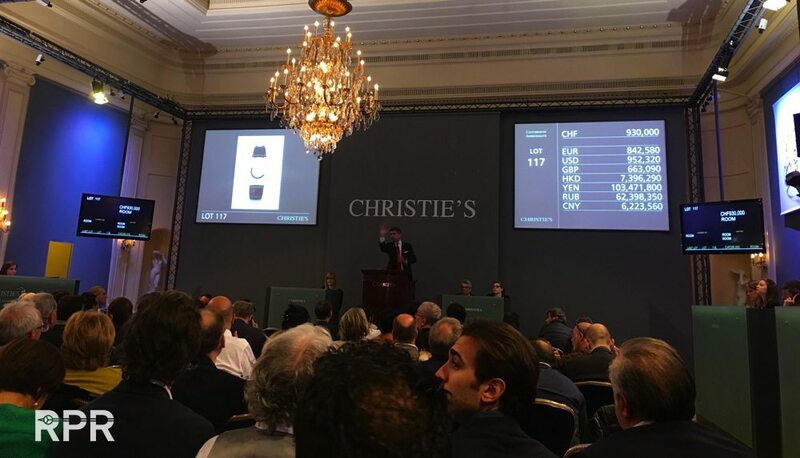 At privat sale with Christie’s. 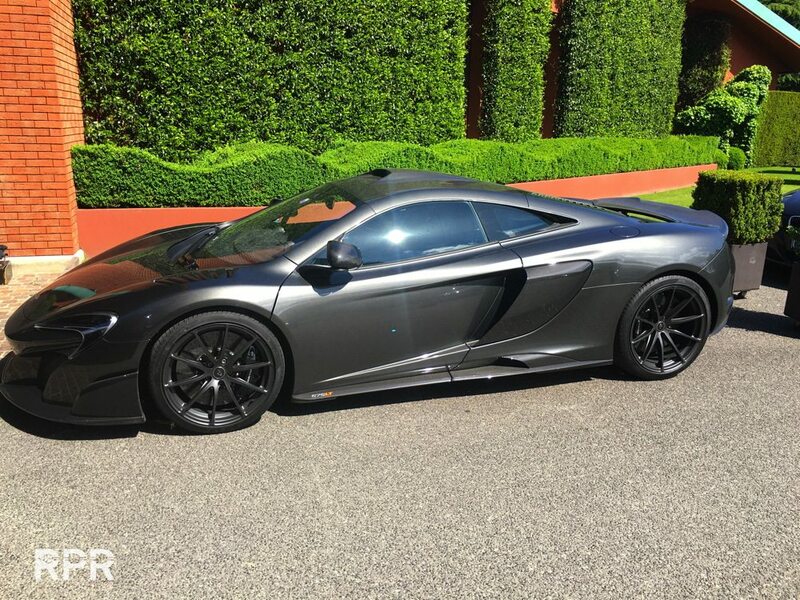 I hear they are asking 12 million for it…. 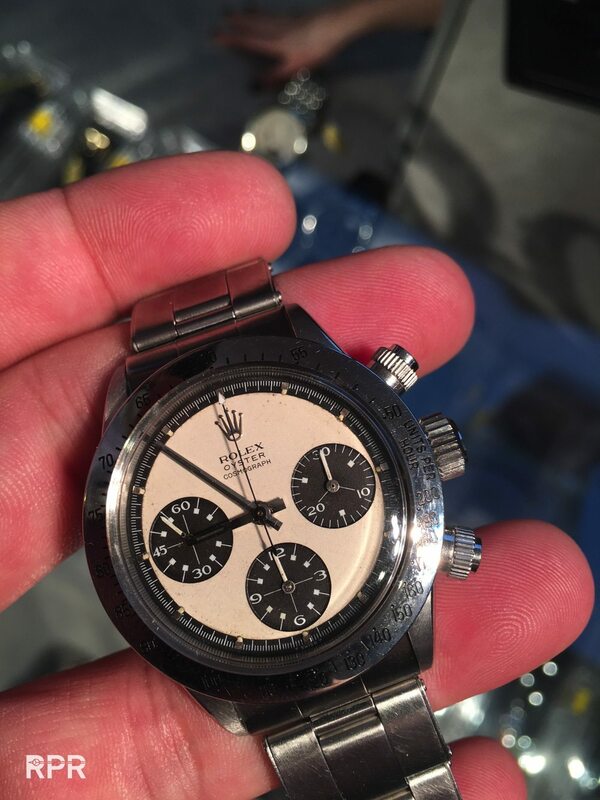 From the upcoming HK sale…. 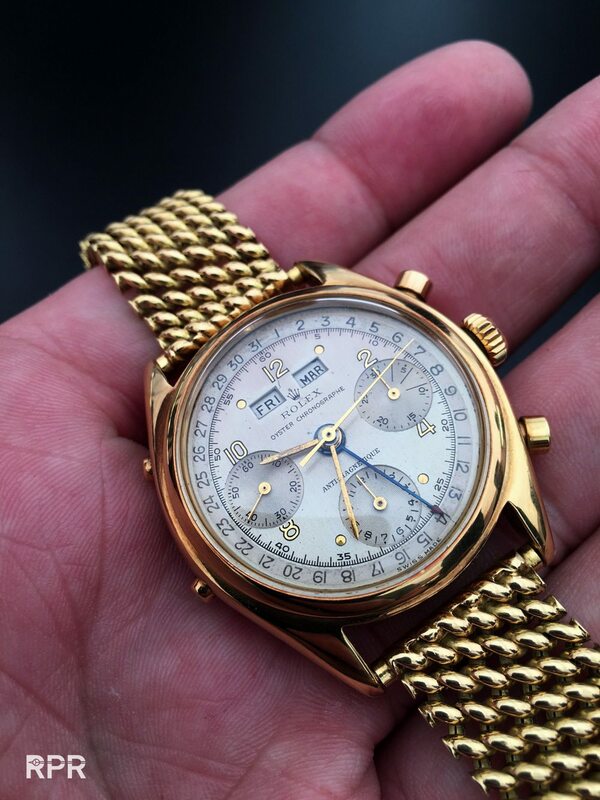 In 2 weeks for sale during the Phillips Watch Auction in Hong Kong, go and have a look!.. 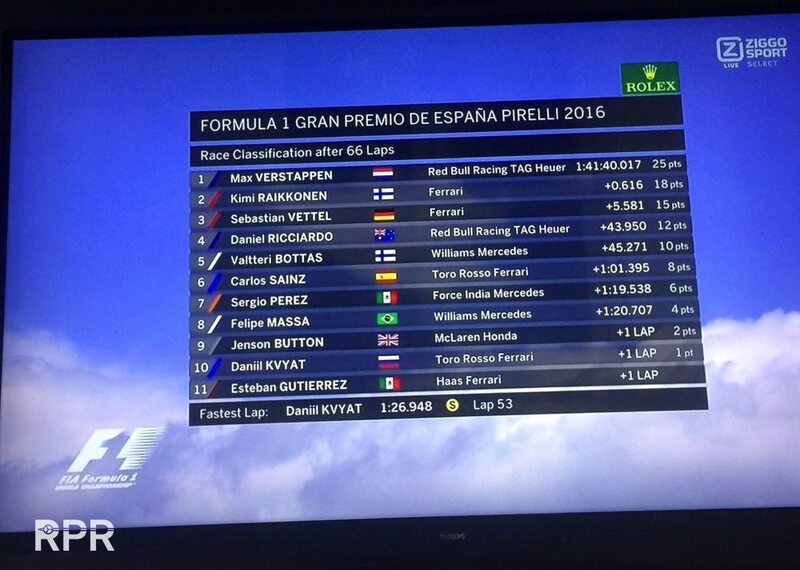 Sunday was Max Verstappen day!! 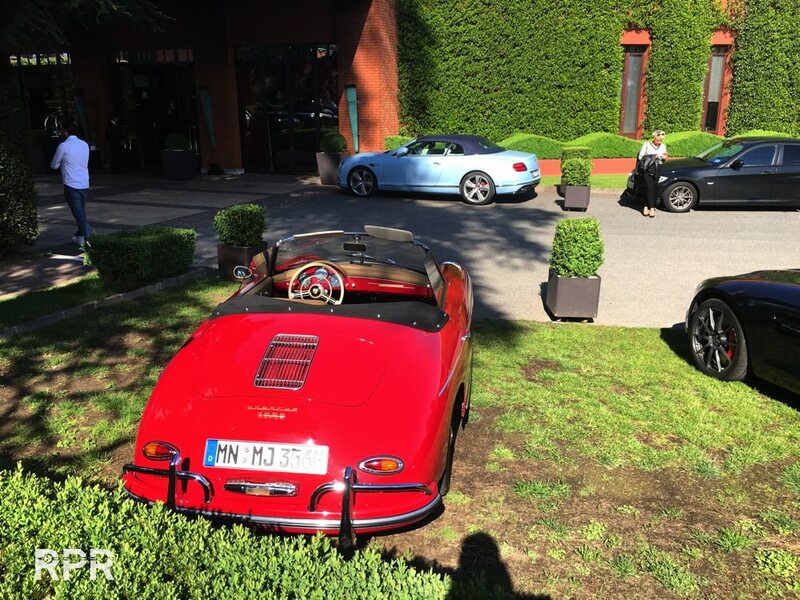 what a hero he’s….. 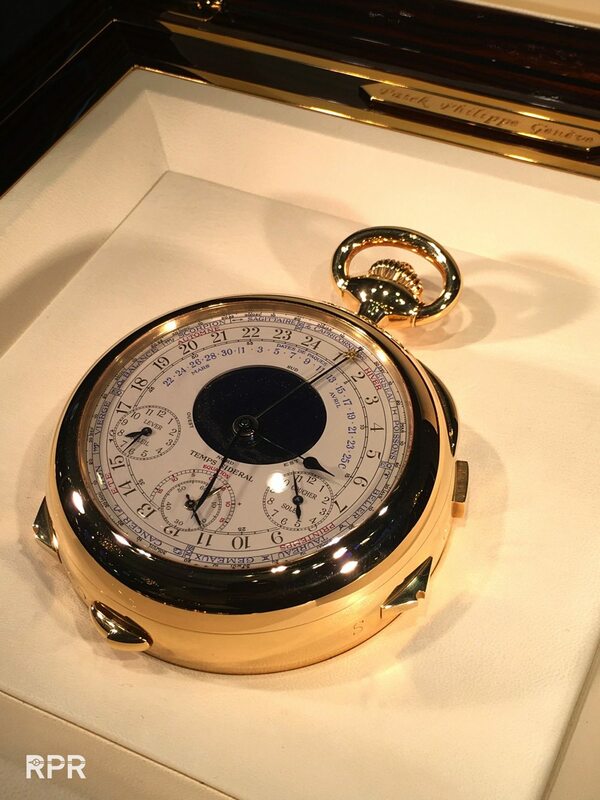 The Brequet pocket watch became the most expensive watch during the sales…final price, CHF3,245,000!! 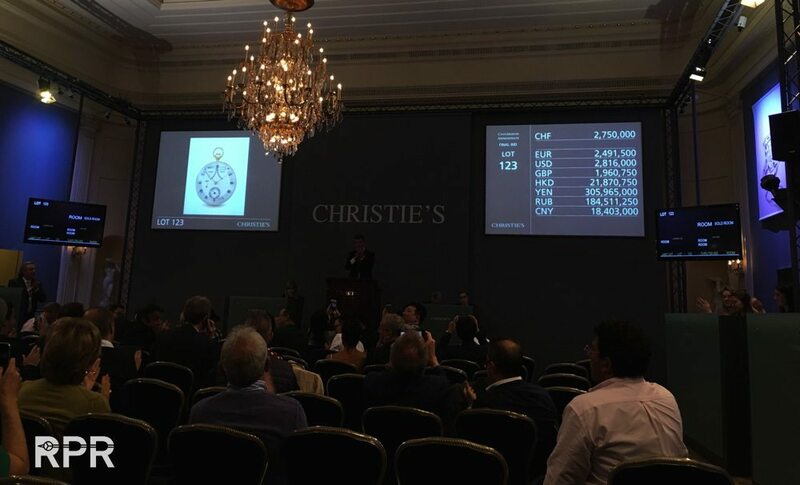 To get “things” into perspective, Christie’s sold today the 14.62 carats the largest Vivid Blue “Opperheimer” diamond” for CHF 56.8 million, which is about the same as the CHF 60million all auction house sold during the 4 important watch auctions….. 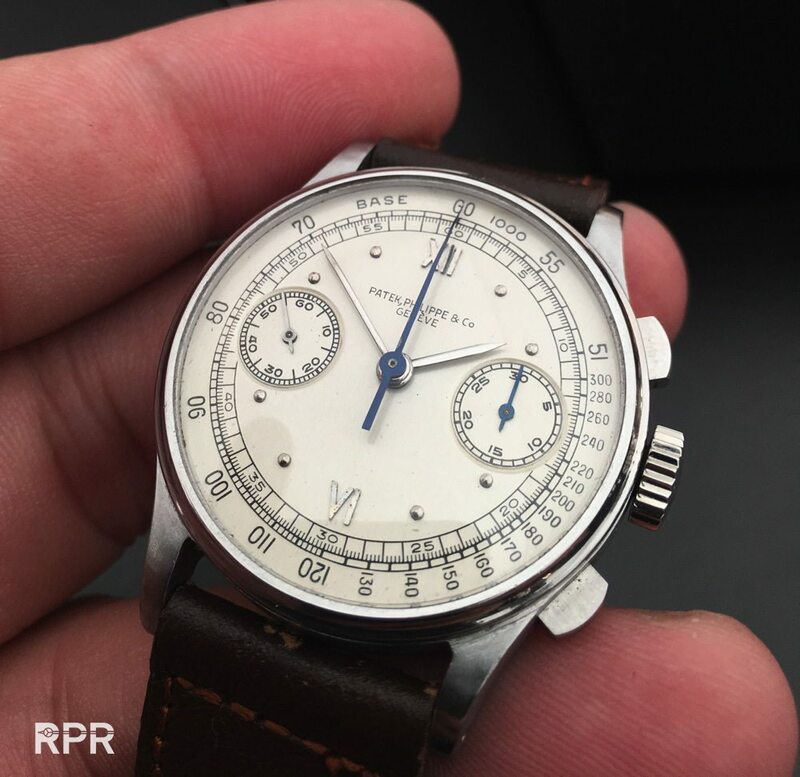 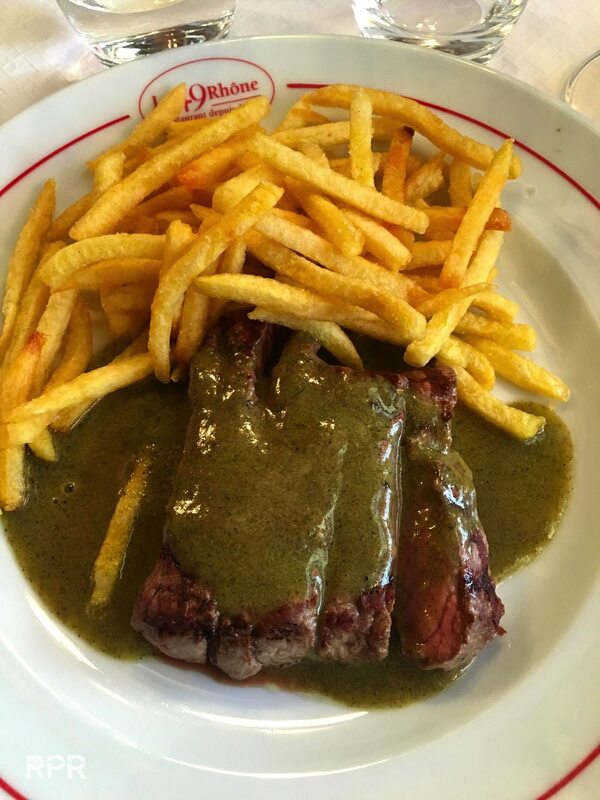 This post was written by Philipp on May 17, 2016.